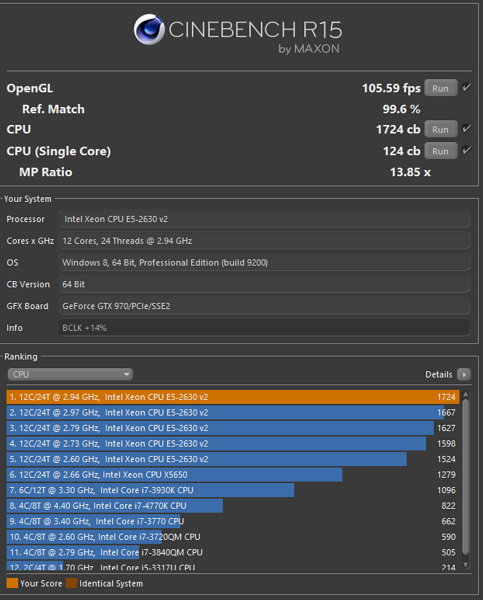 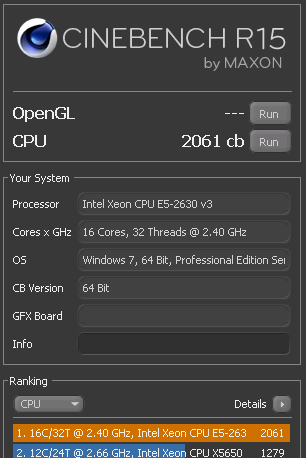 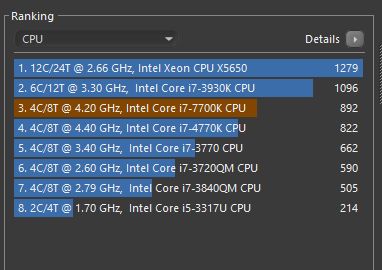 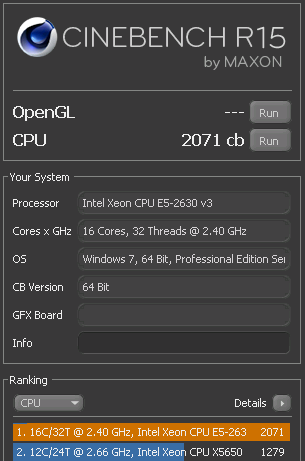 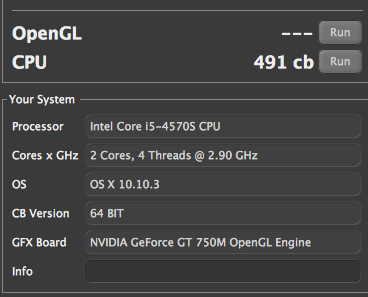 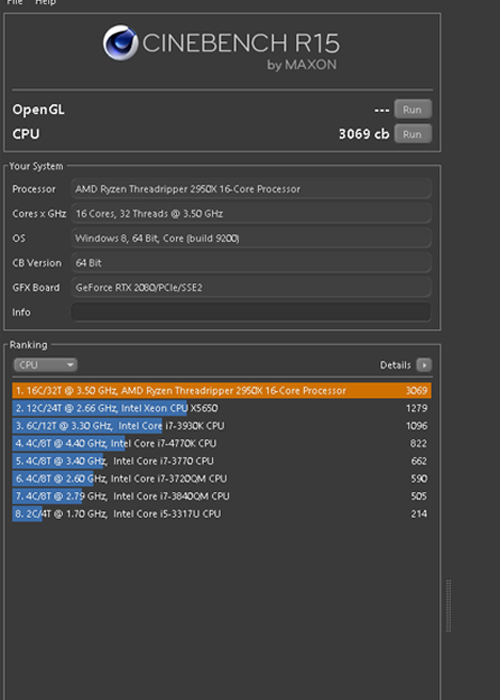 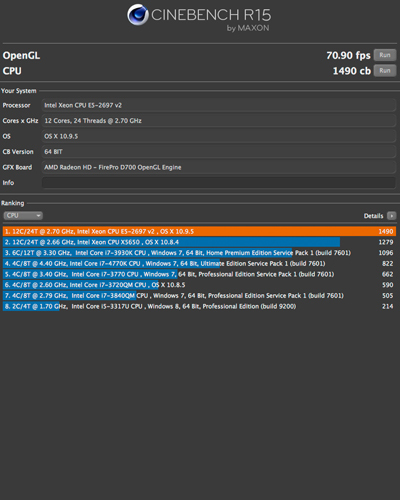 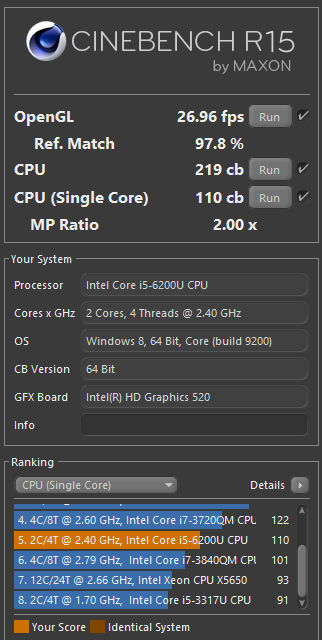 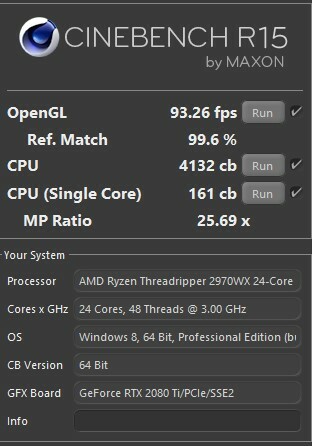 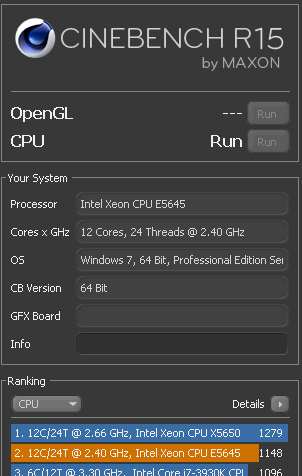 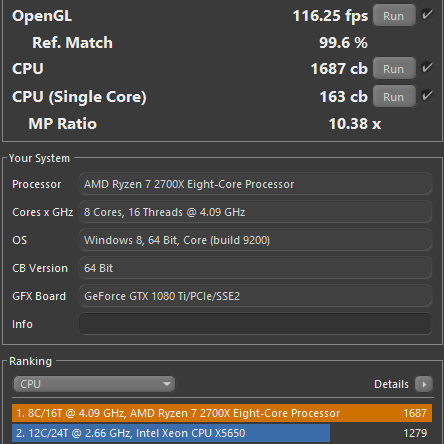 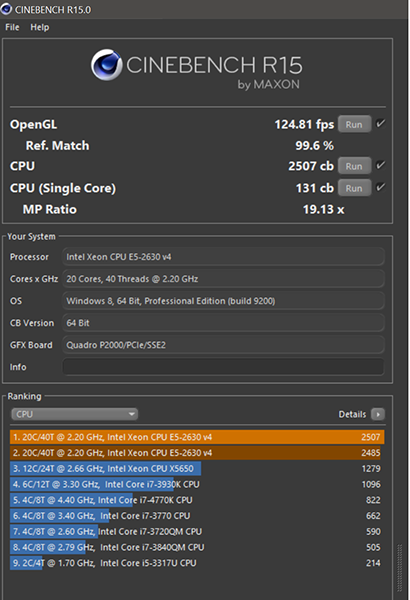 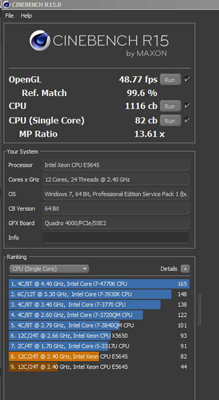 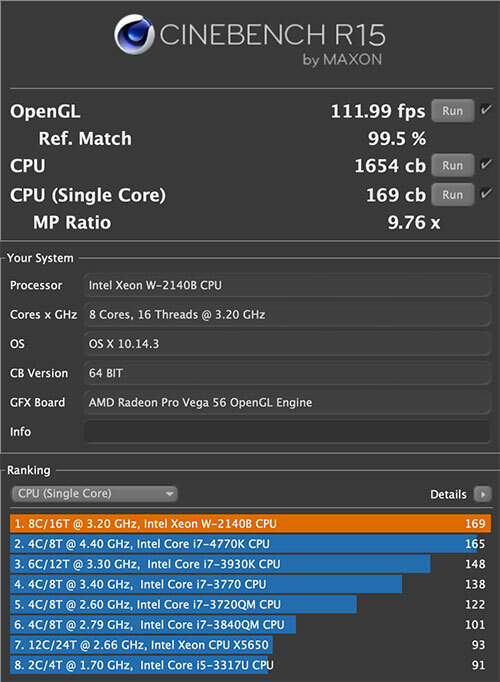 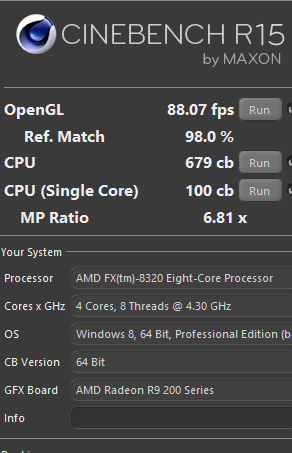 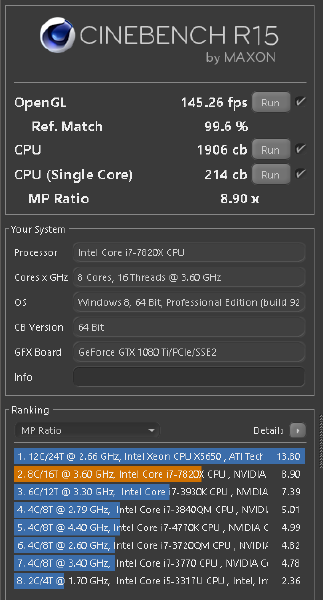 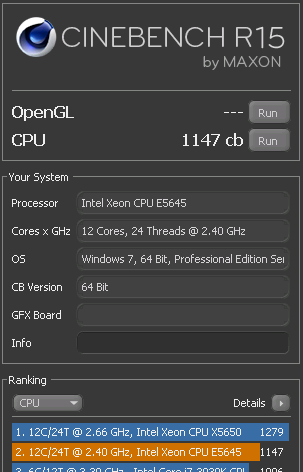 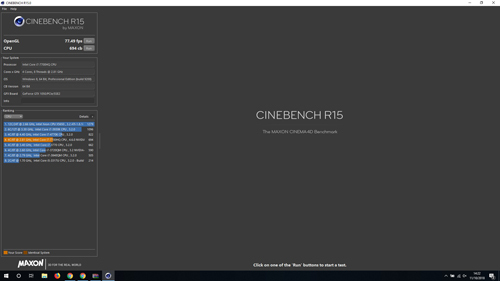 This is a database for CINEBENCH R15 benchmark results. 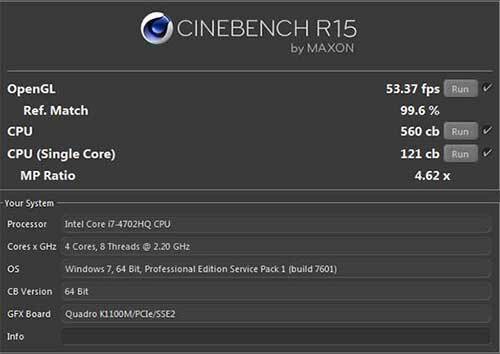 We are trying to collect as many benchmark results as possible, to provide the most complete and up to date CINEBENCH R15 results database. 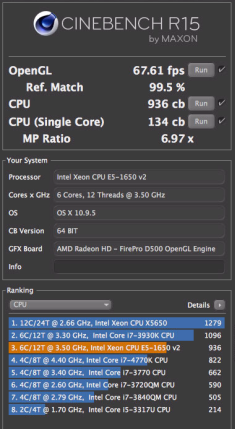 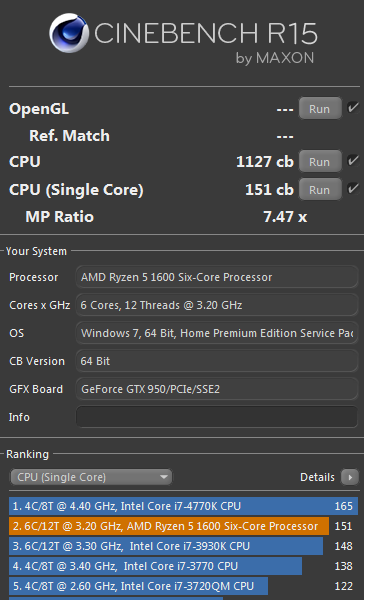 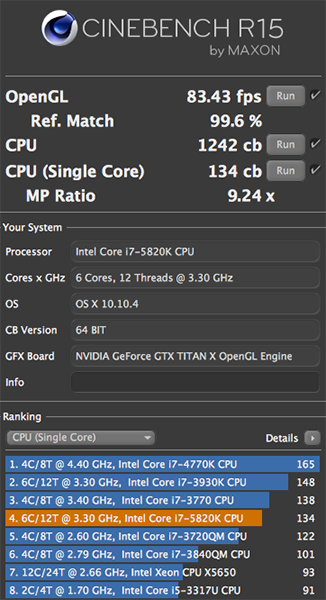 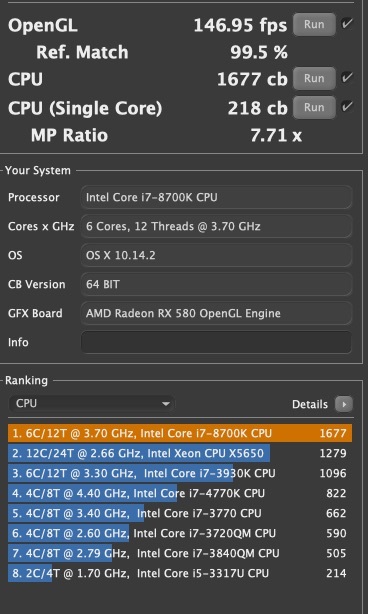 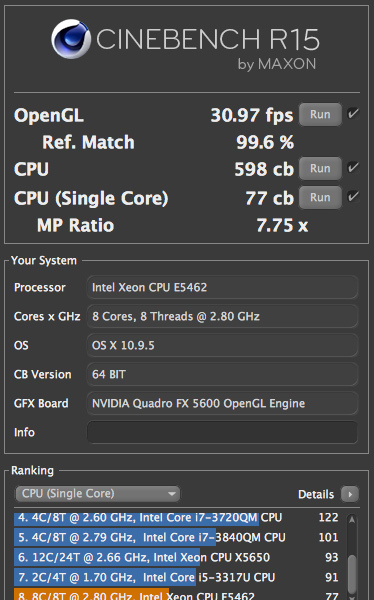 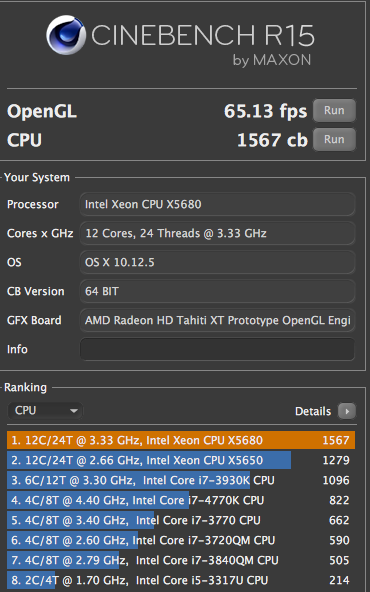 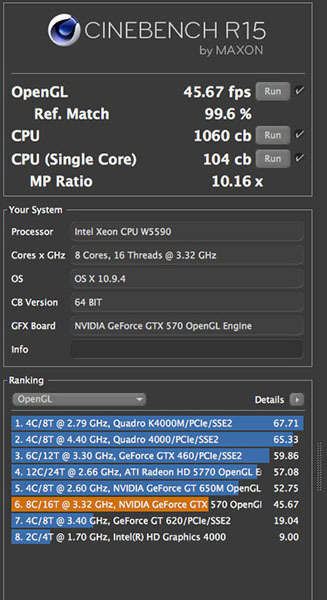 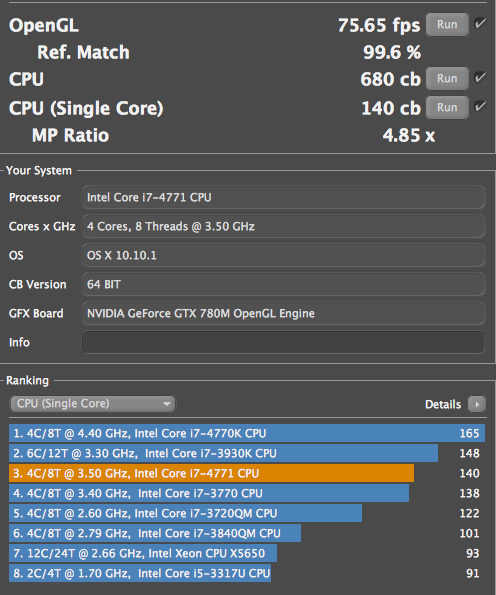 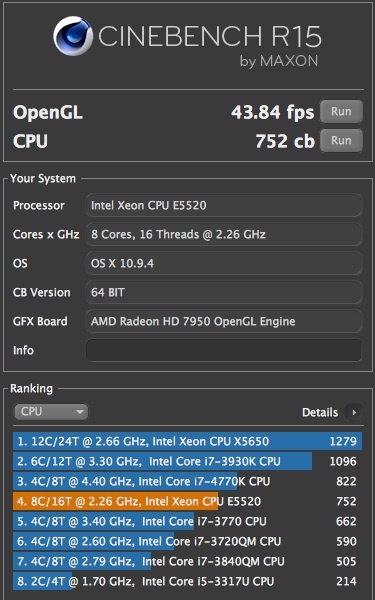 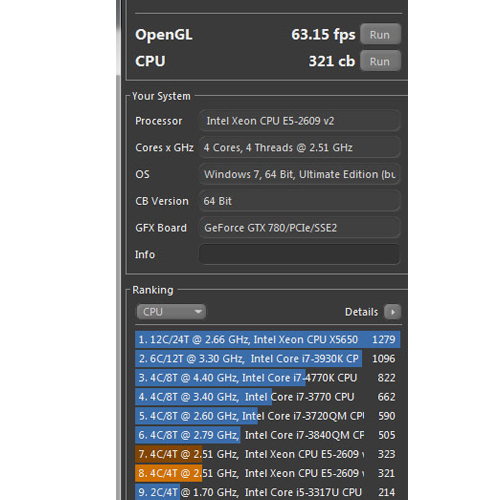 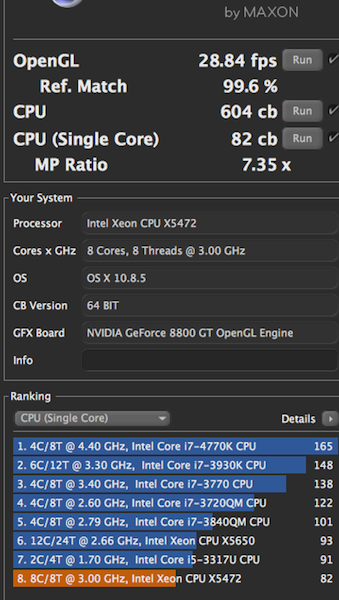 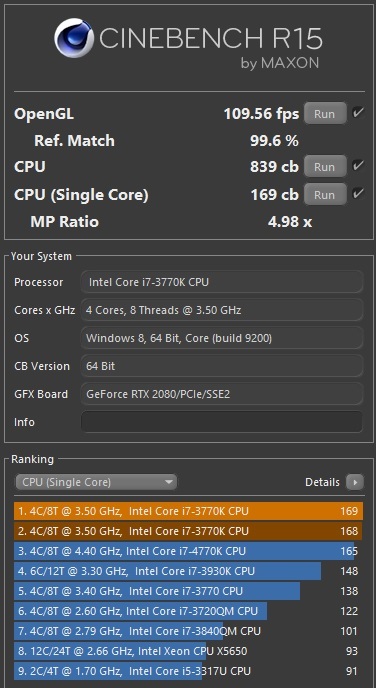 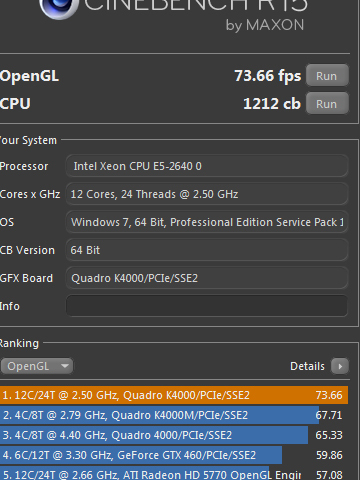 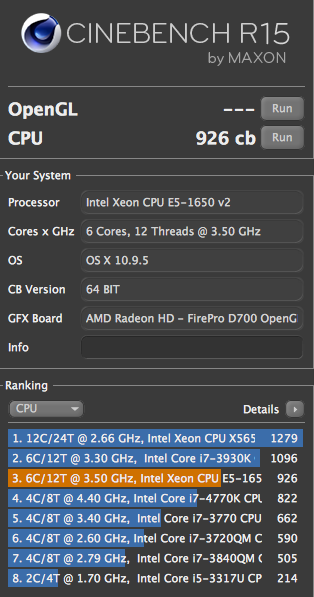 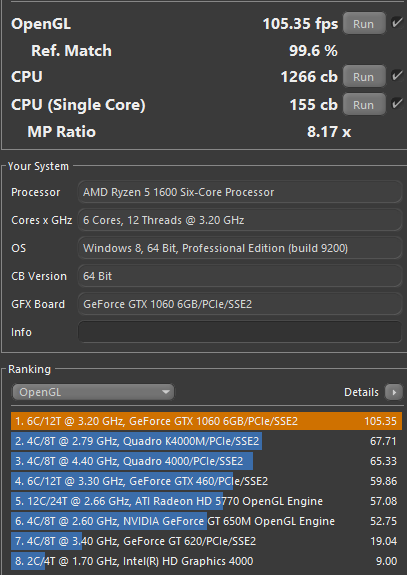 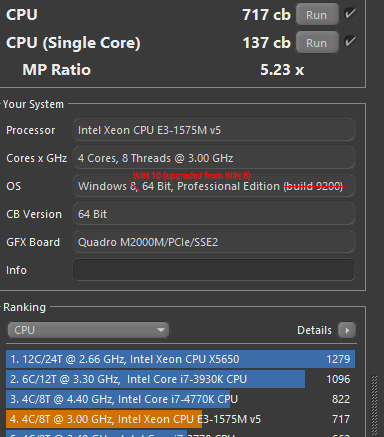 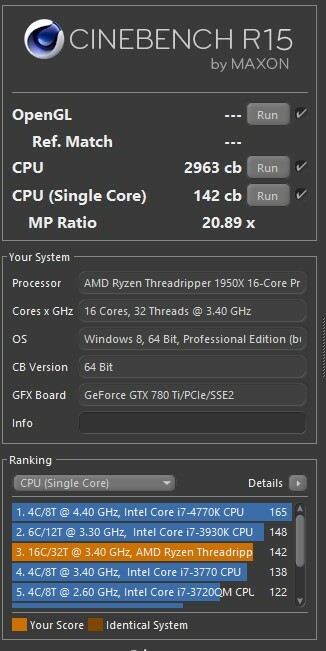 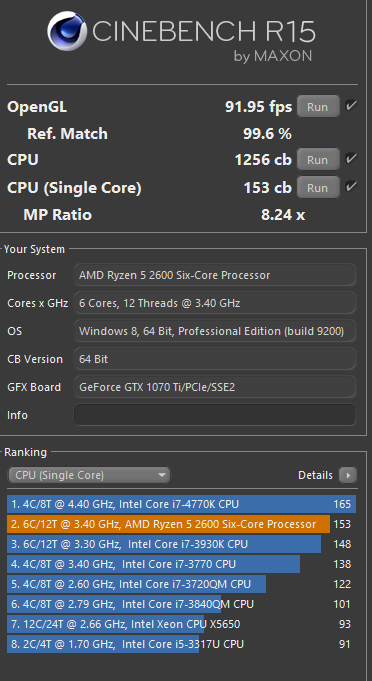 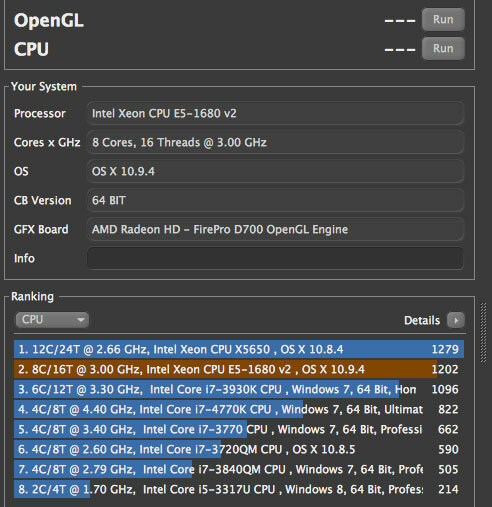 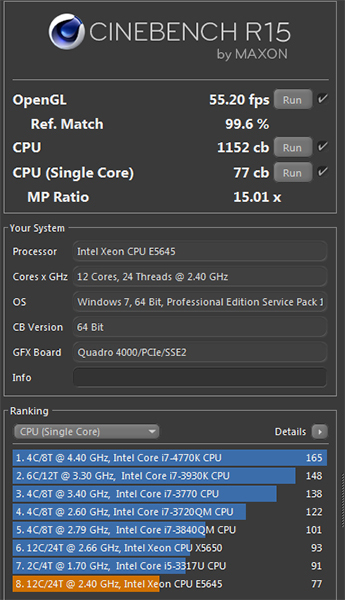 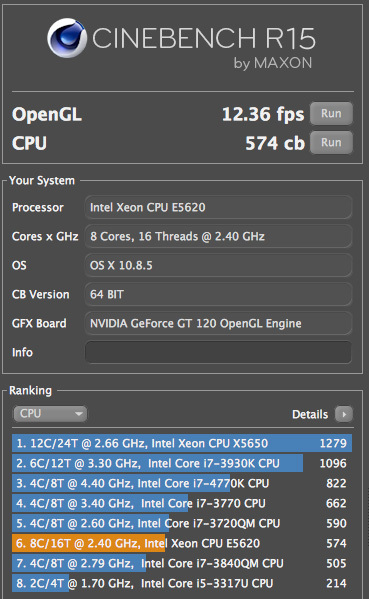 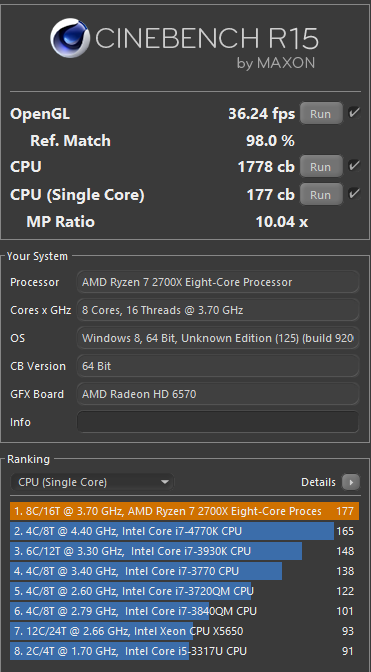 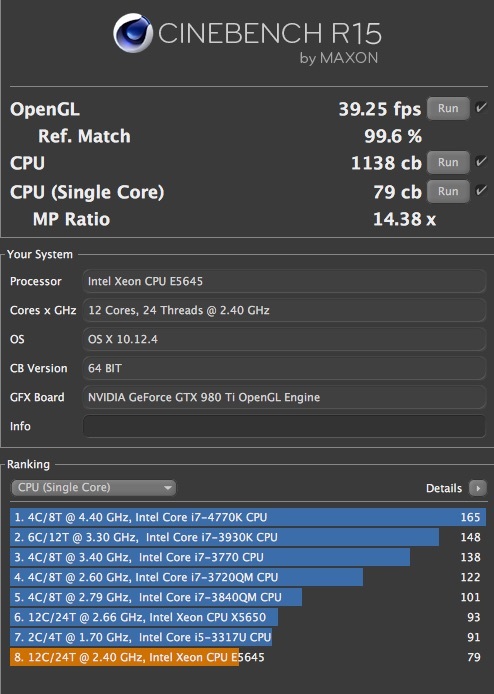 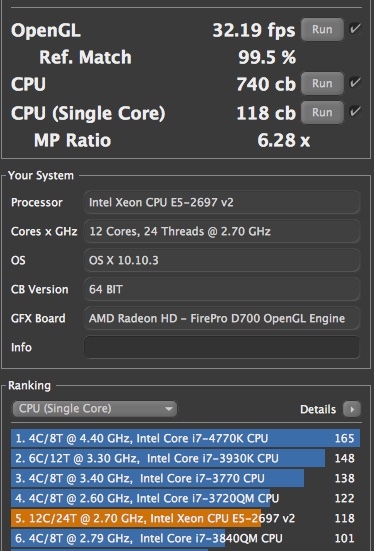 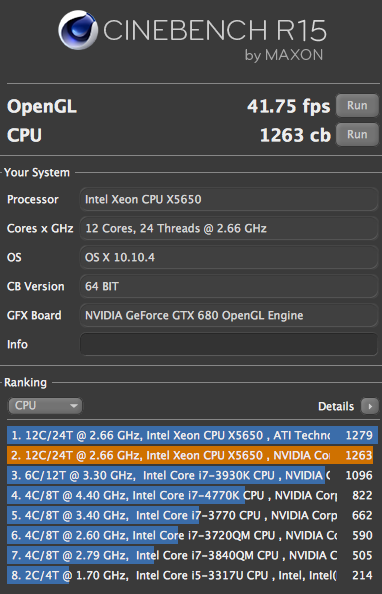 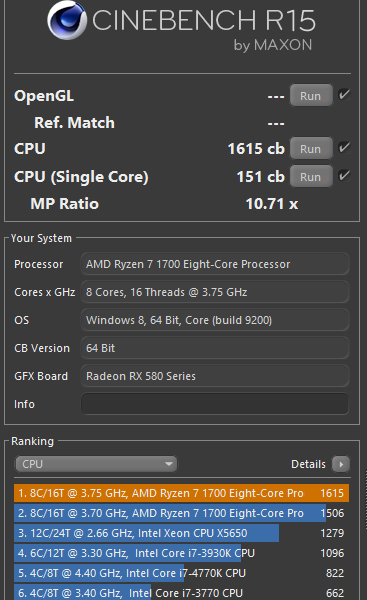 You can use the results provided to compare a huge variety of different processors, to estimate render times on different CPU's or to estimate the costs for rendering your animation on a render farm such as RebusFarm. 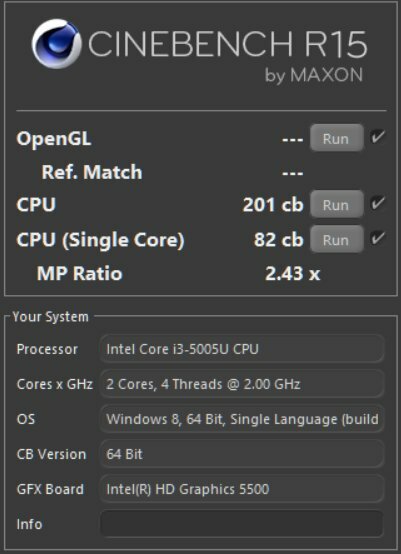 You can contribute! 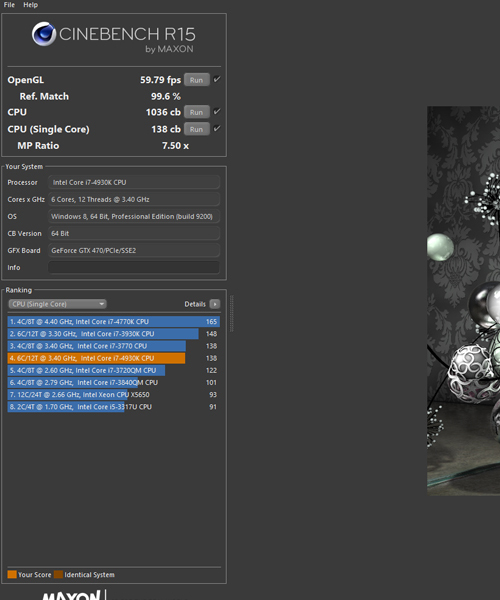 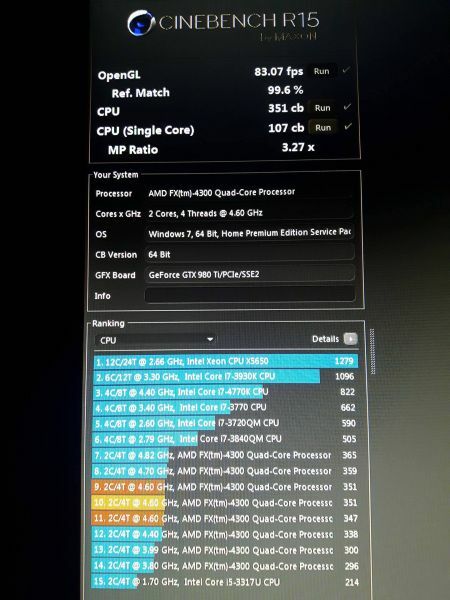 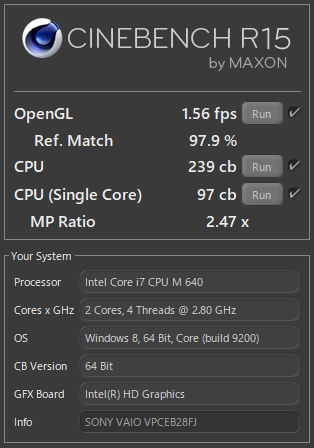 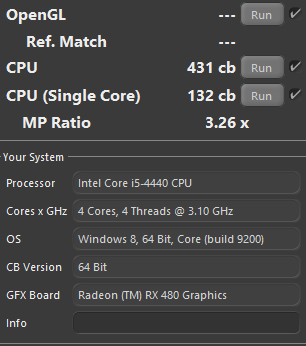 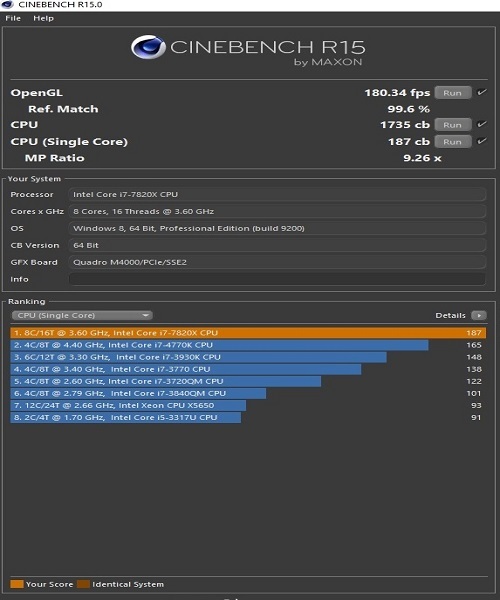 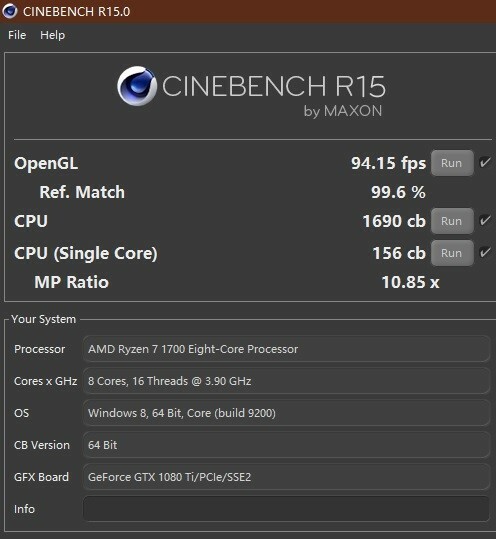 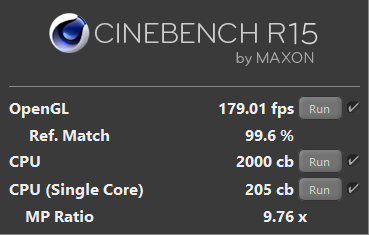 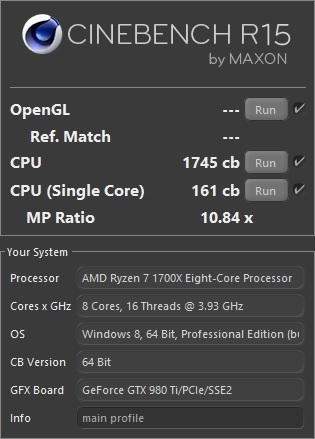 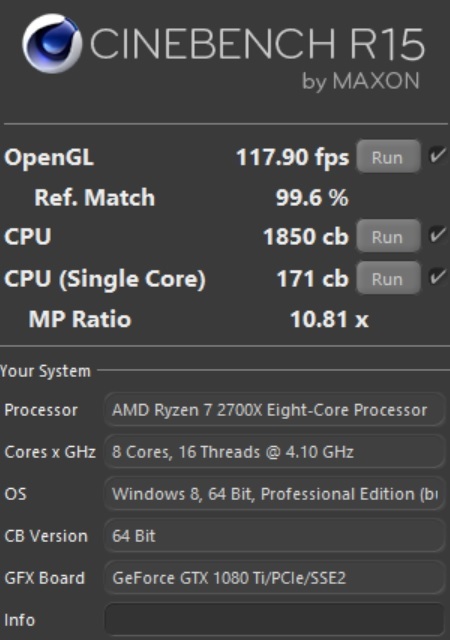 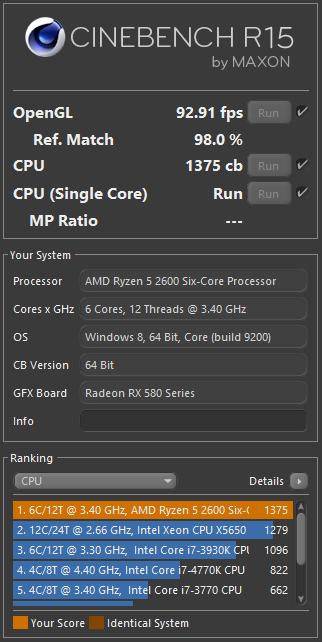 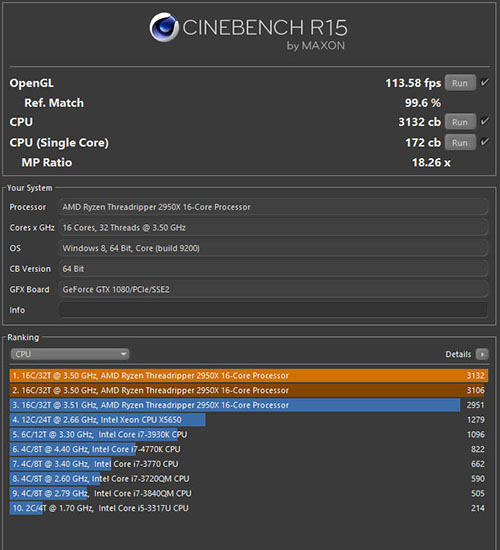 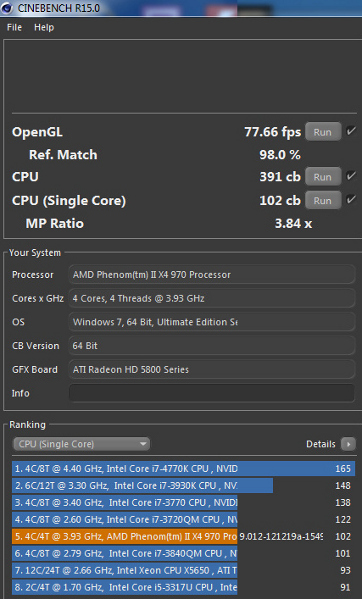 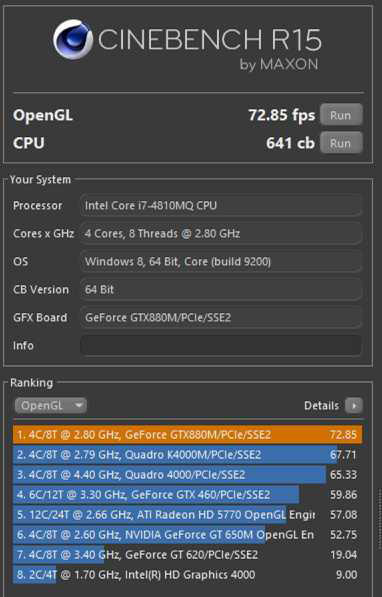 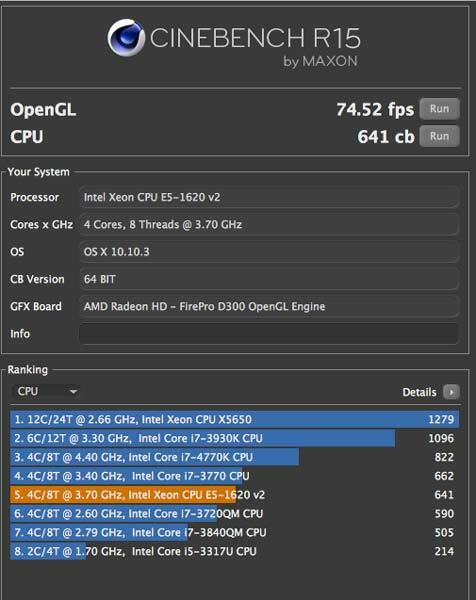 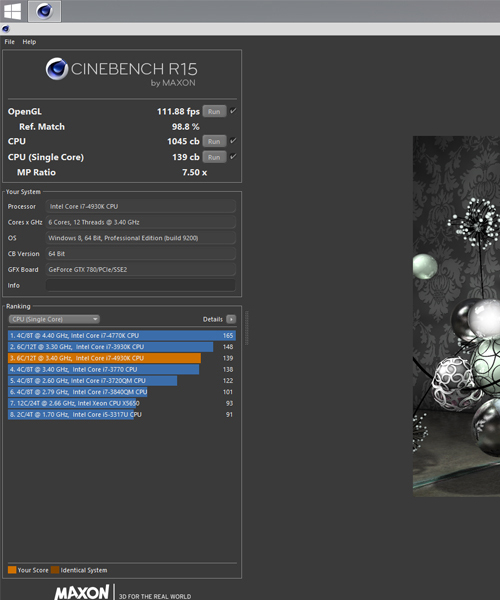 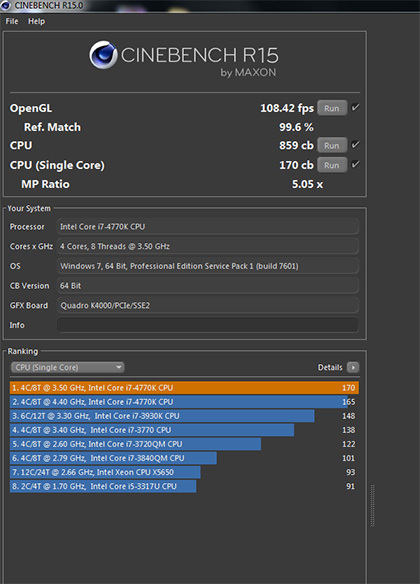 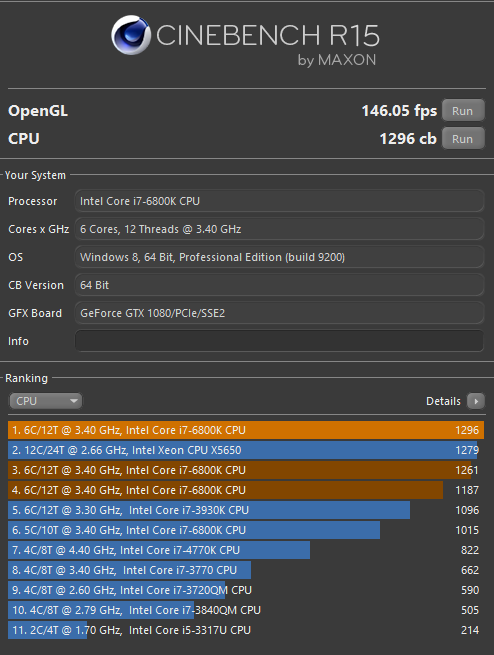 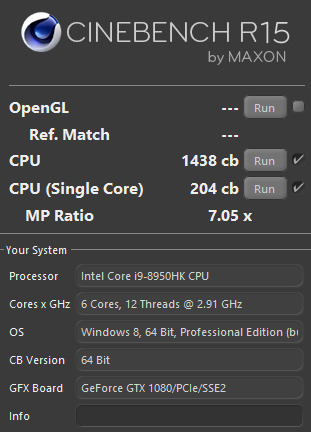 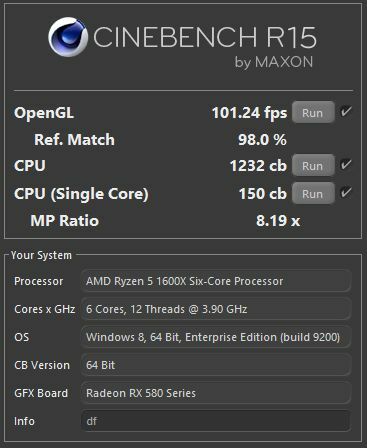 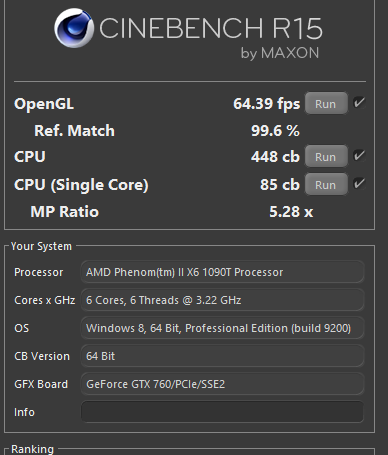 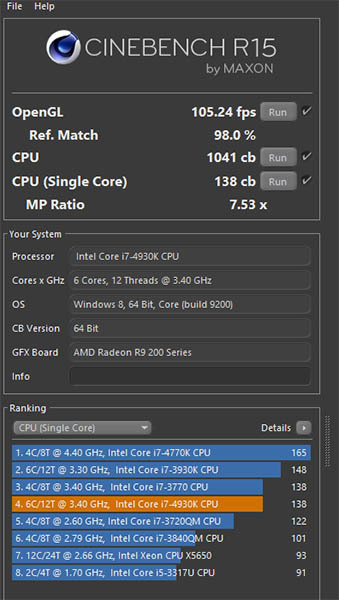 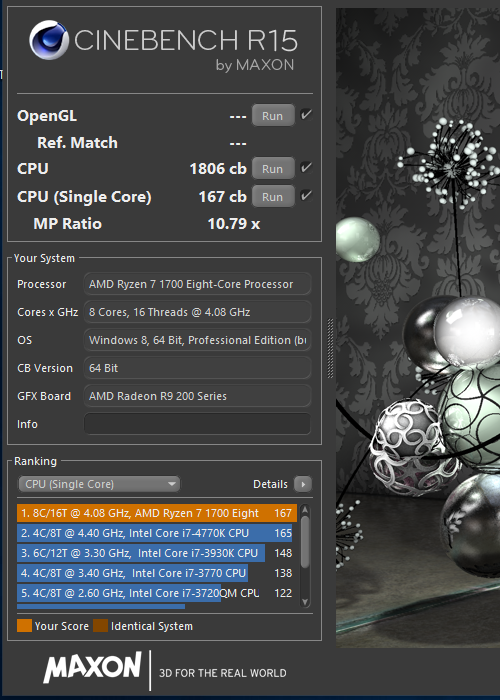 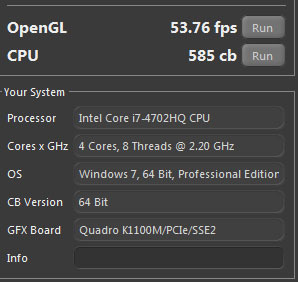 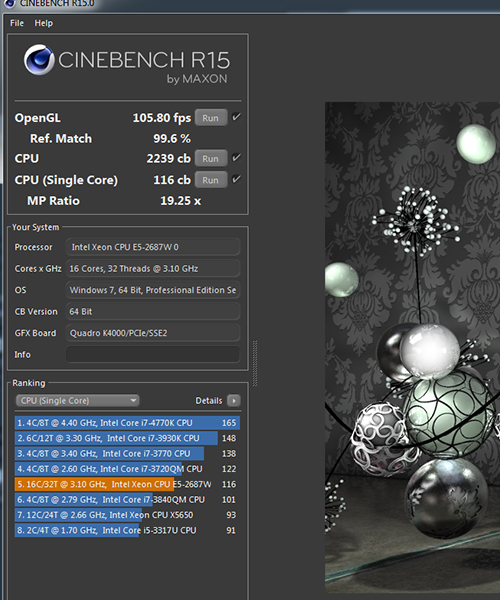 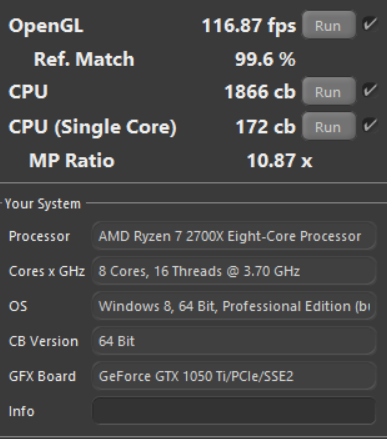 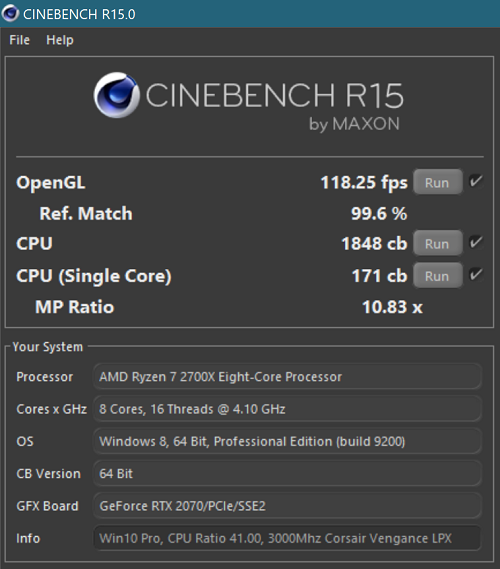 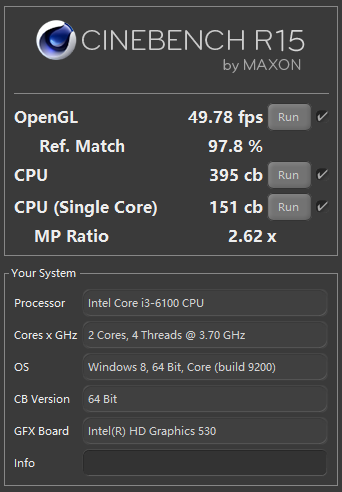 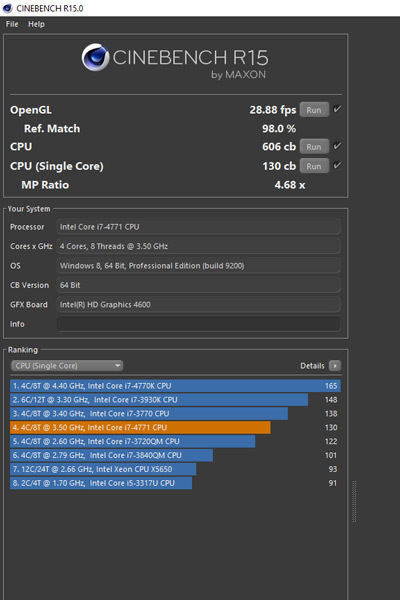 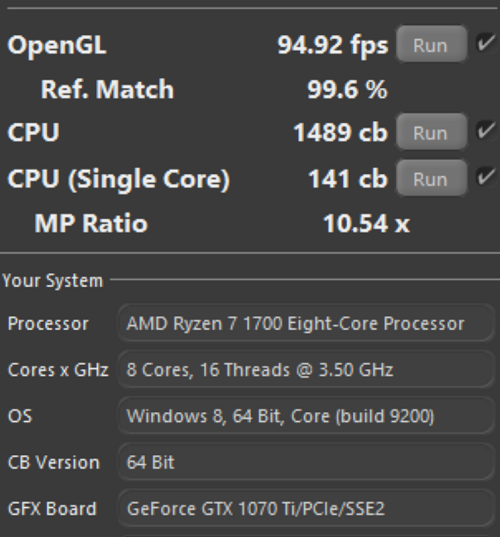 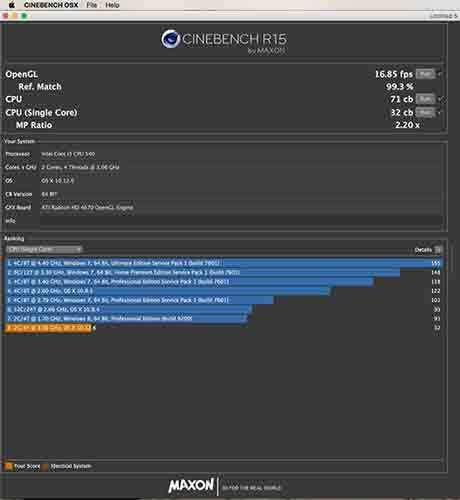 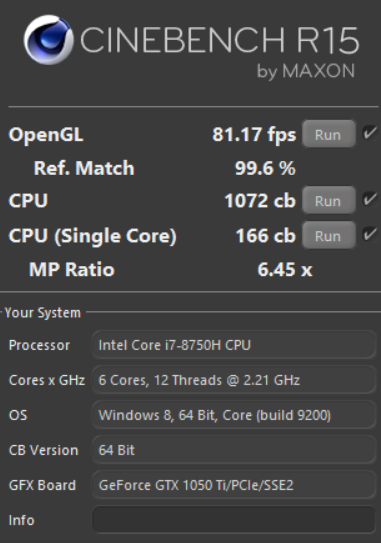 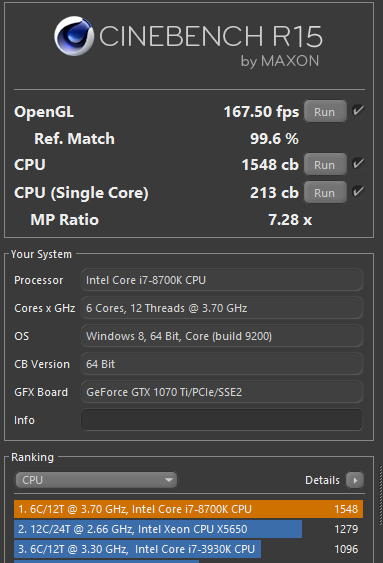 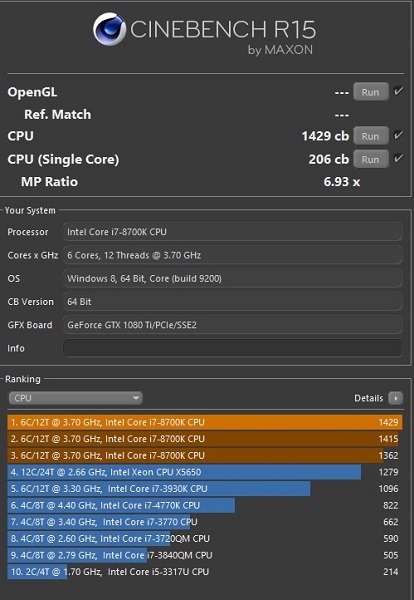 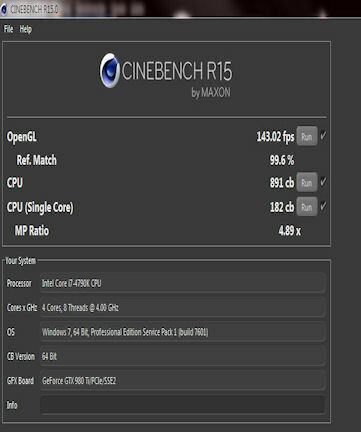 Send us your CINEBENCH R15 benchmark results by following the link below. 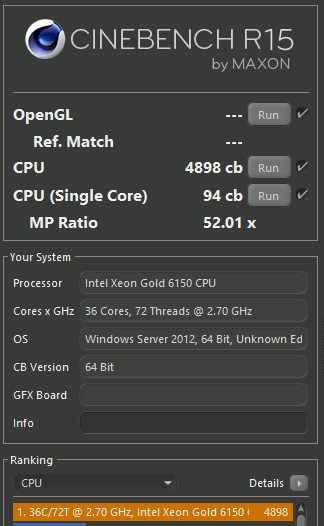 The good thing is: if you have an account with RebusFarm, you'll get 10 render points for free to render your animation or single frame! 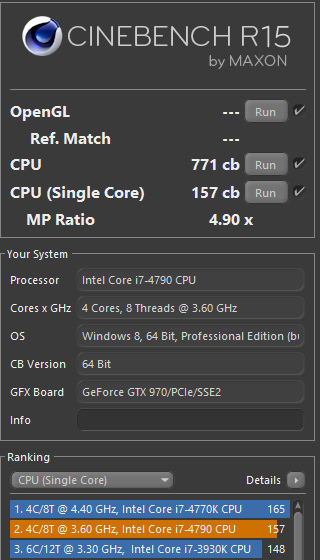 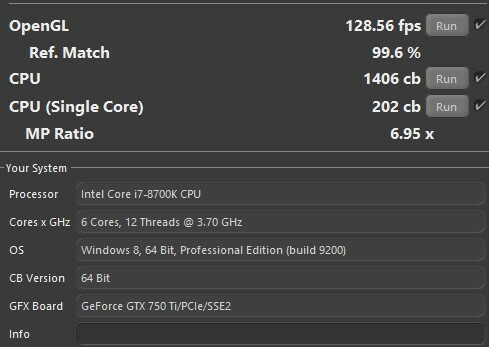 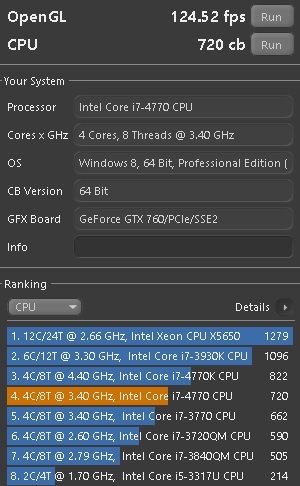 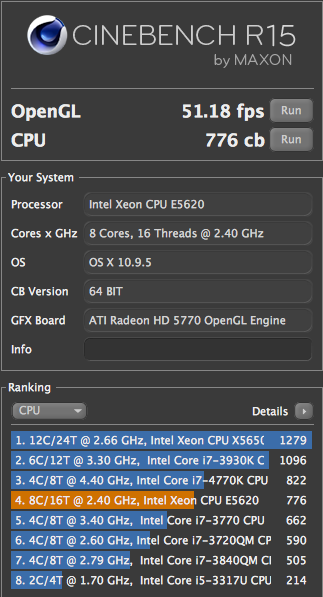 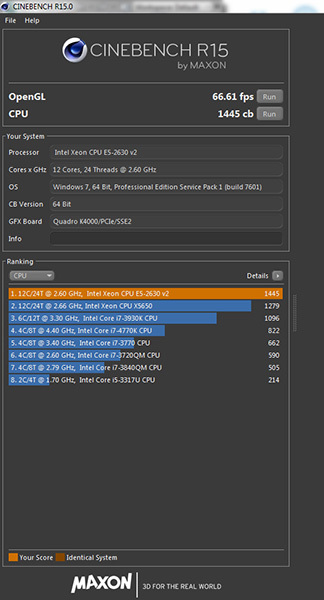 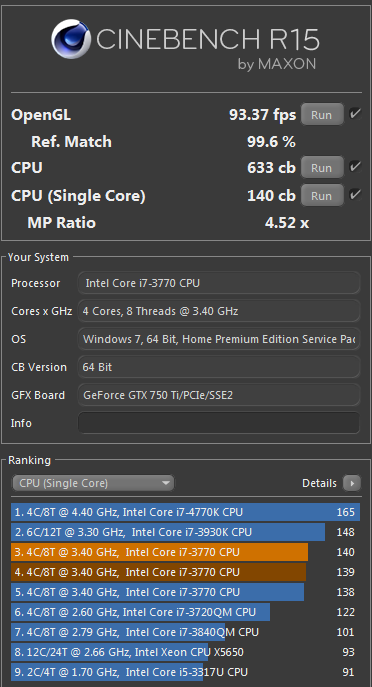 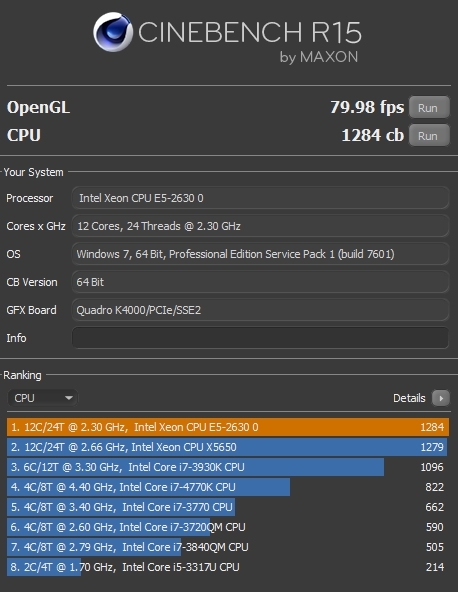 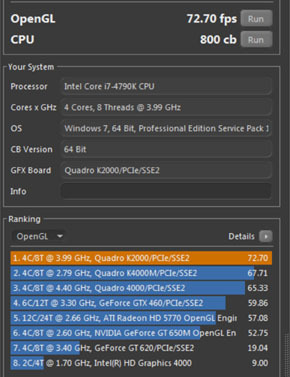 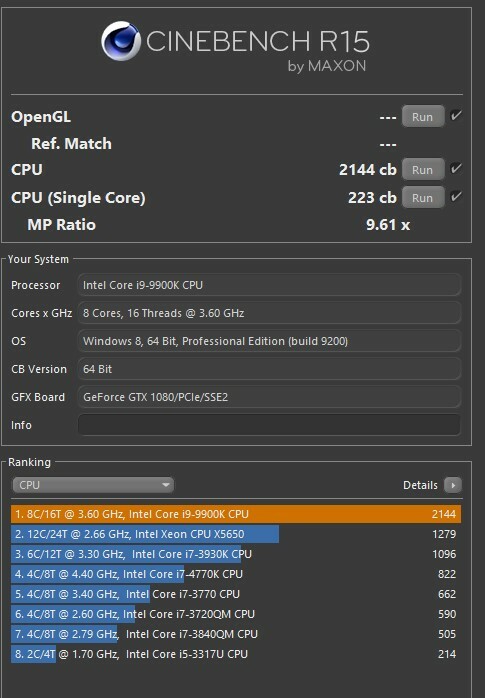 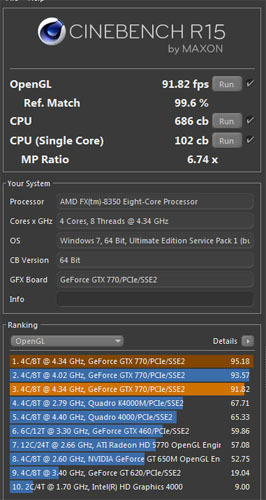 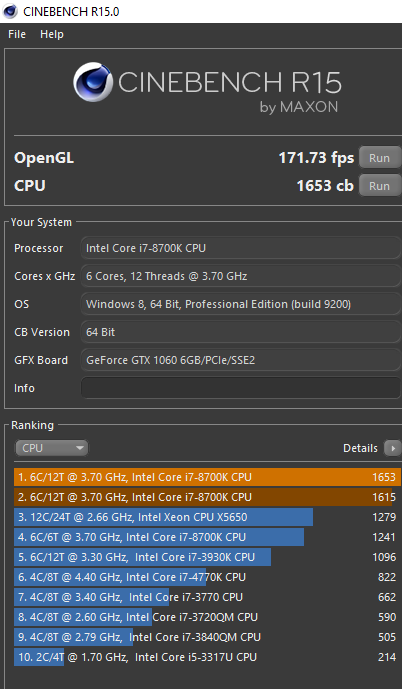 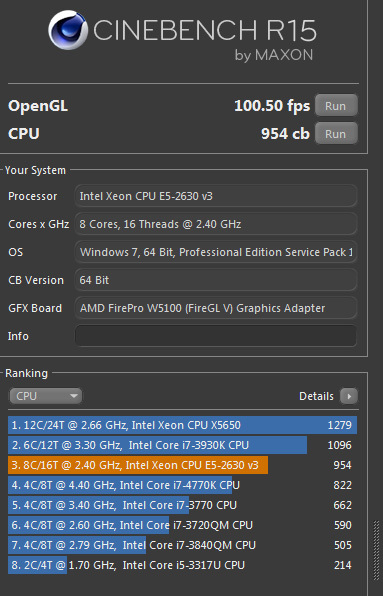 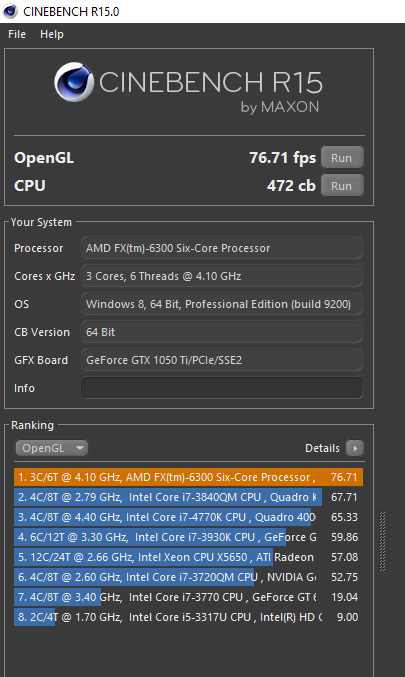 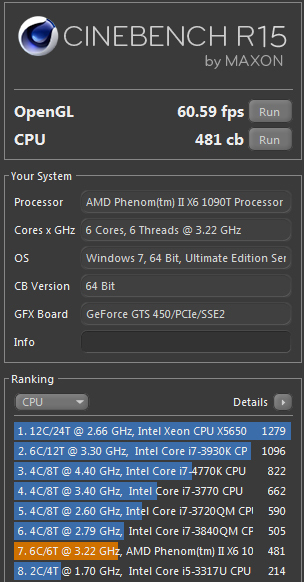 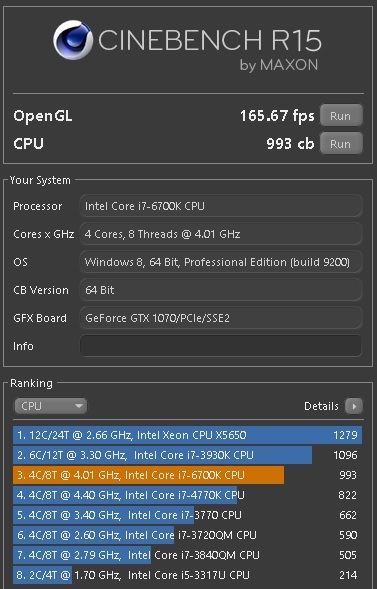 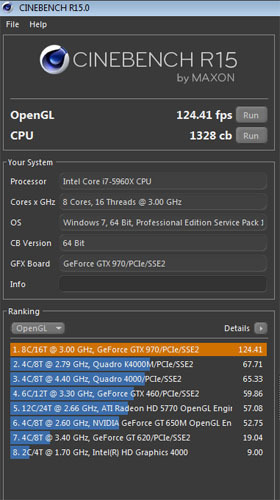 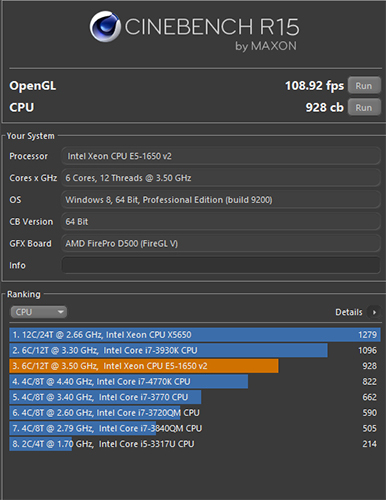 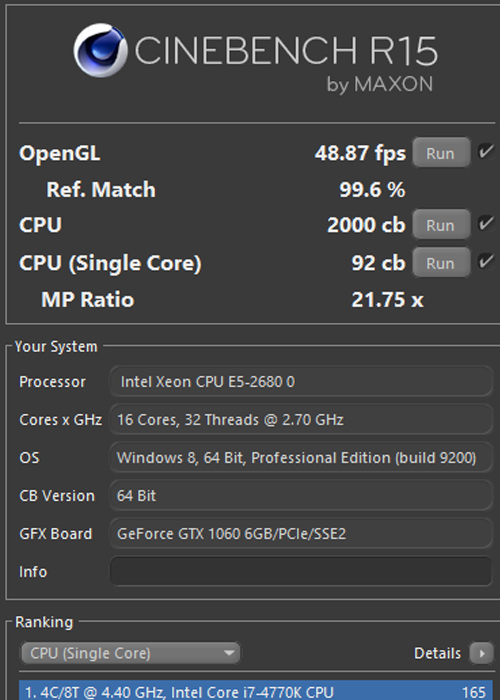 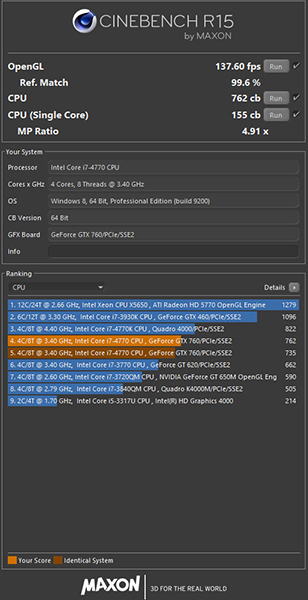 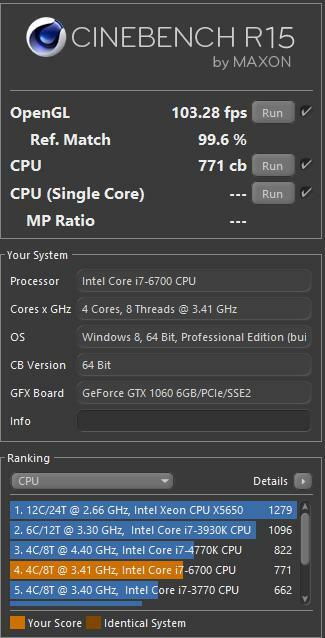 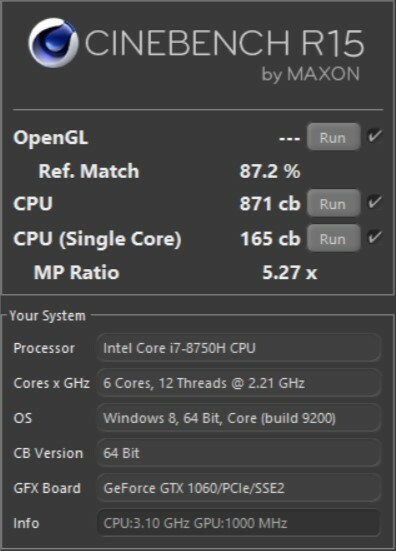 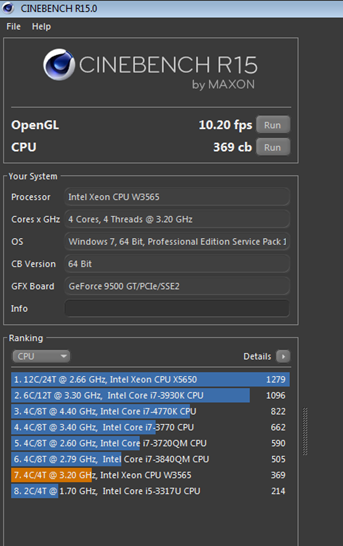 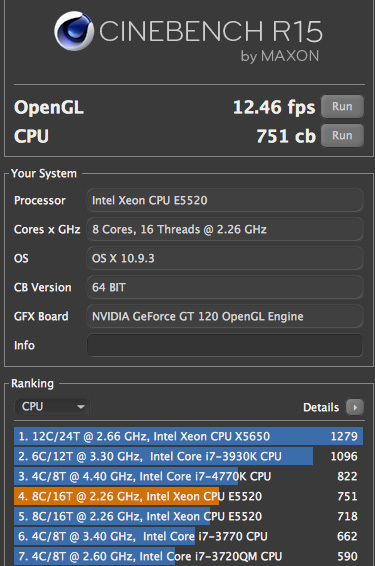 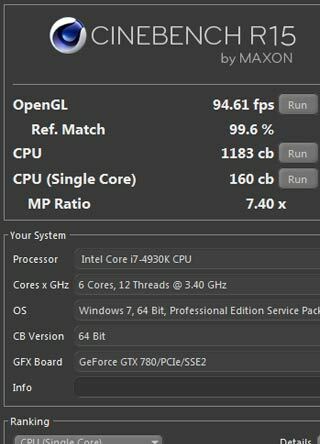 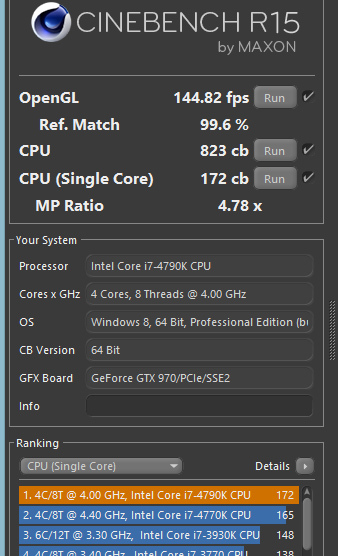 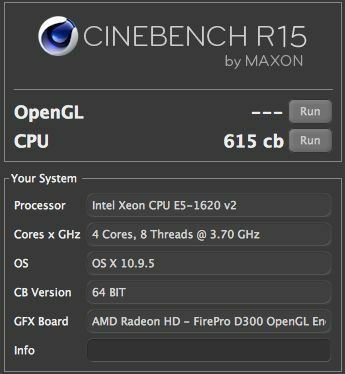 Please send us your Cinebench results and help us to publish an up to date Cinebench benchmark result database. In any production process, from making shoes to 4K stereoscopic renders, the most important factor any producer needs to calculate and keep improving is, in a word, Efficiency. 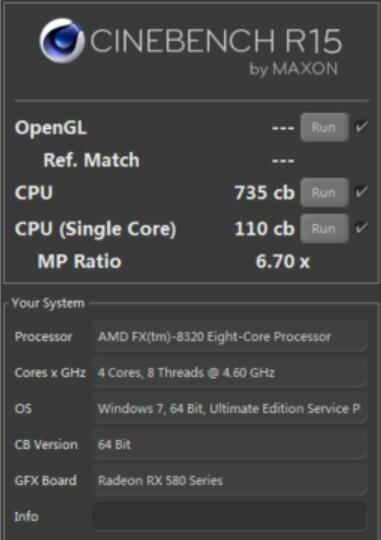 How well are the systems working, how quickly the individual stages of the process are handled and completed, all add up to significant variants in the time and therefore cash cost of the production. RebusFarm have always prided themselves on their attention to the efficiency of their service. After all, it is their speed and efficiency that make them an attractive choice when faced with a large and complicated render demand. 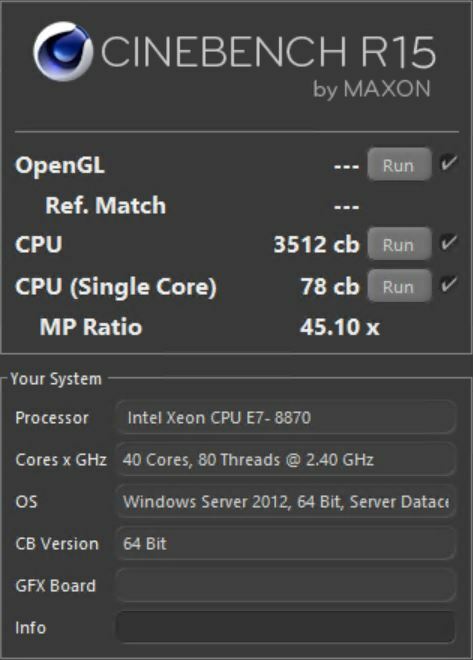 As Animation Director and writer Keith English told me when we were discussing RebusFarm, they revolutionized his render times, when he switched from his studio-based render farm to using the huge array at RebusFarm. 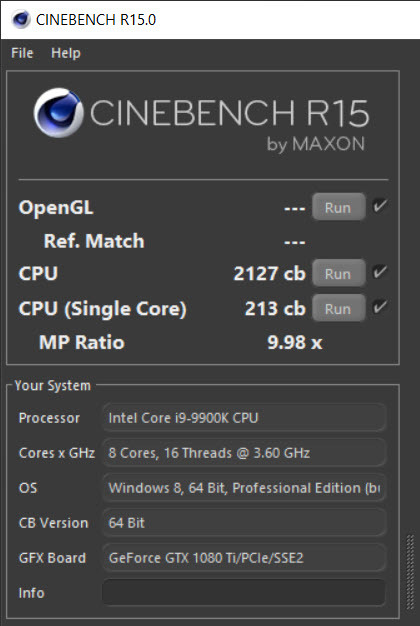 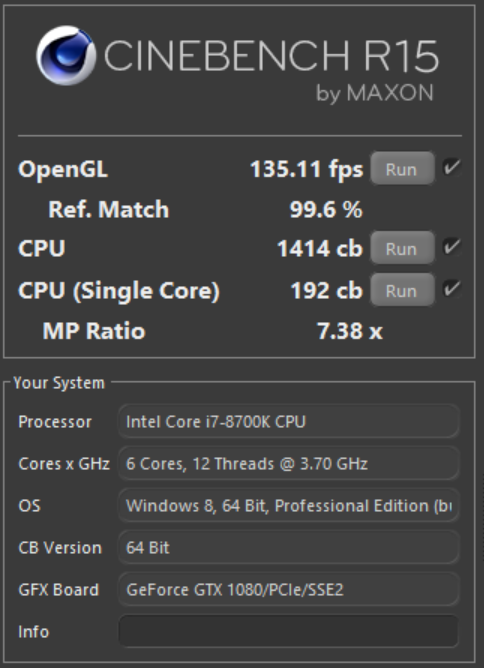 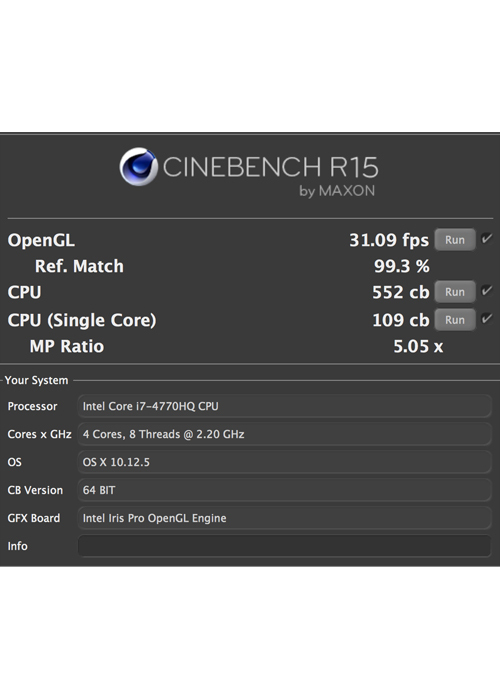 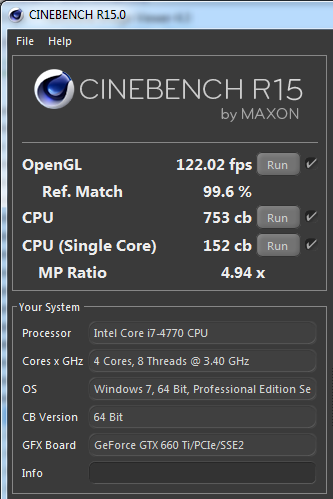 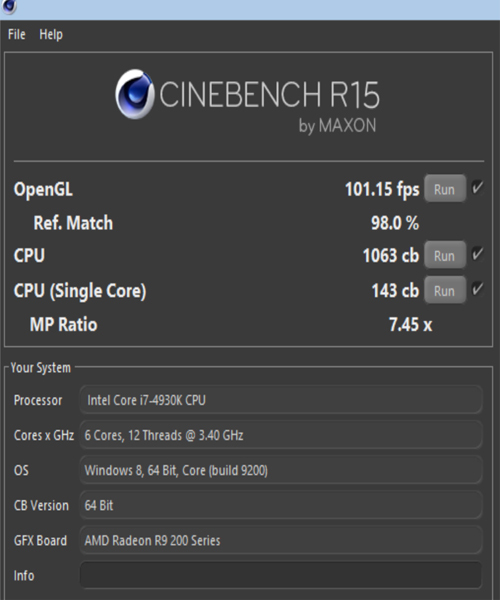 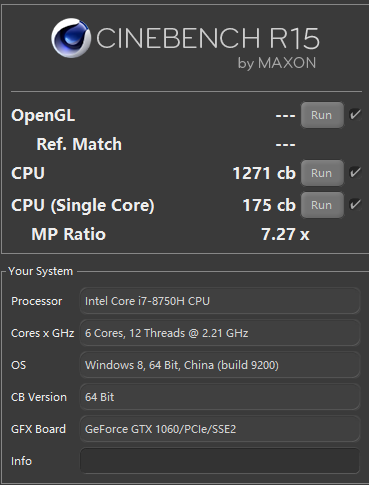 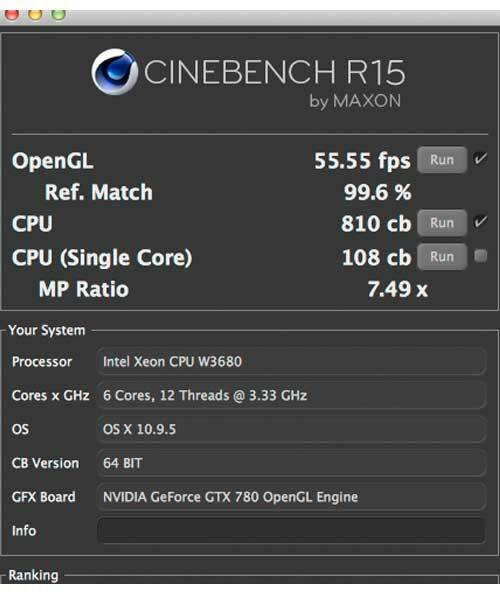 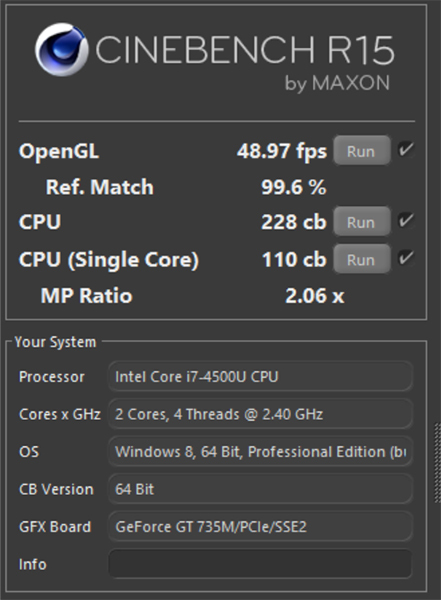 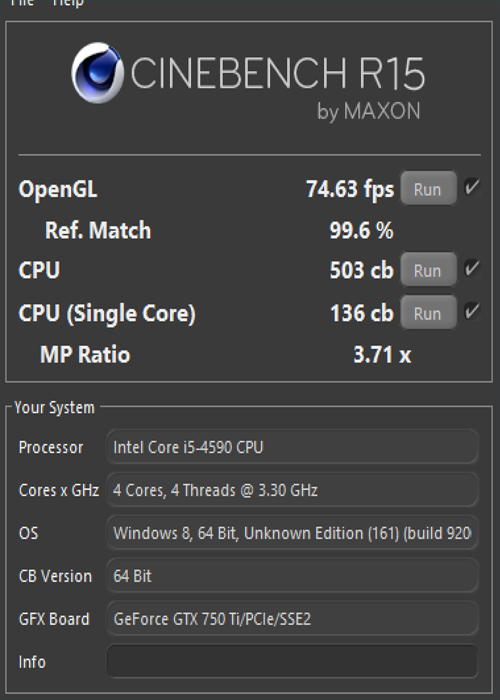 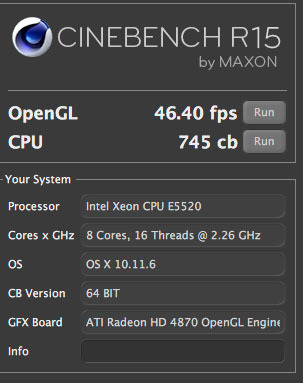 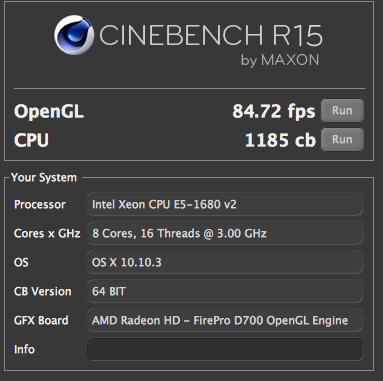 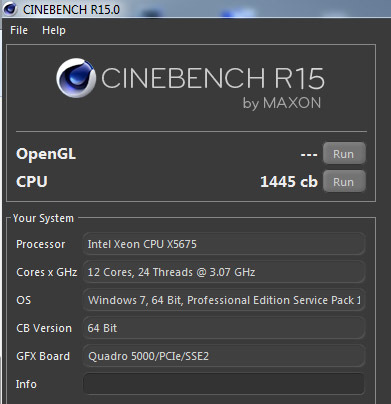 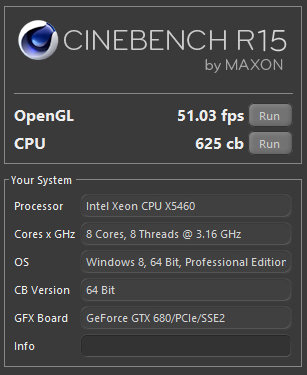 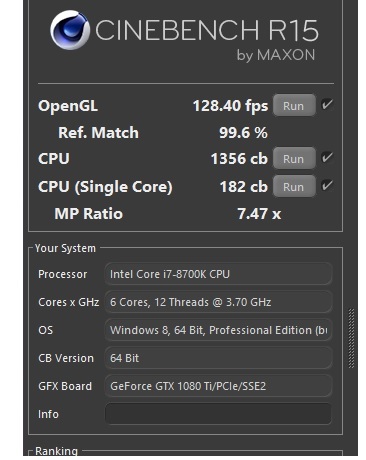 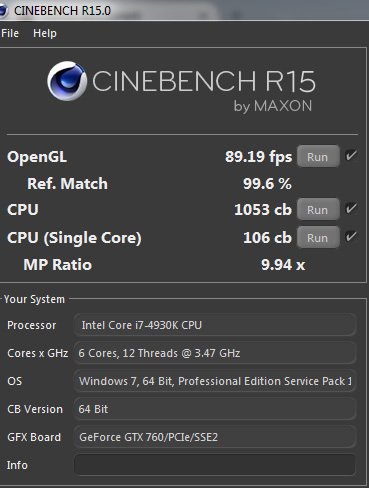 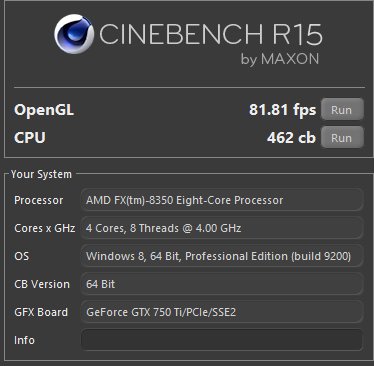 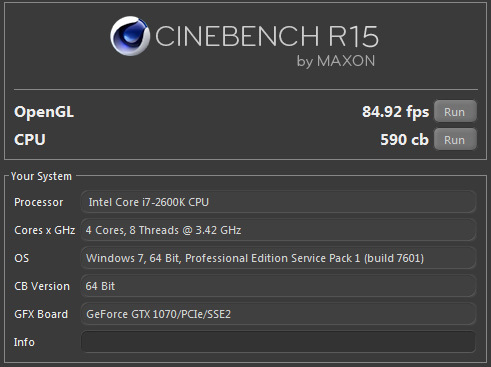 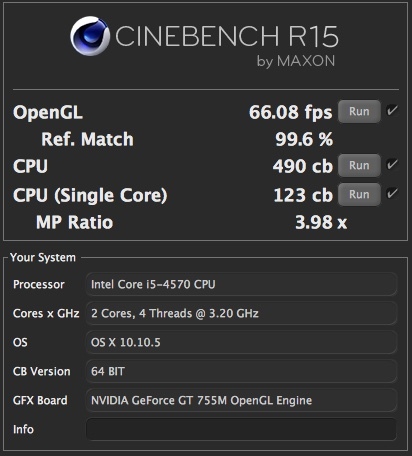 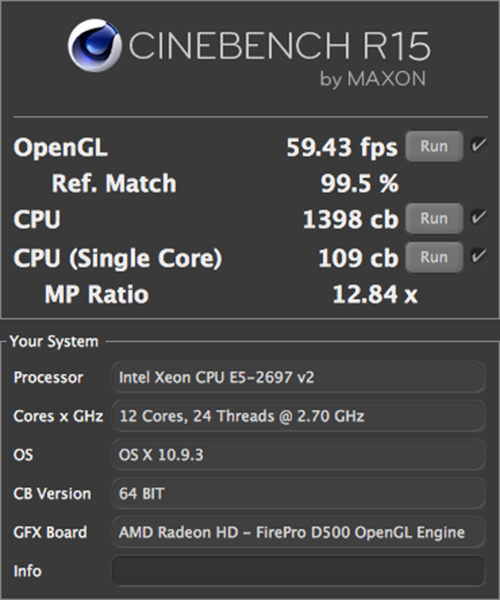 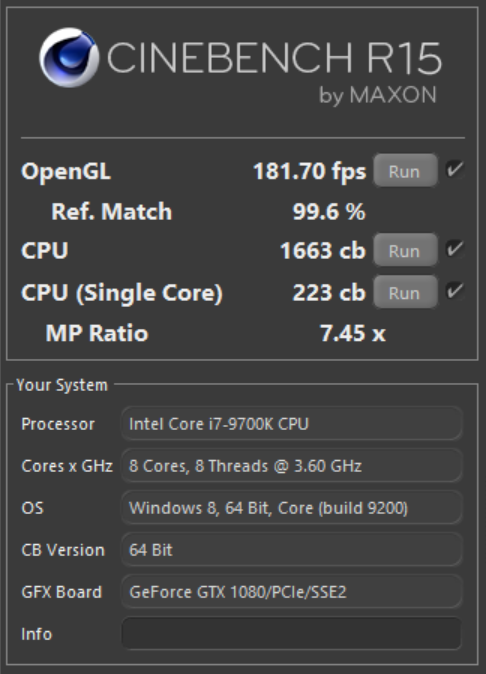 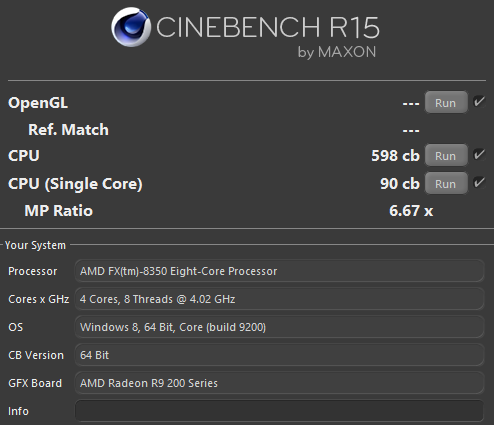 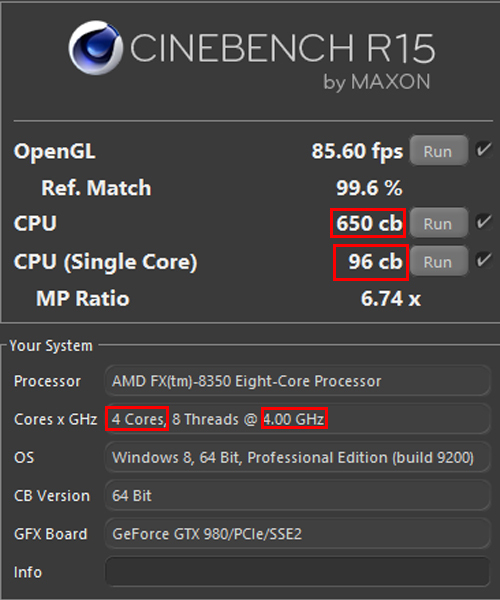 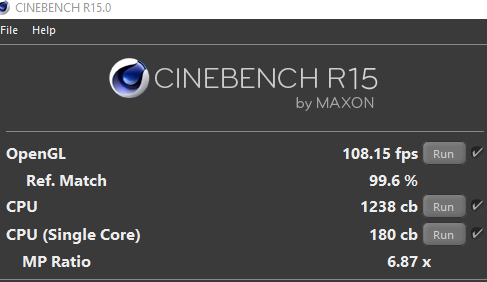 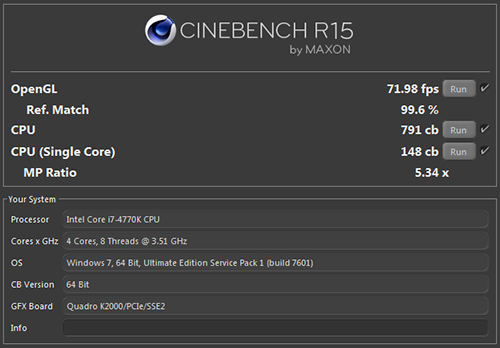 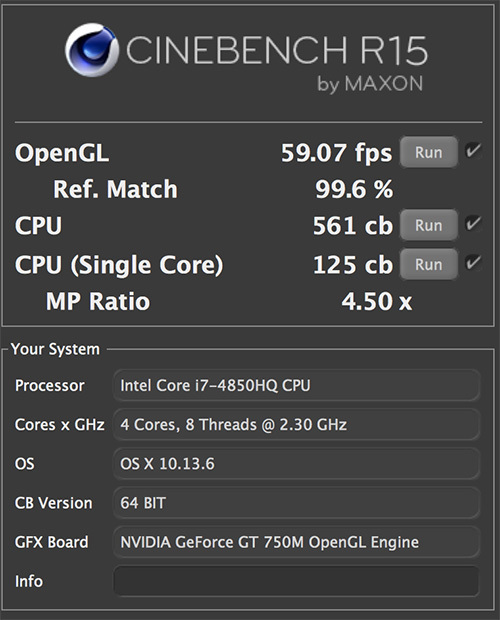 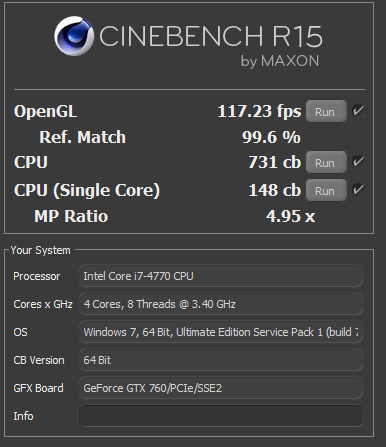 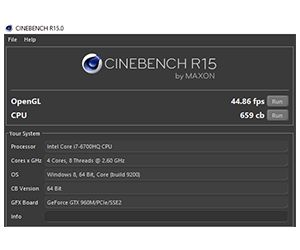 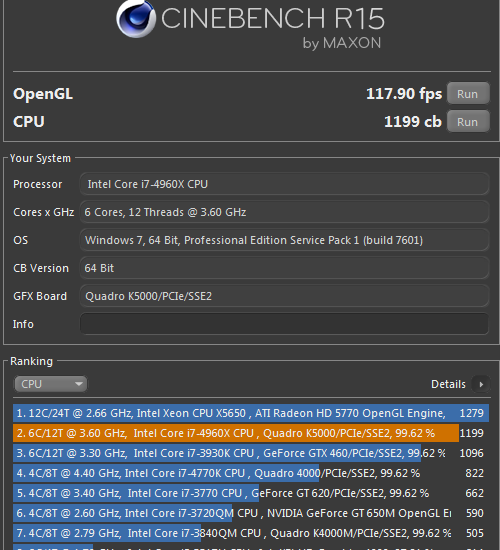 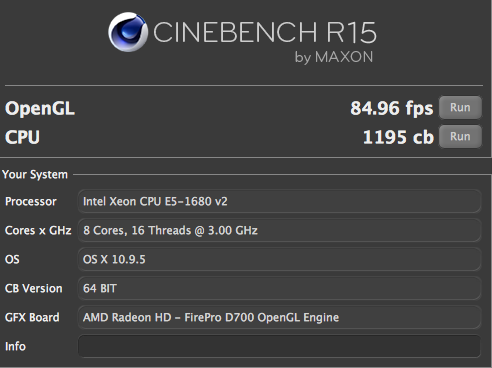 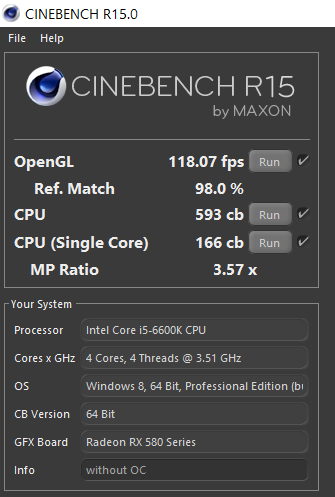 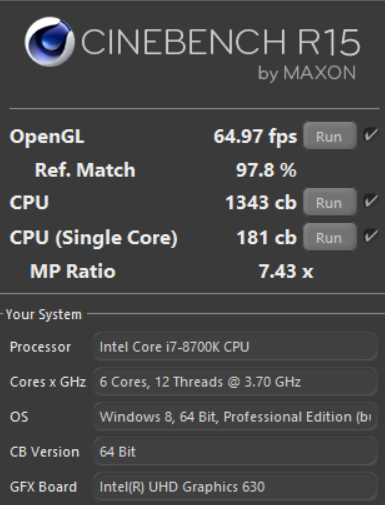 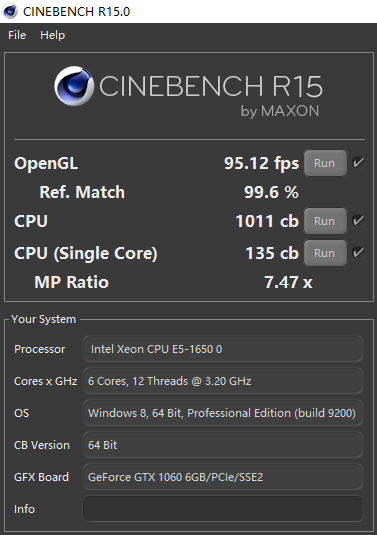 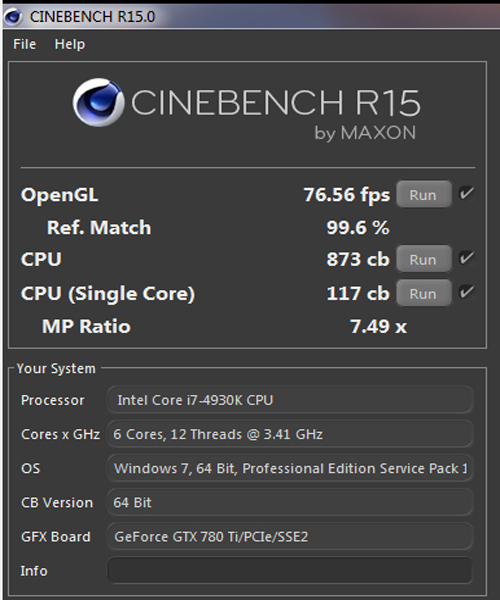 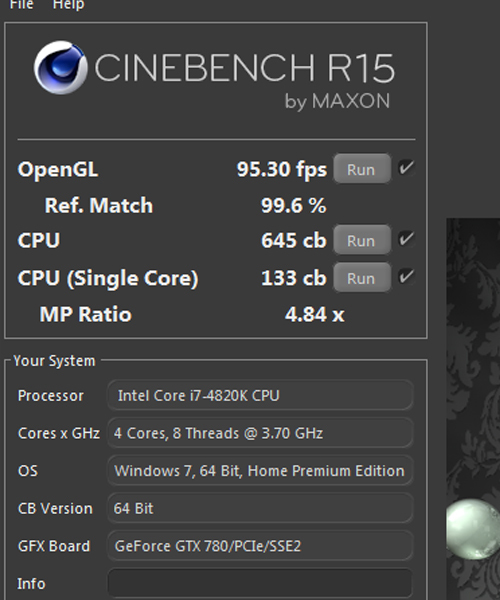 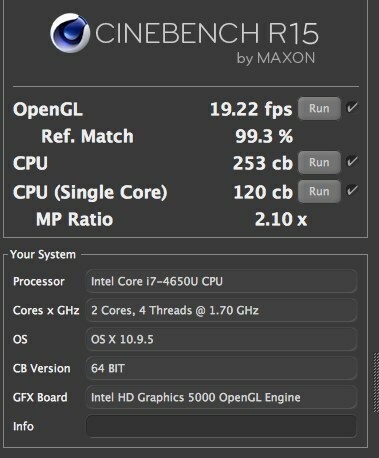 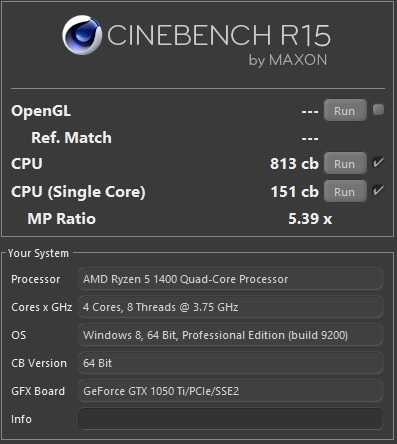 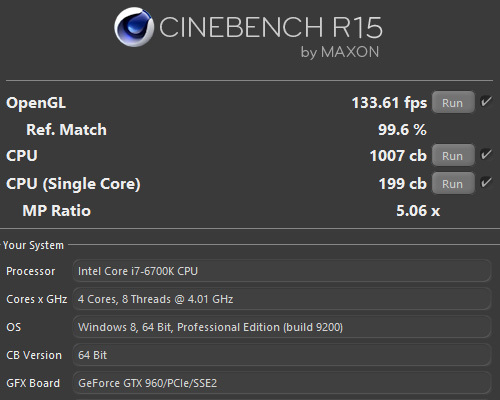 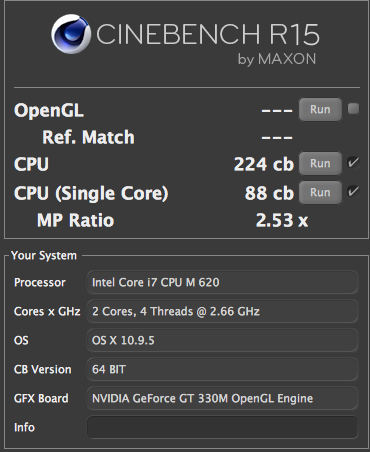 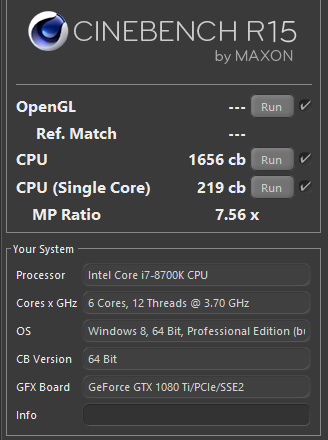 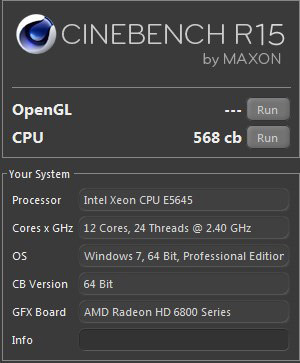 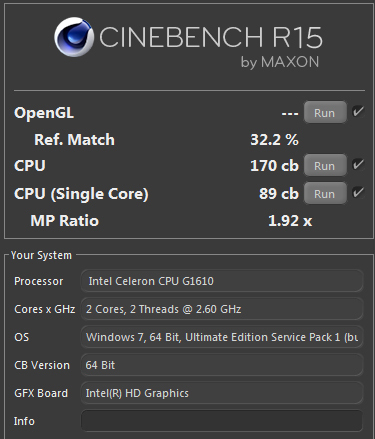 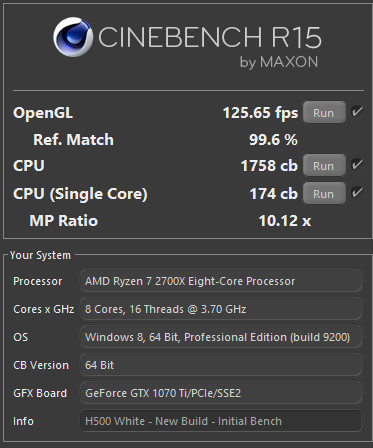 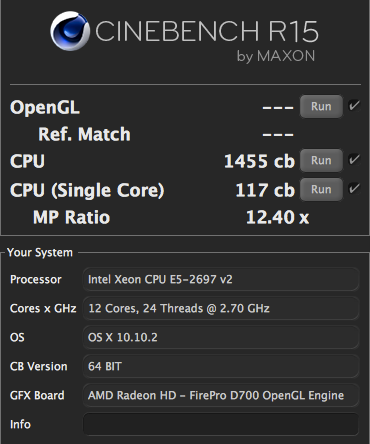 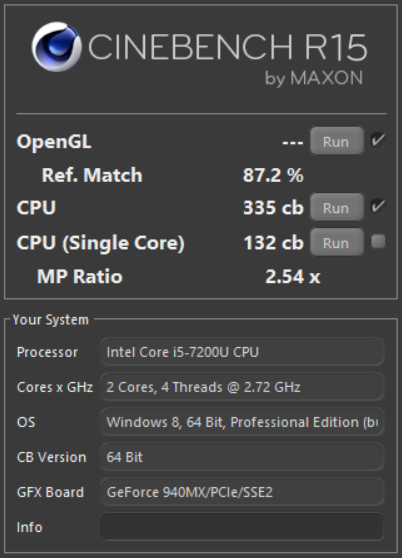 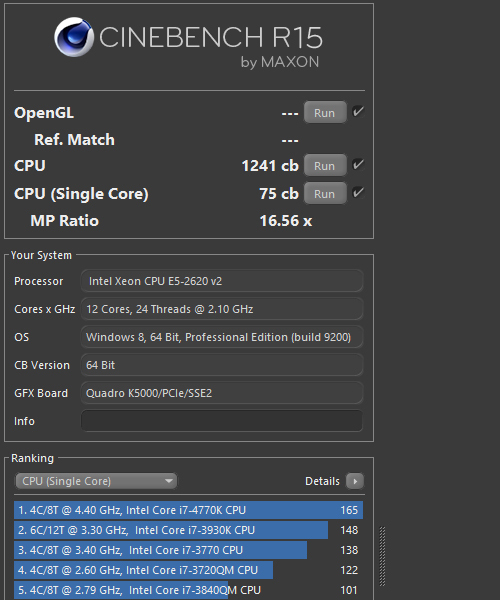 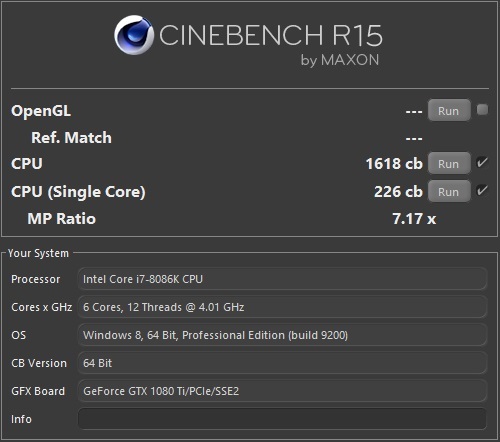 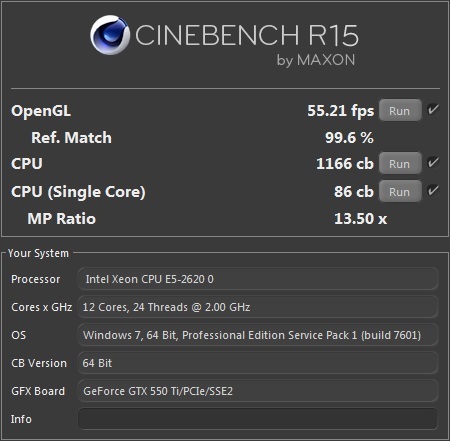 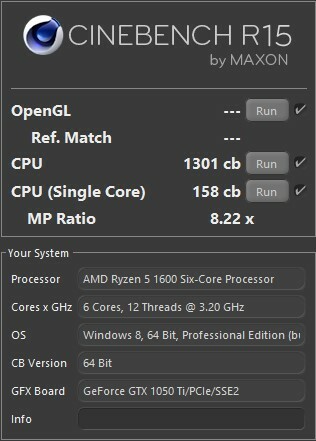 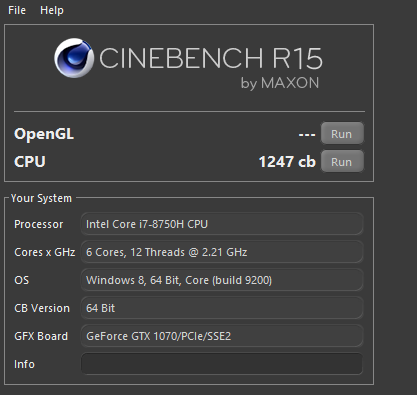 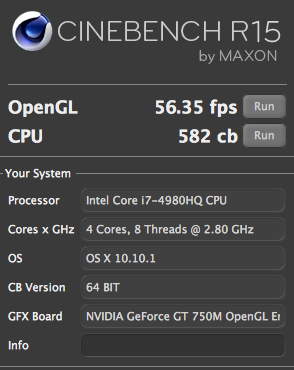 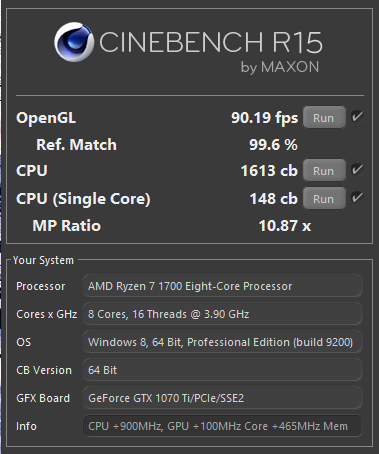 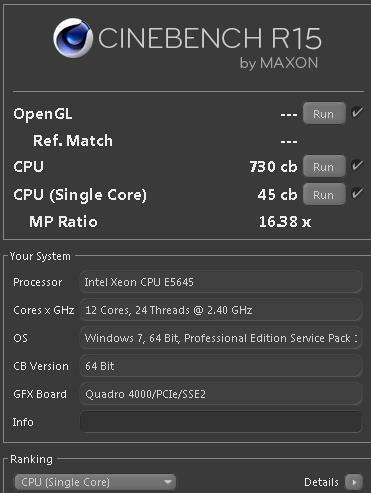 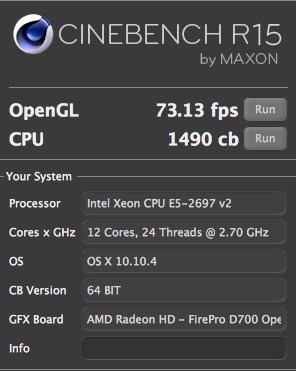 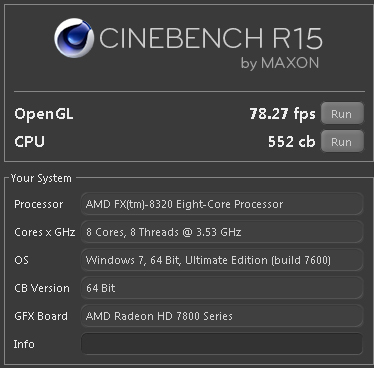 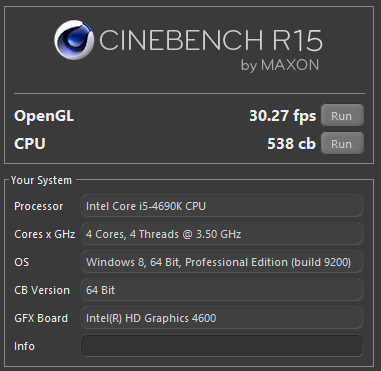 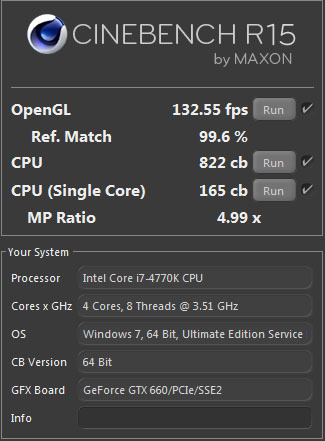 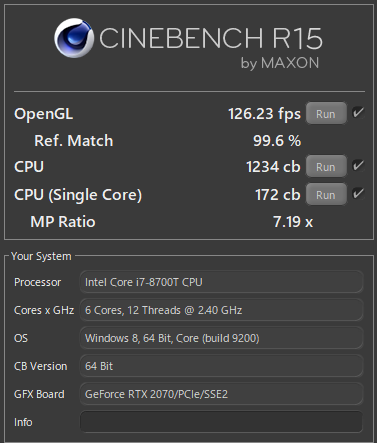 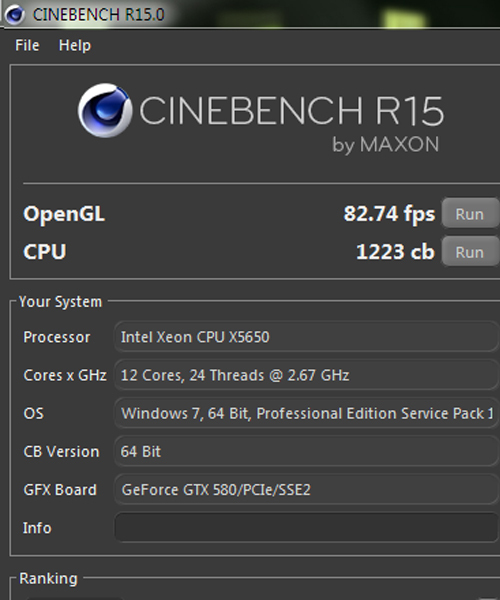 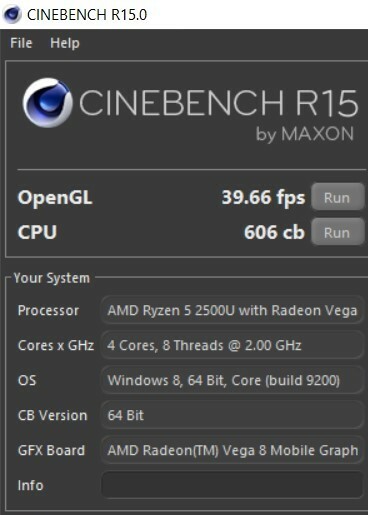 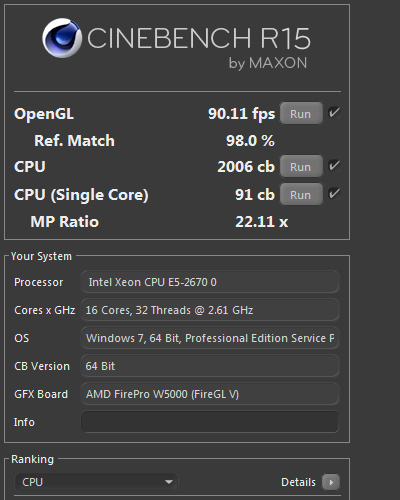 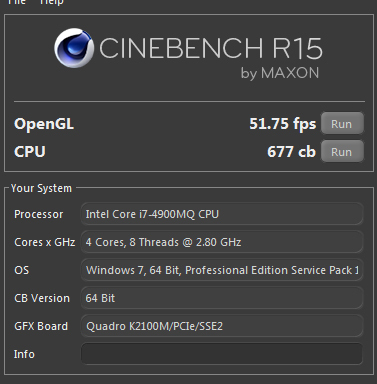 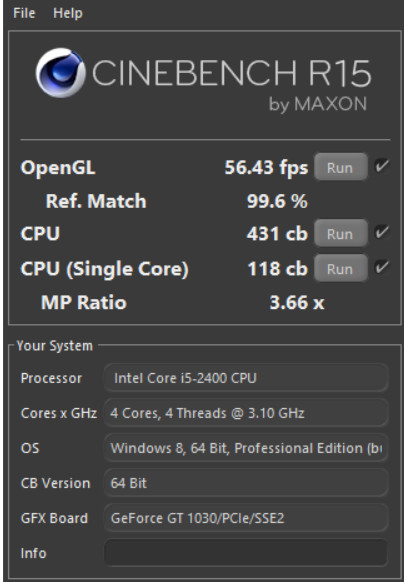 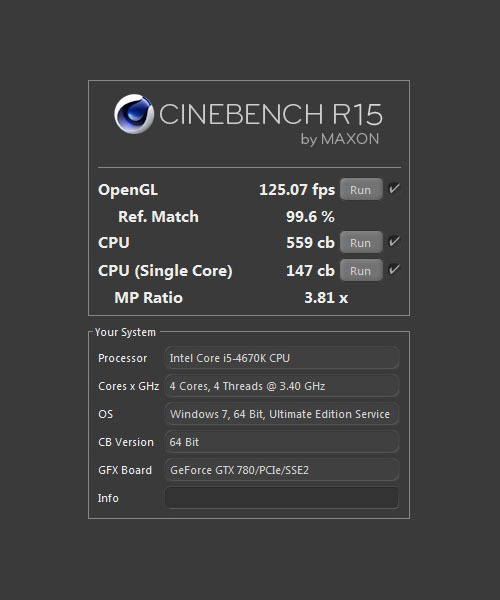 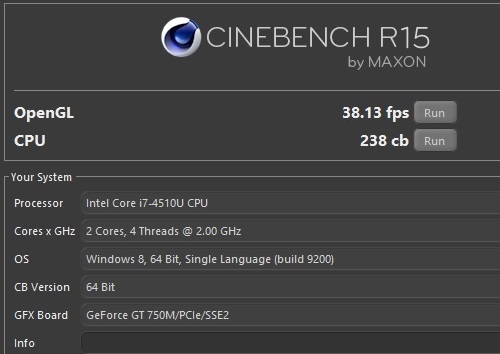 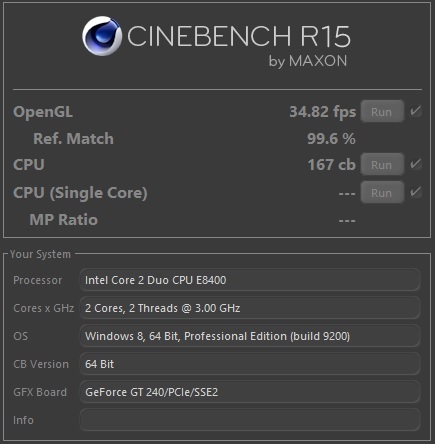 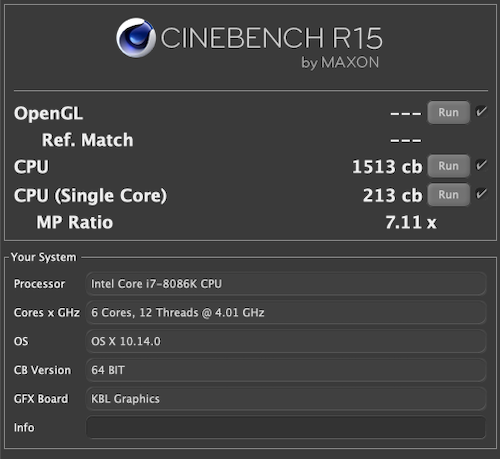 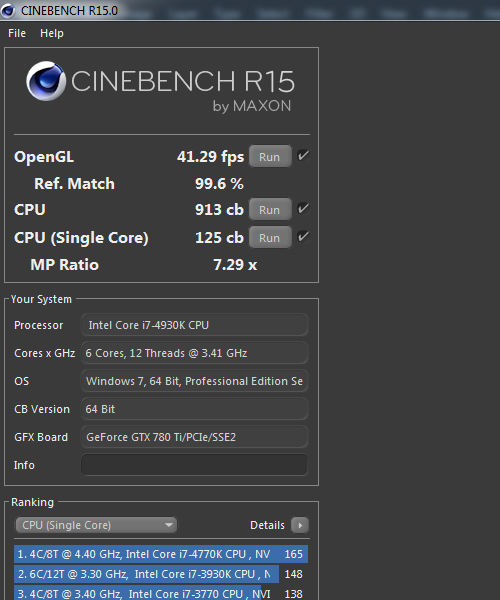 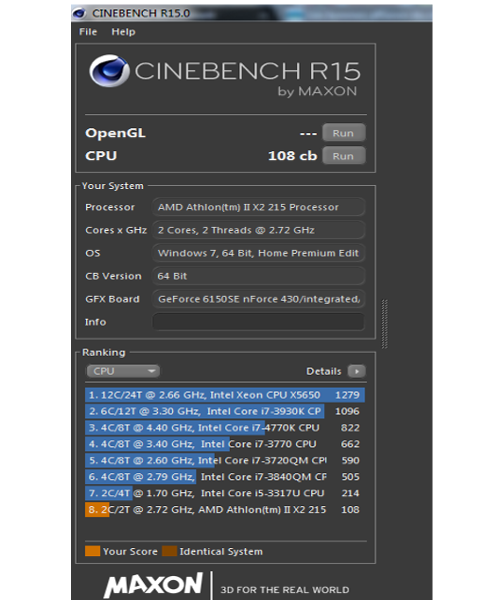 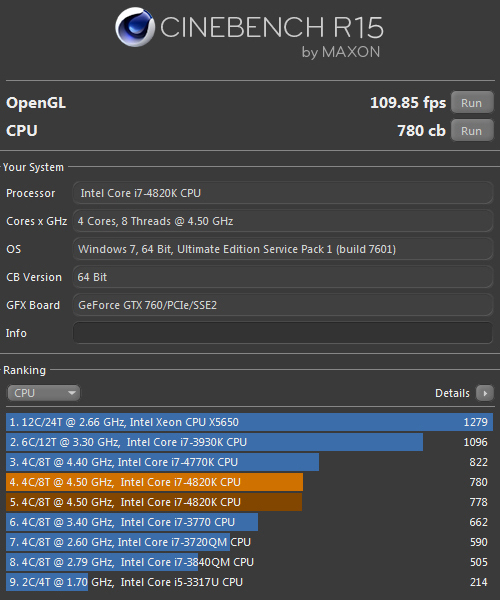 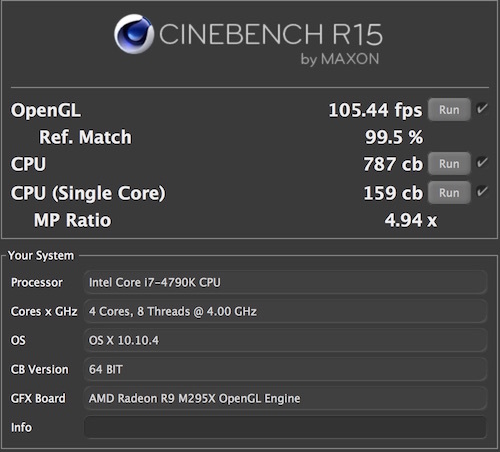 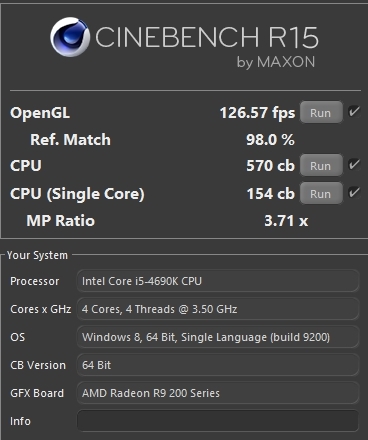 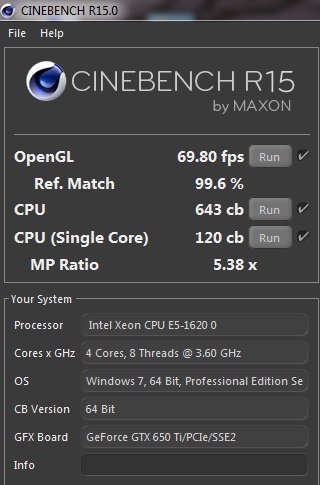 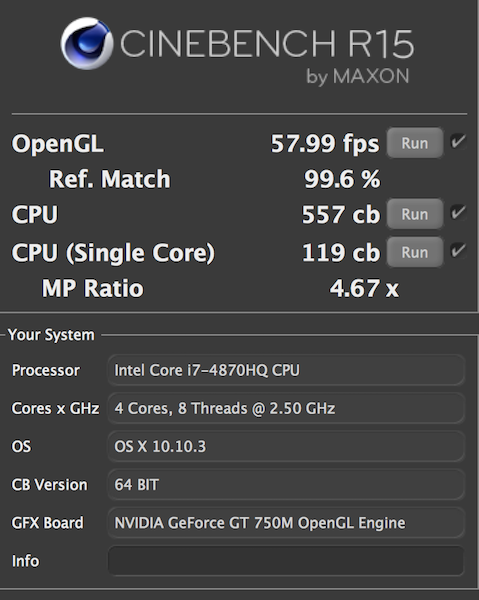 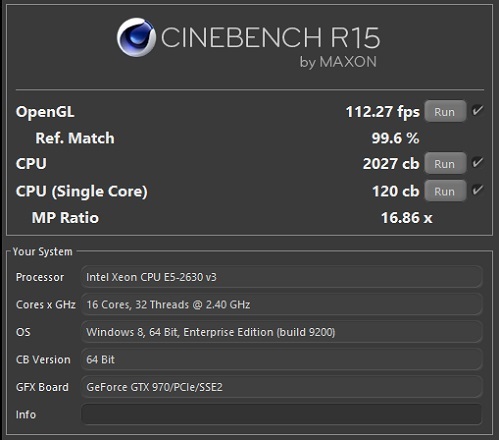 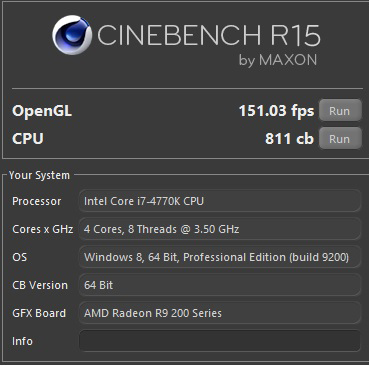 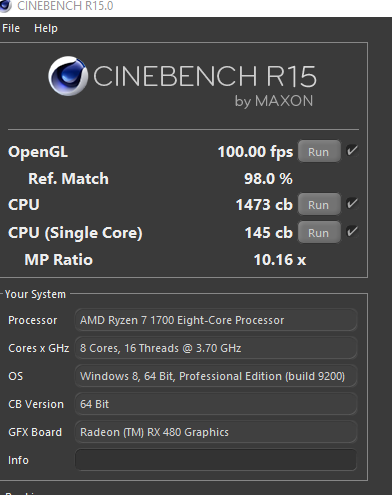 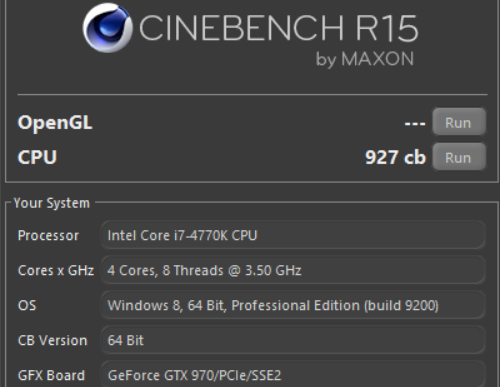 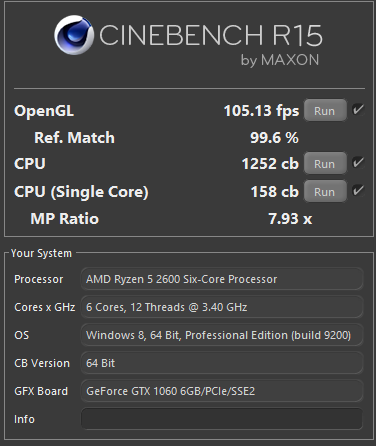 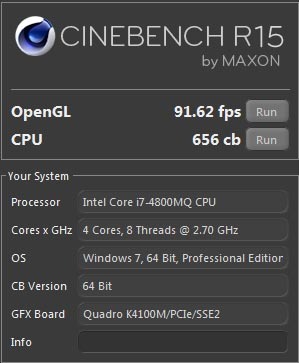 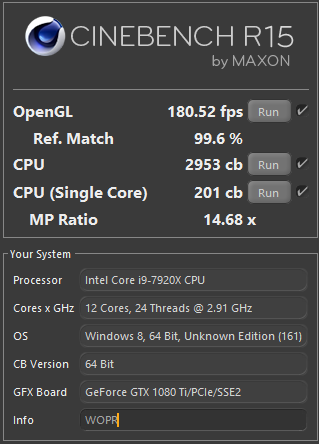 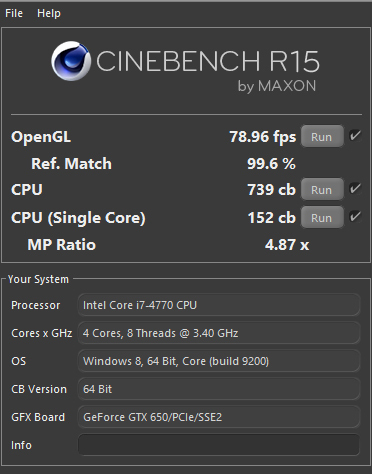 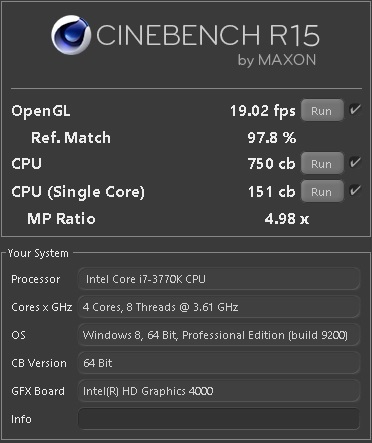 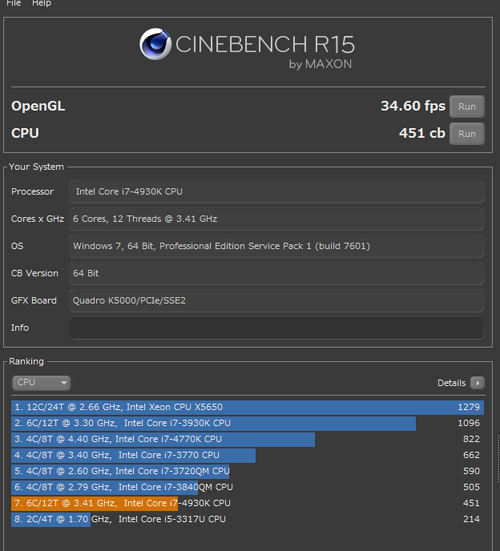 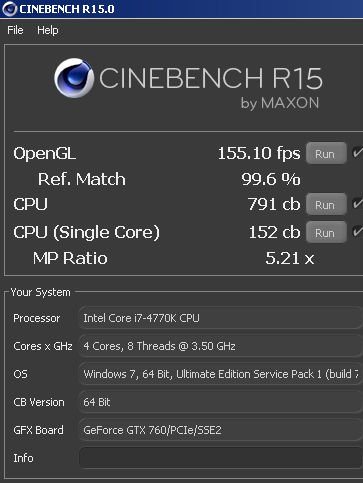 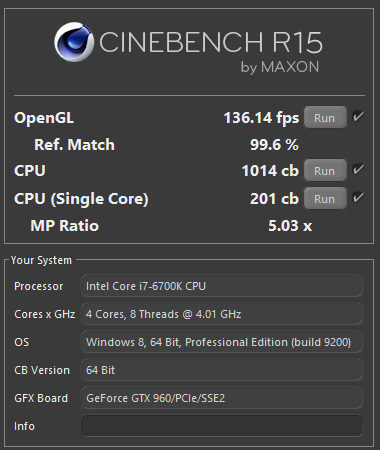 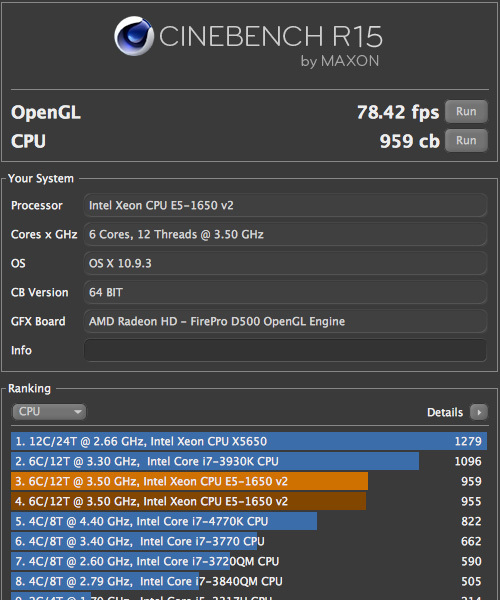 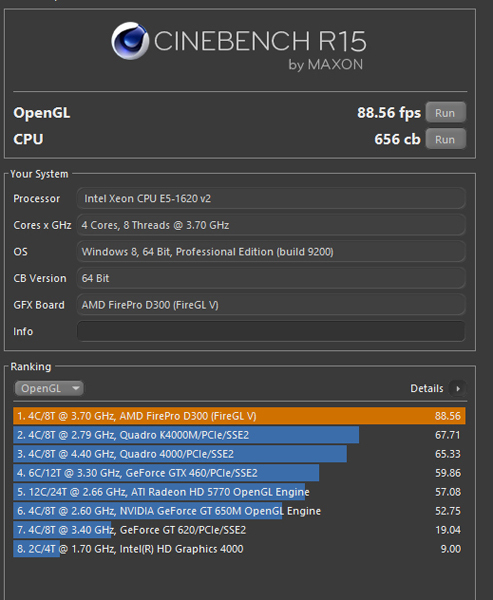 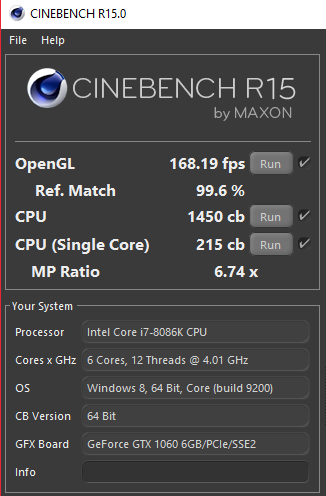 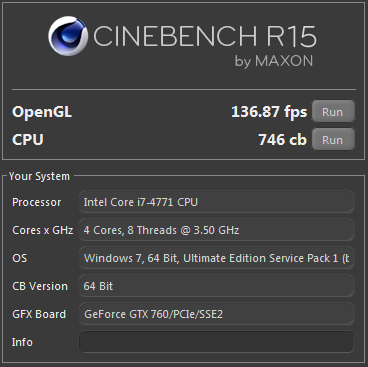 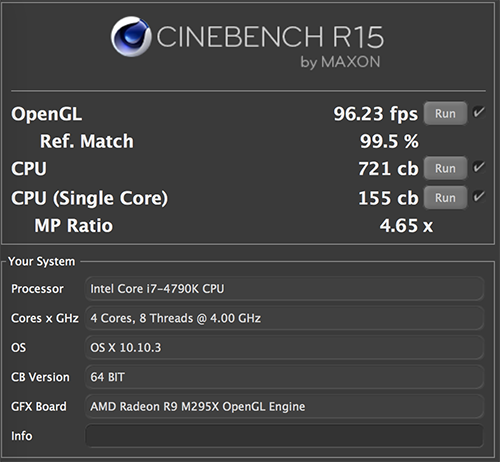 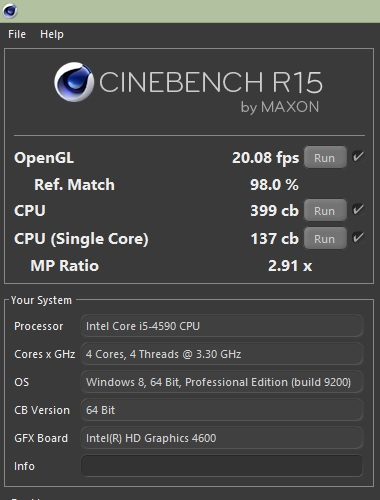 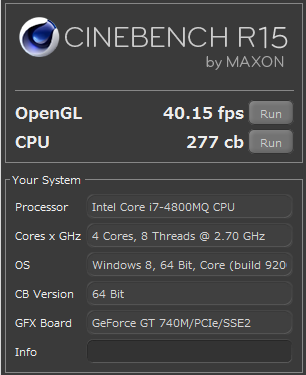 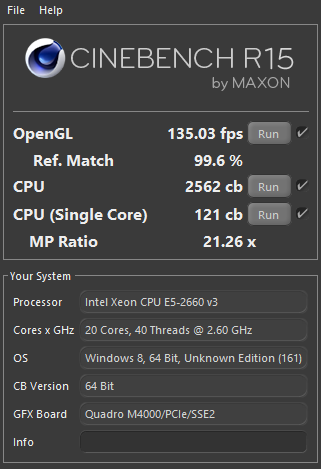 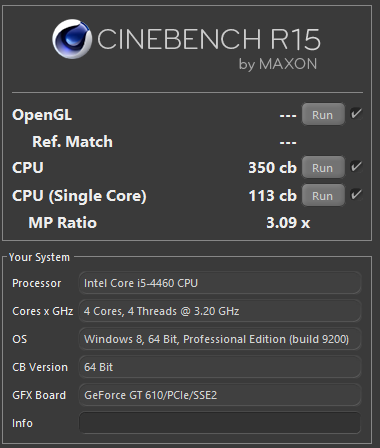 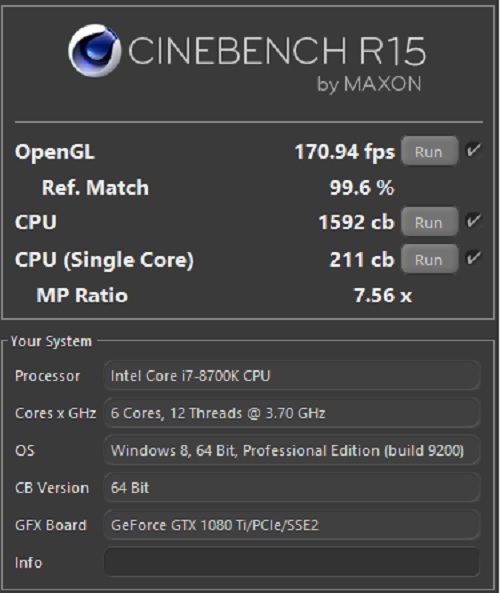 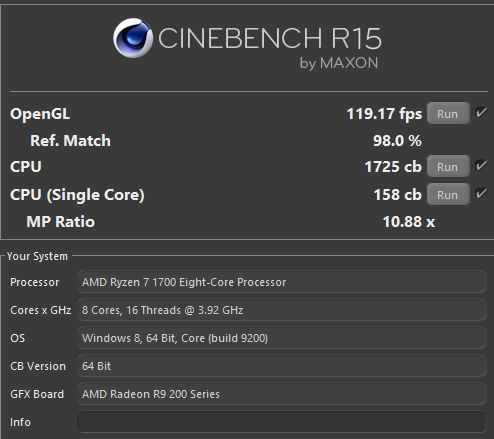 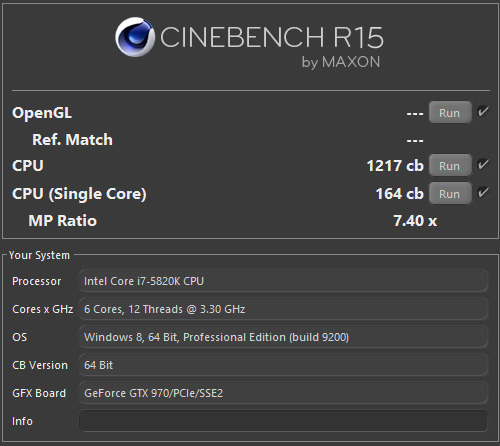 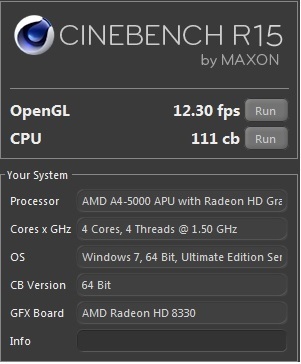 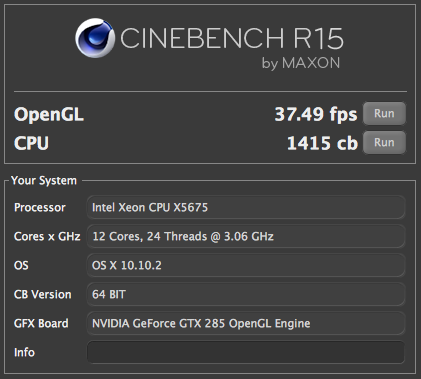 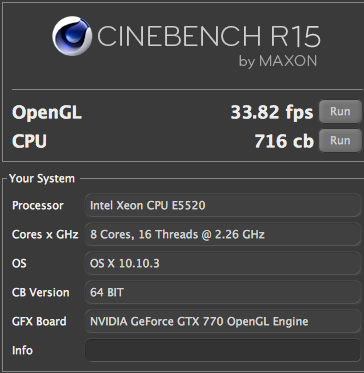 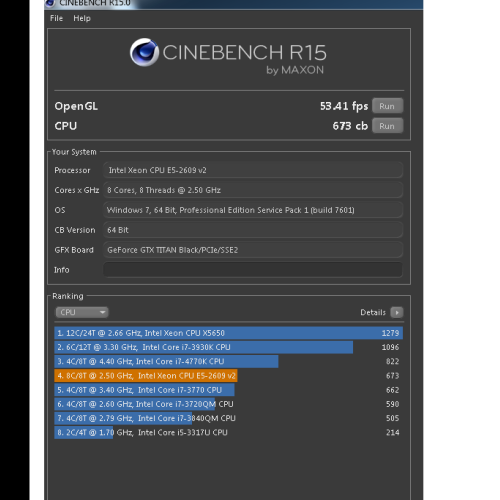 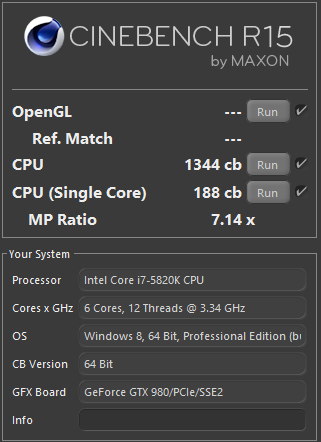 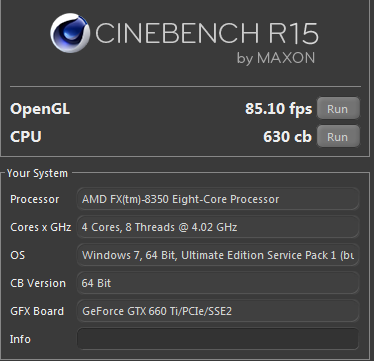 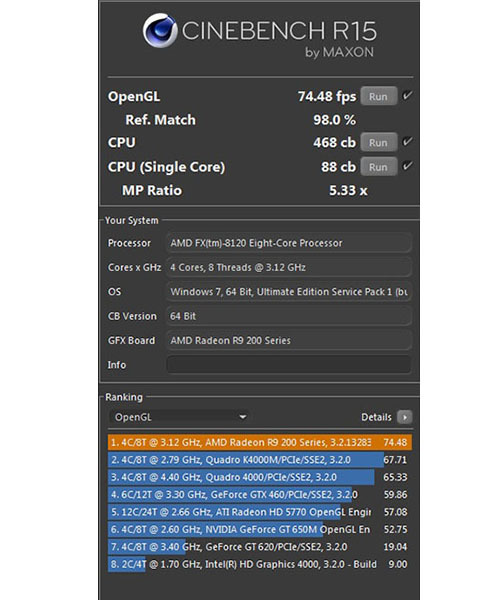 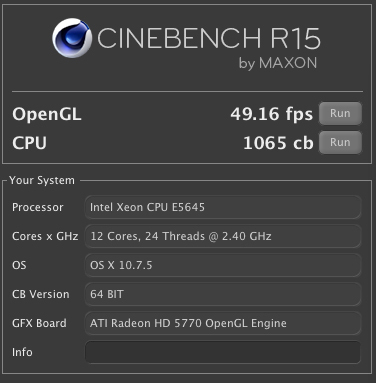 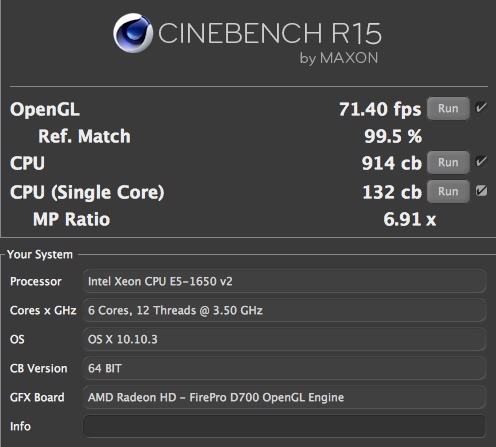 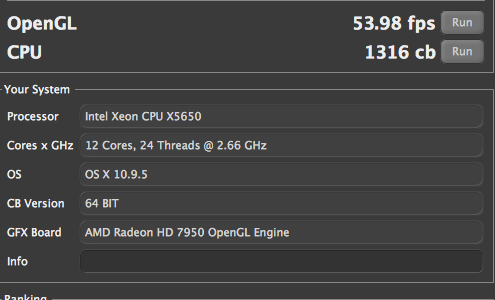 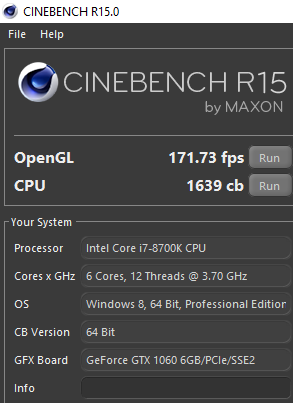 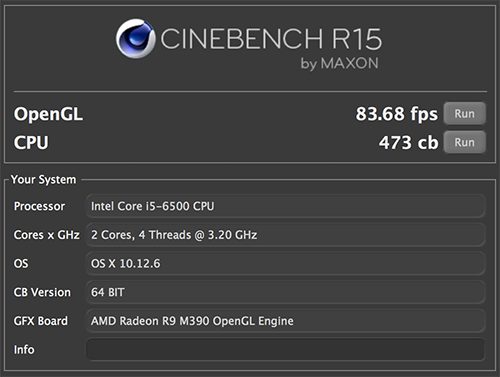 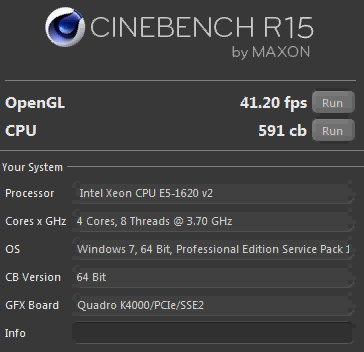 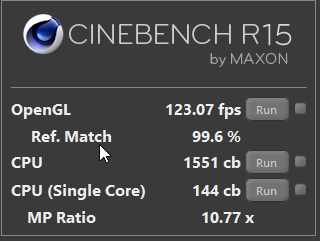 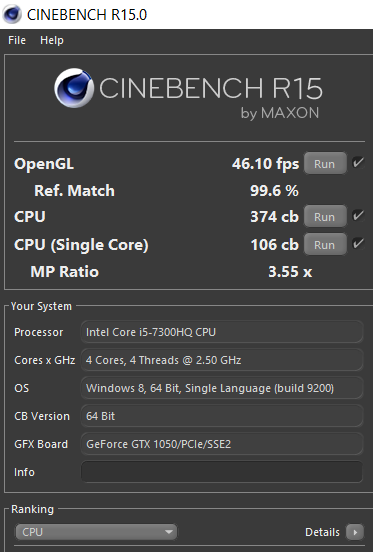 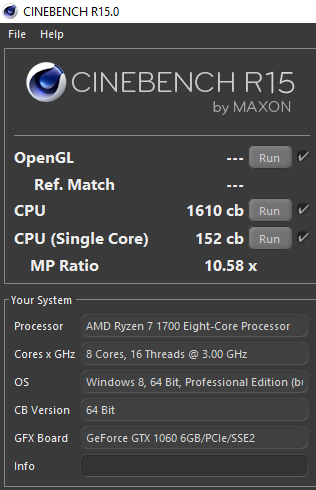 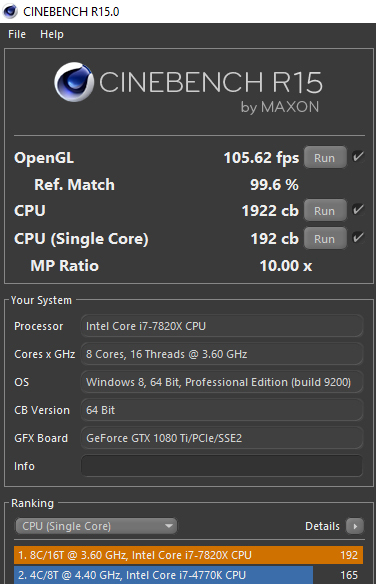 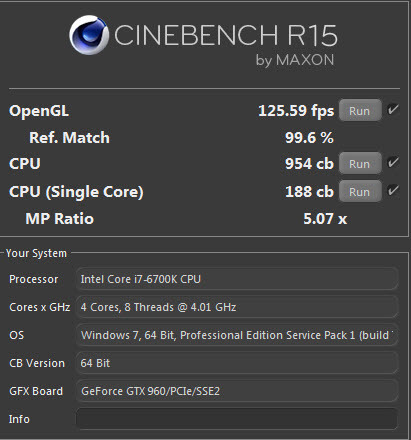 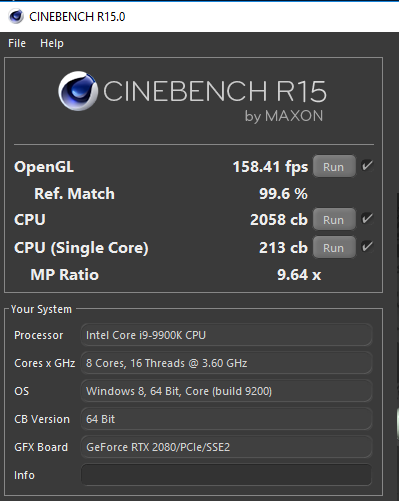 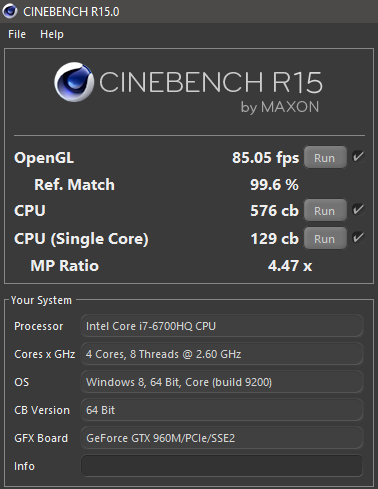 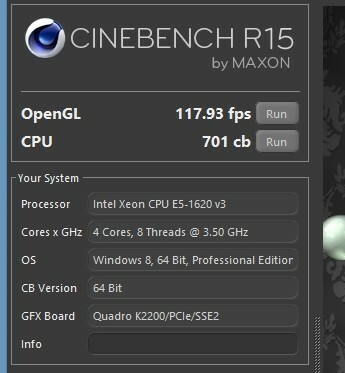 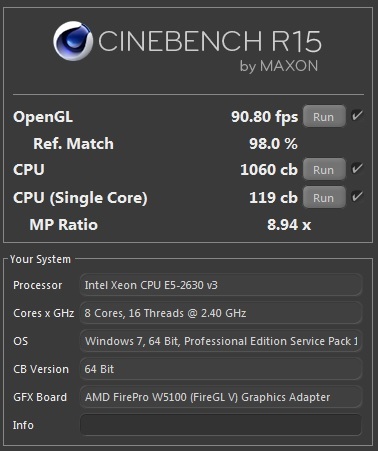 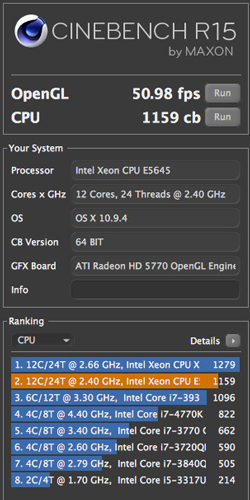 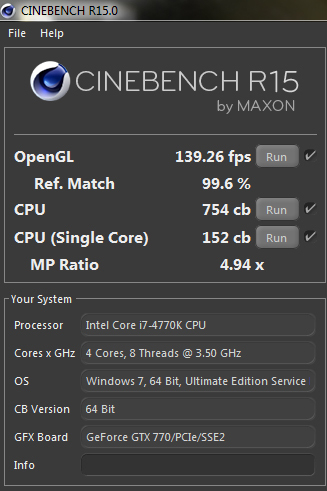 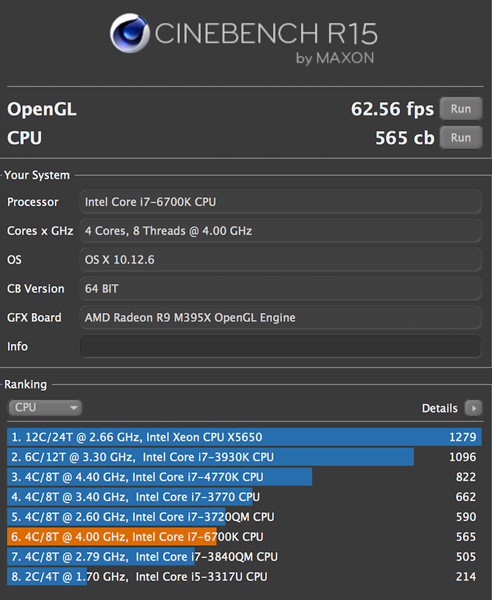 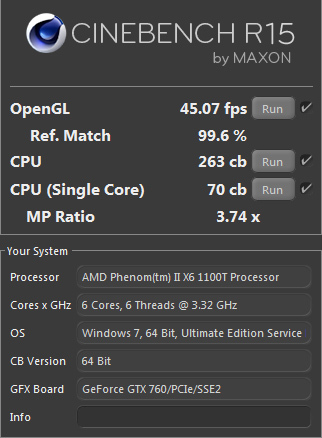 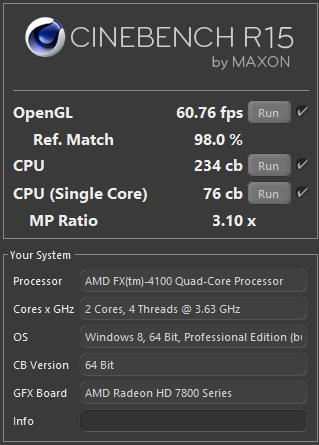 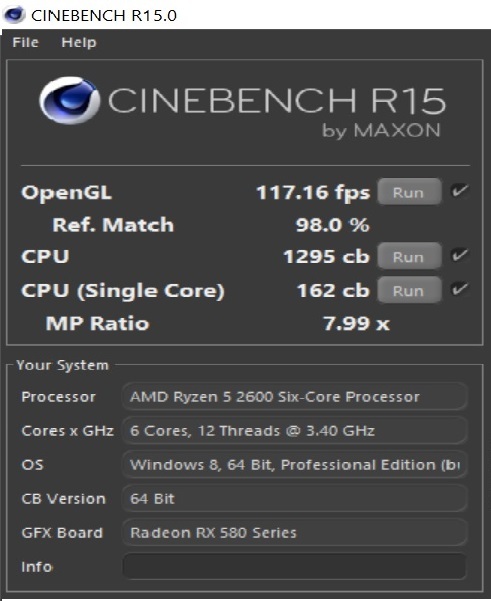 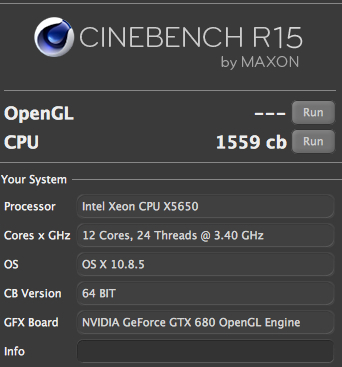 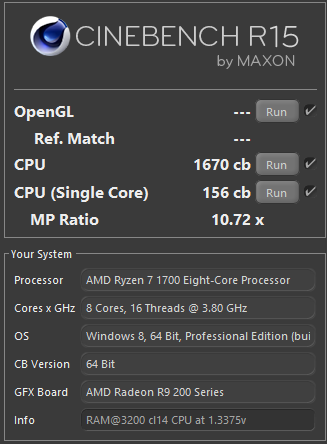 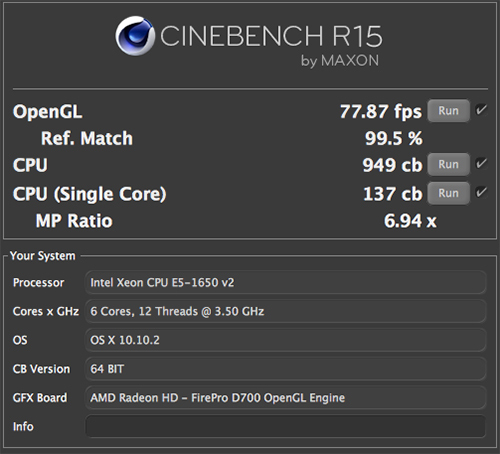 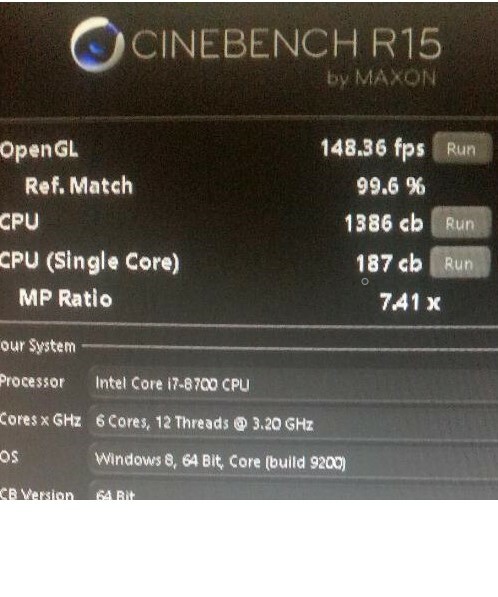 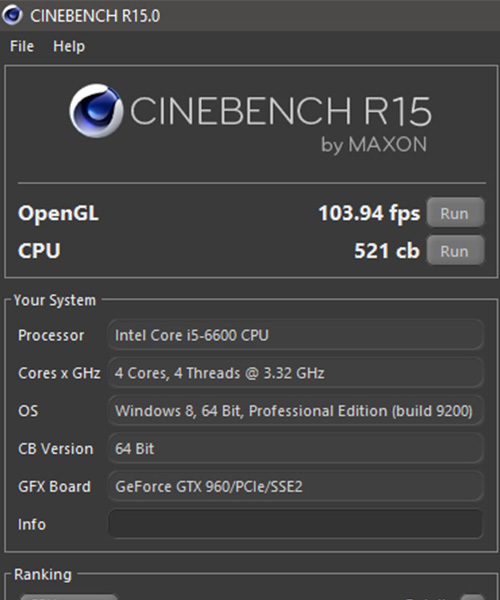 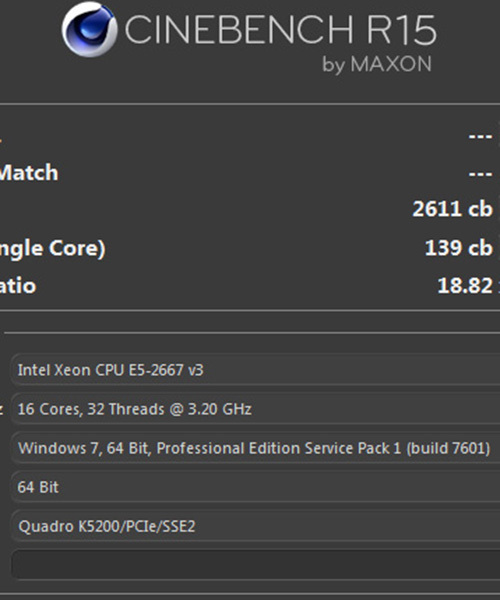 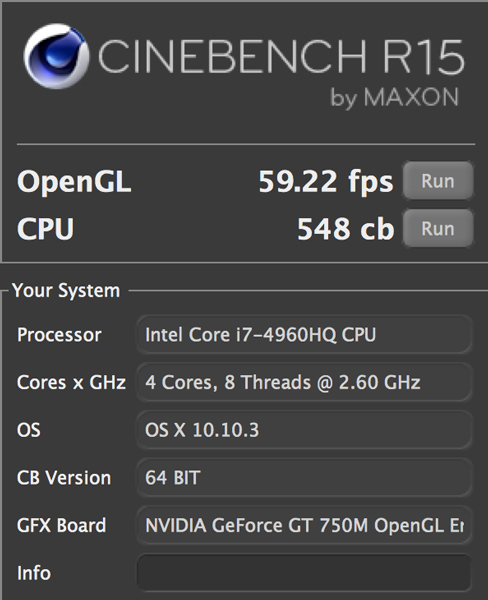 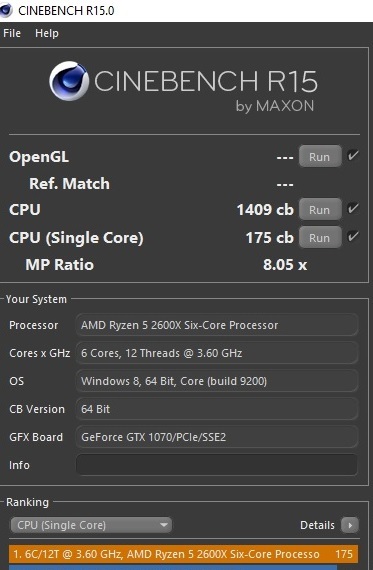 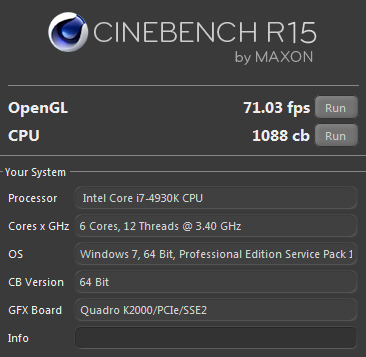 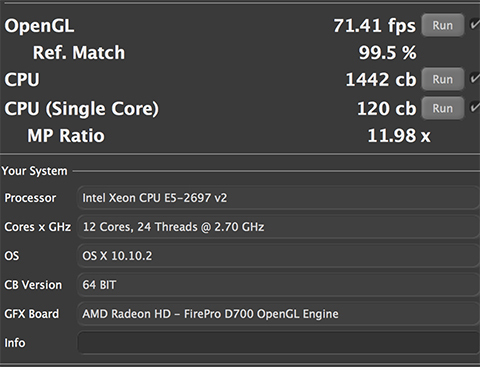 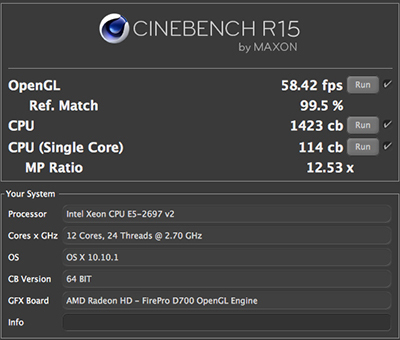 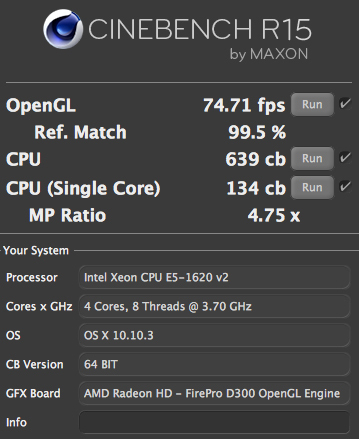 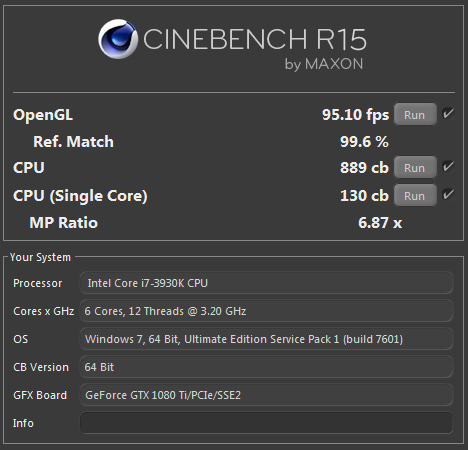 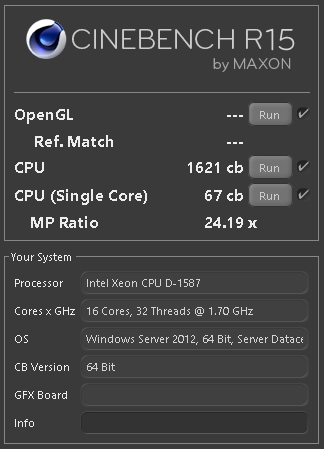 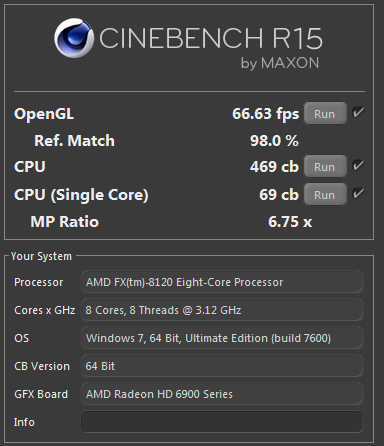 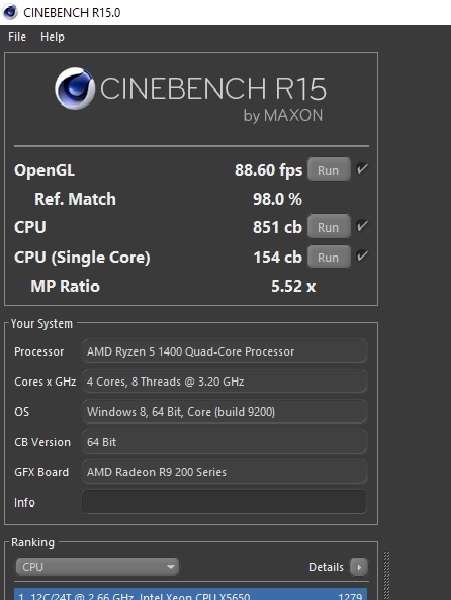 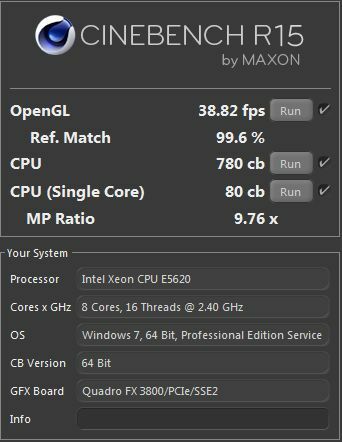 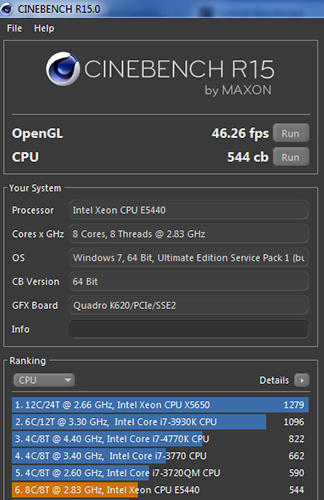 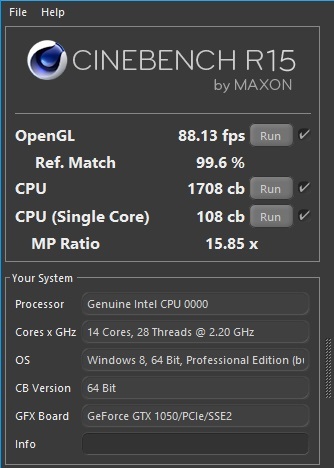 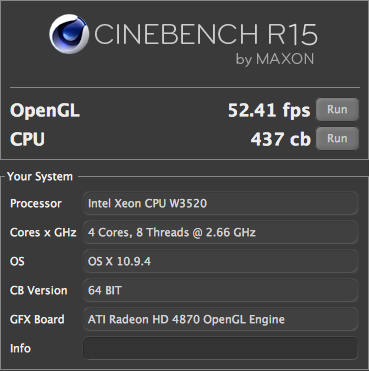 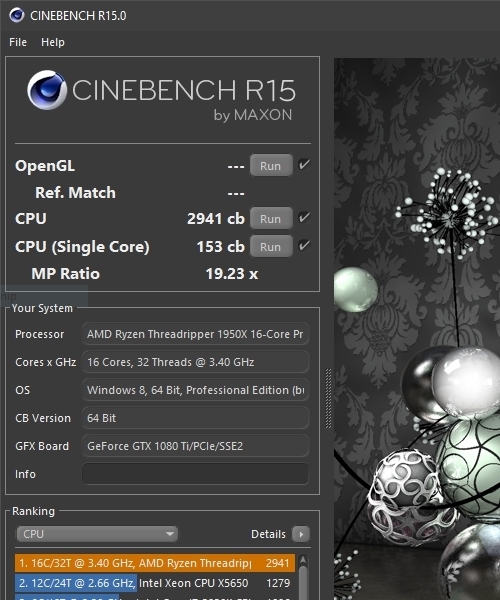 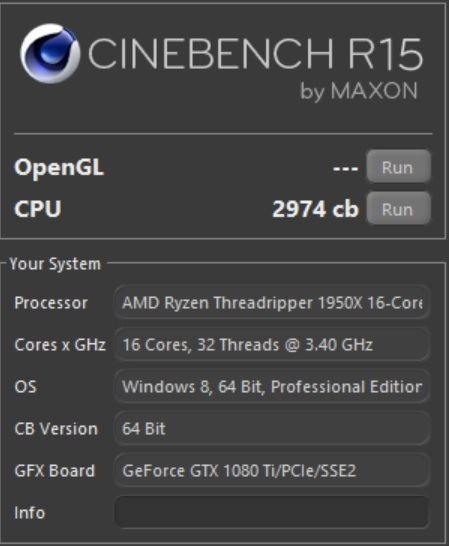 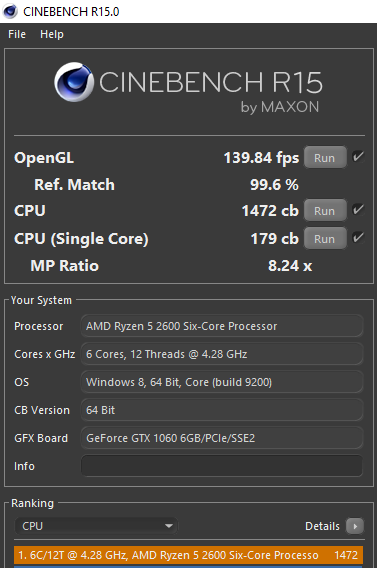 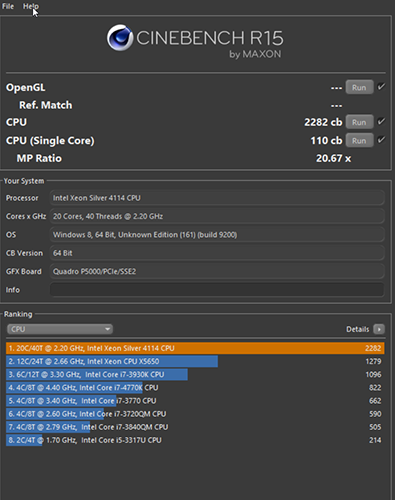 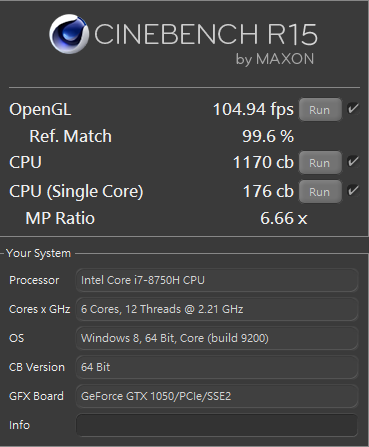 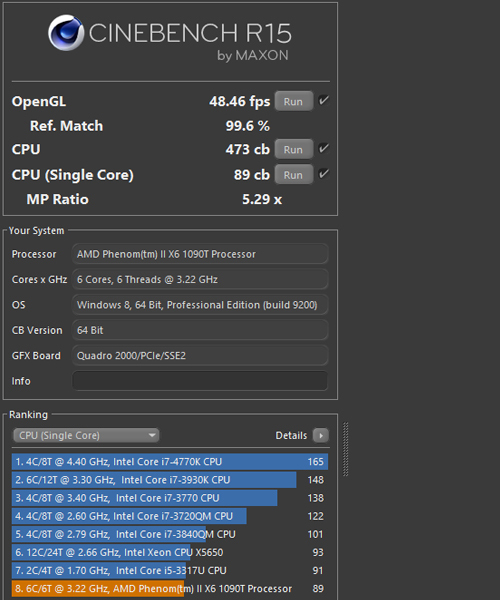 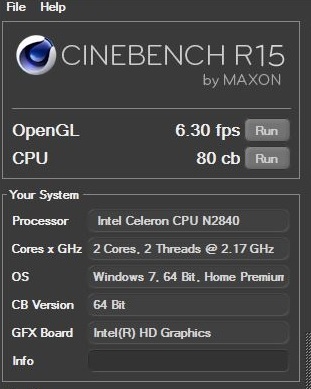 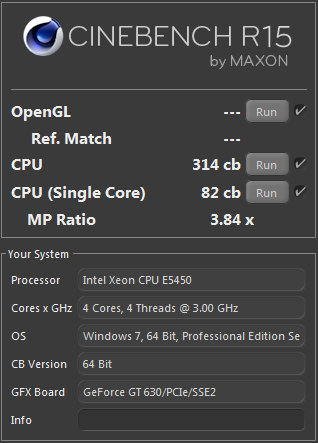 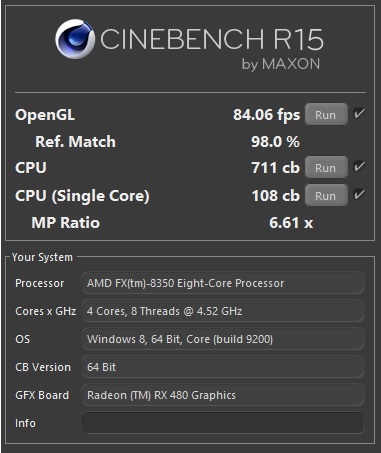 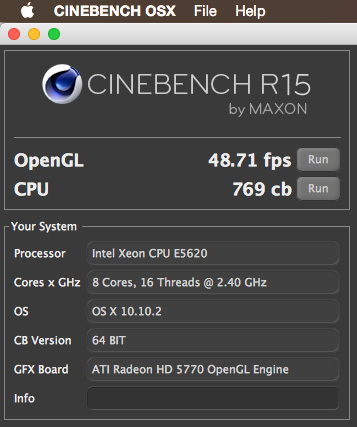 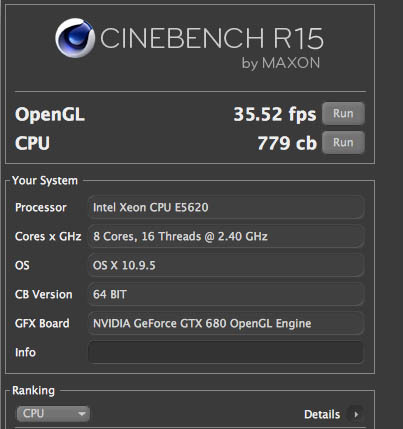 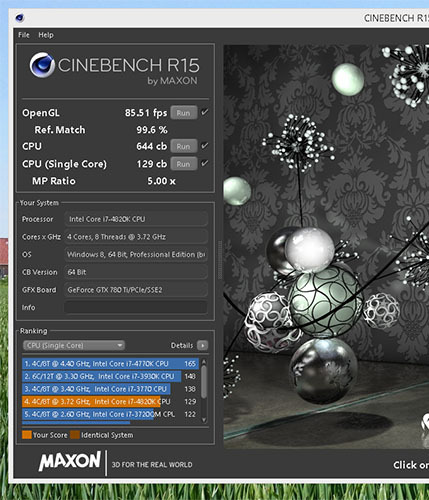 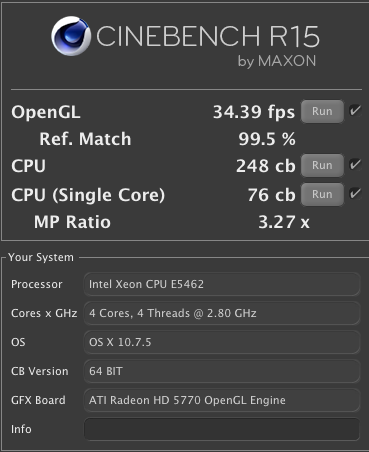 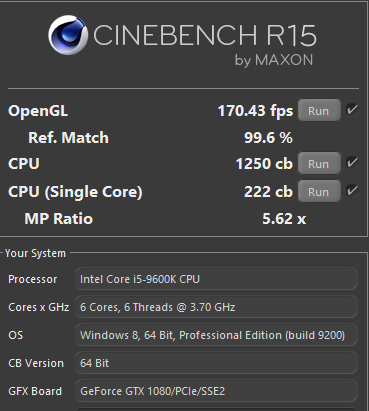 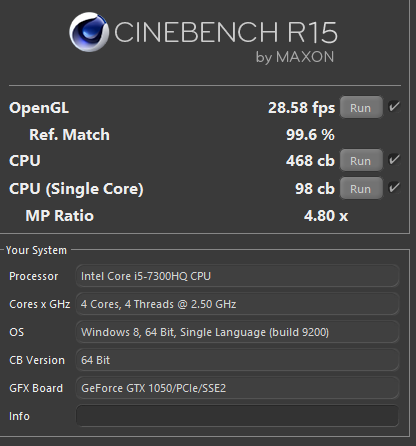 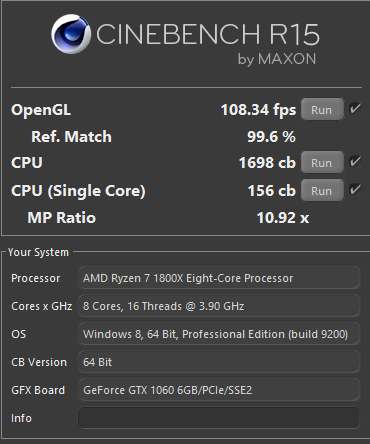 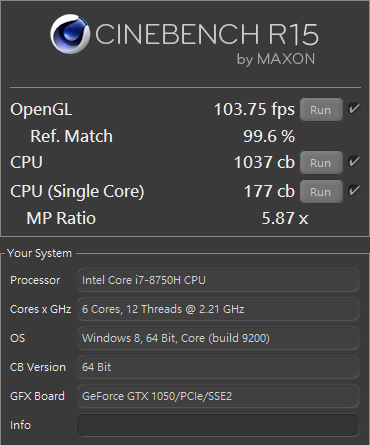 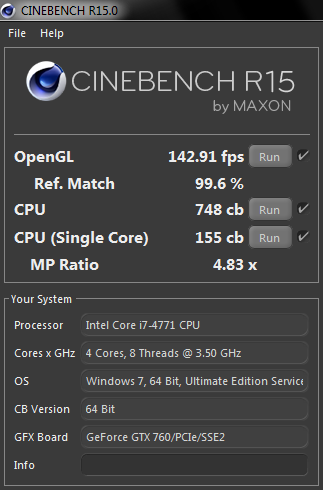 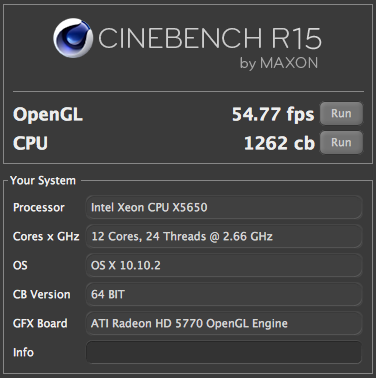 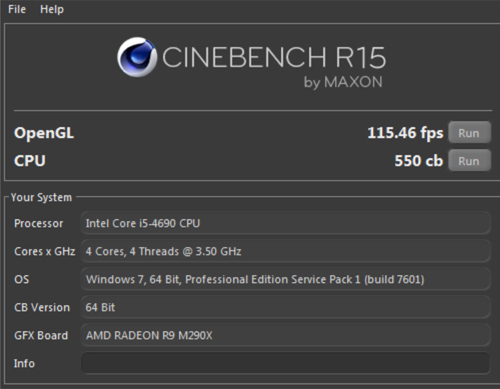 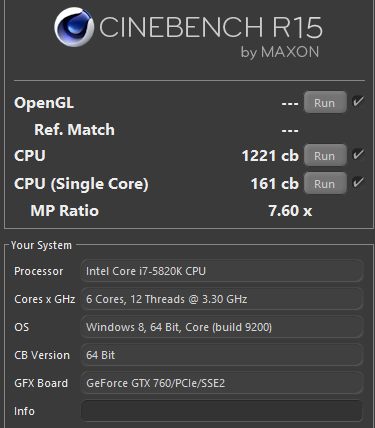 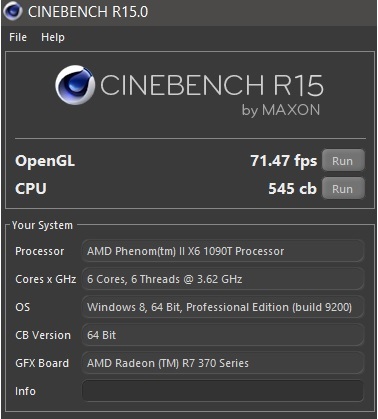 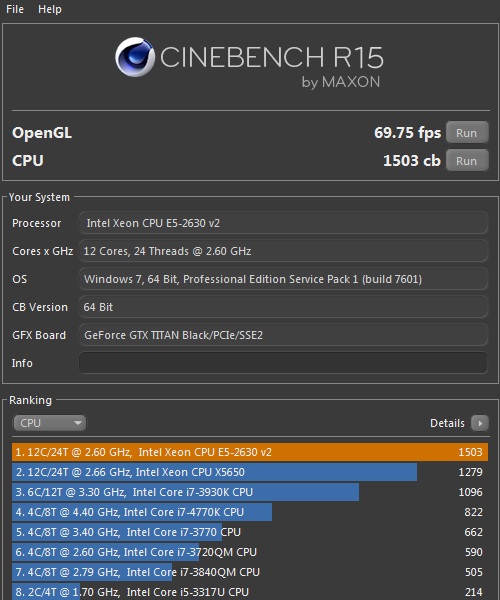 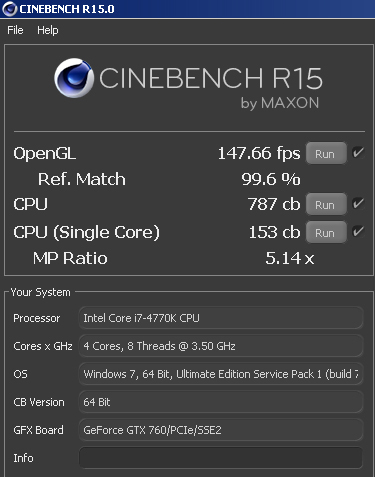 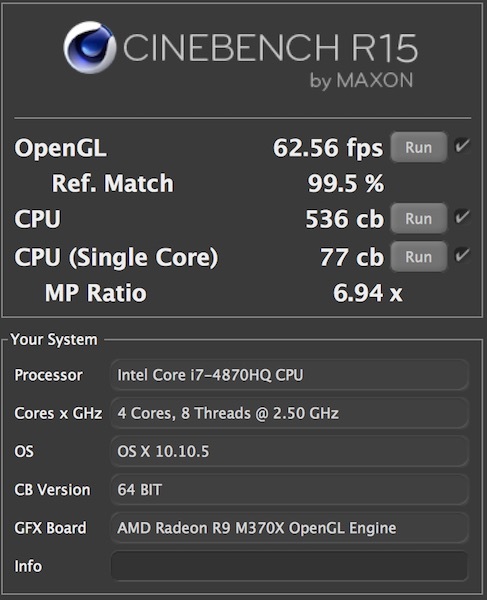 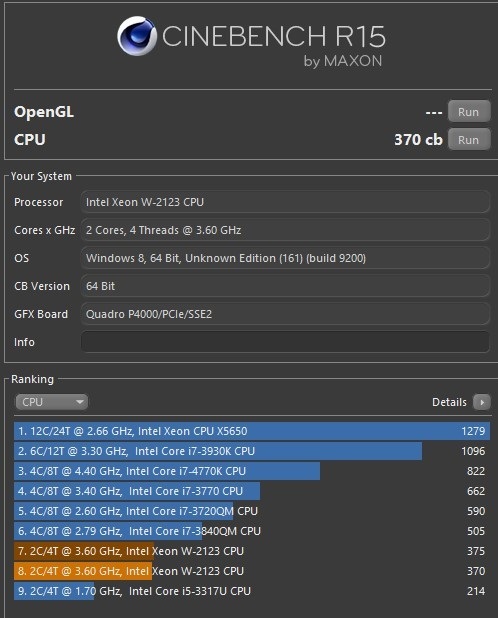 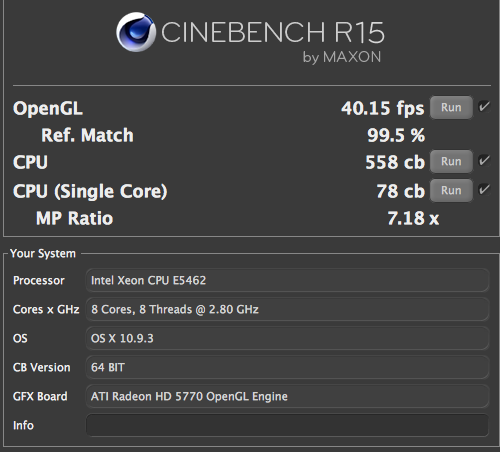 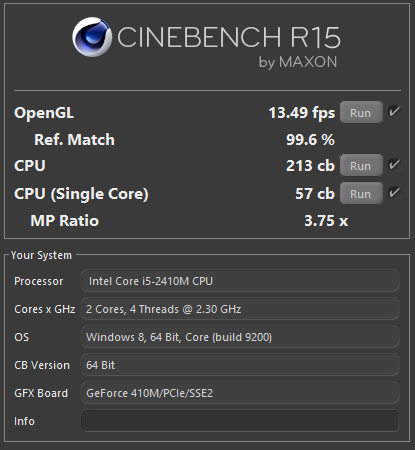 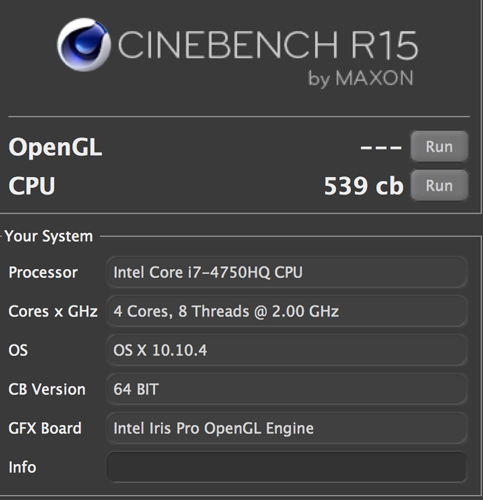 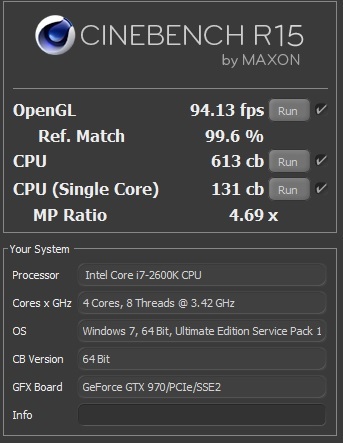 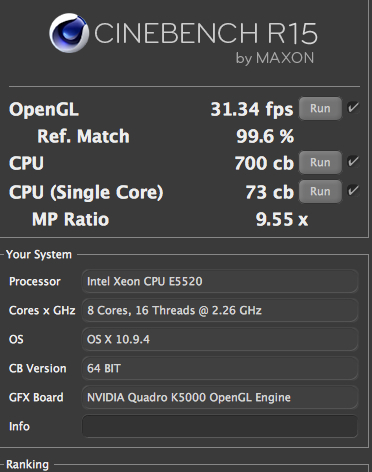 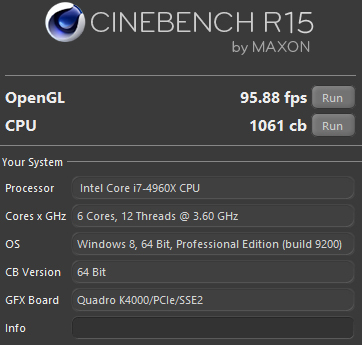 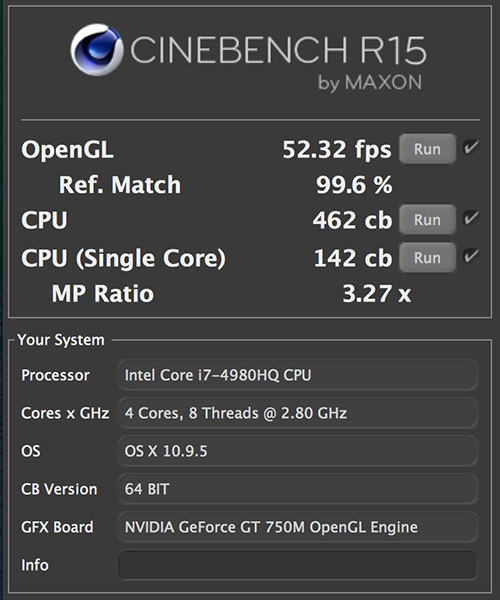 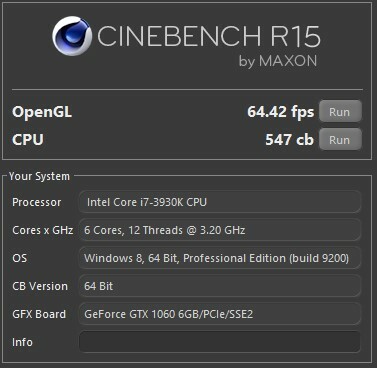 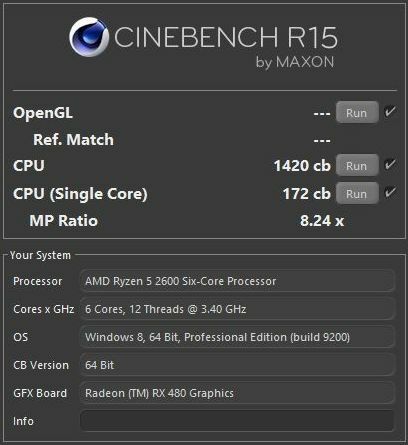 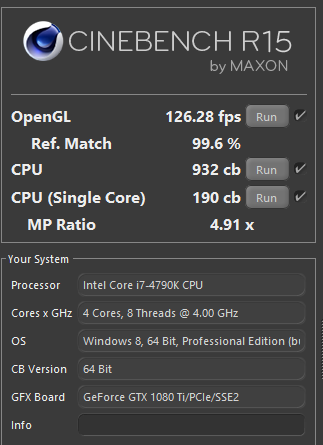 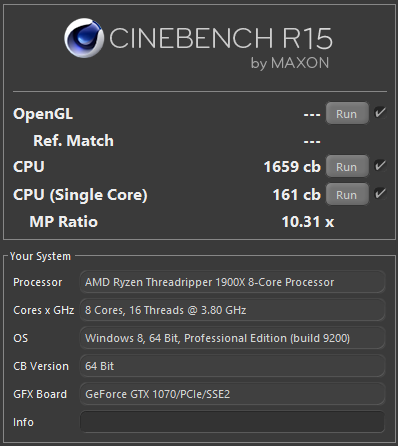 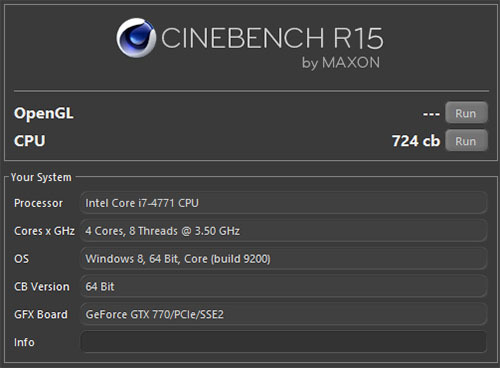 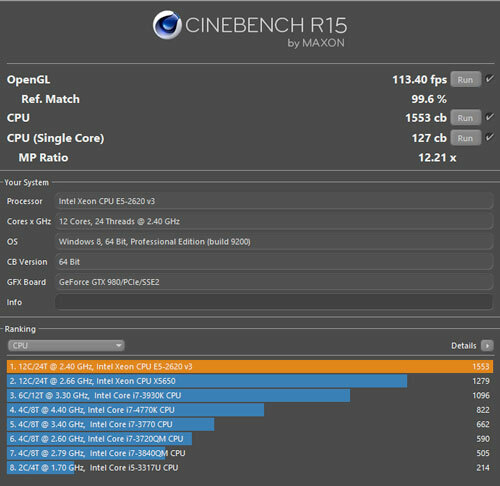 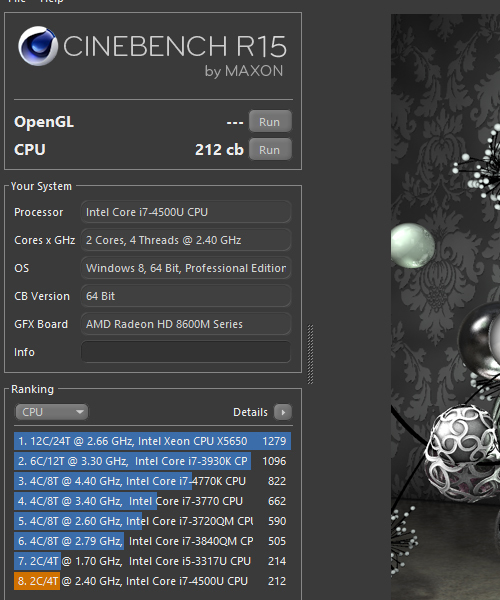 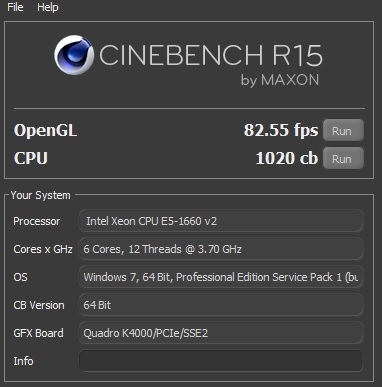 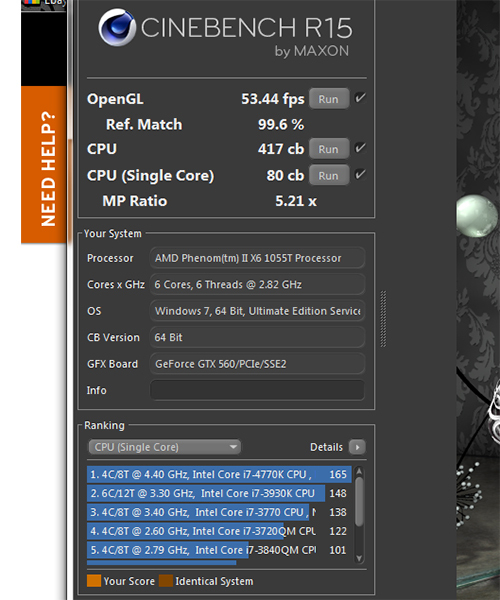 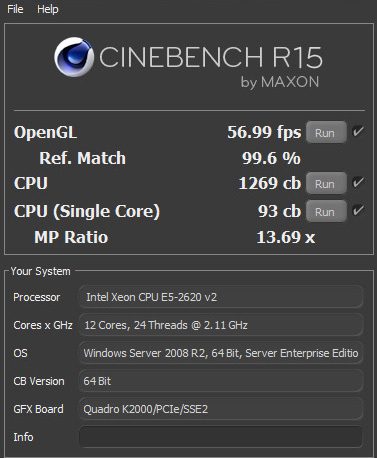 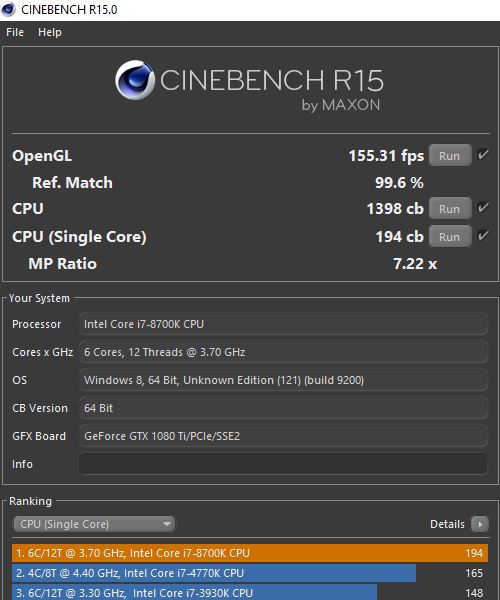 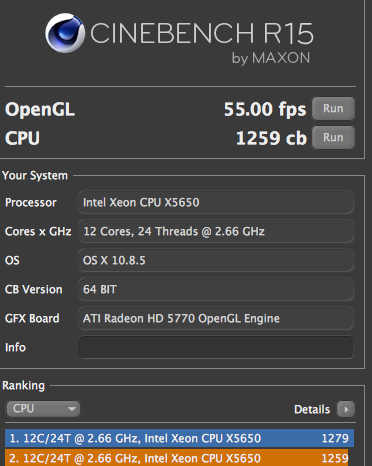 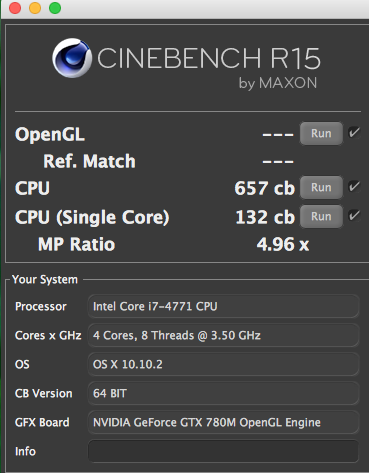 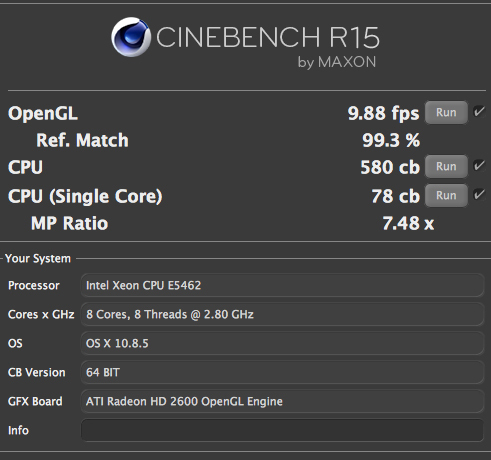 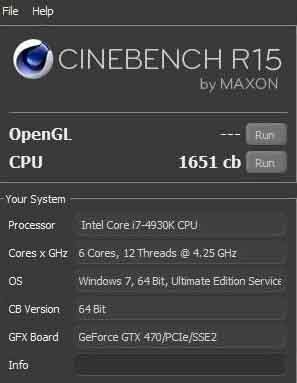 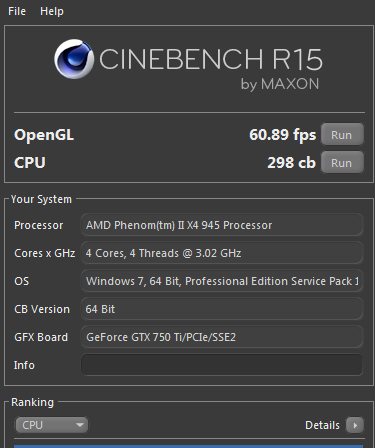 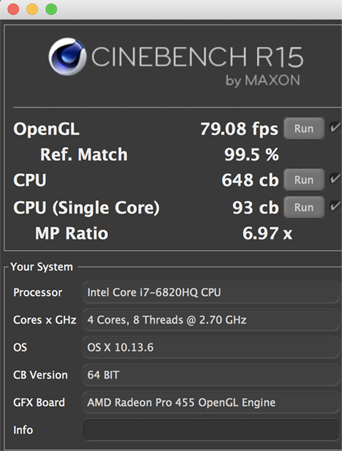 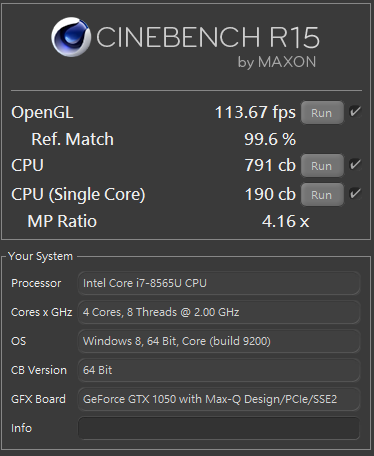 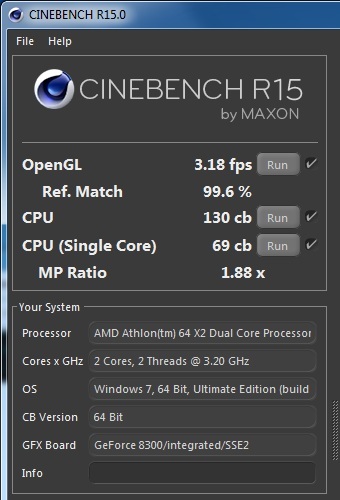 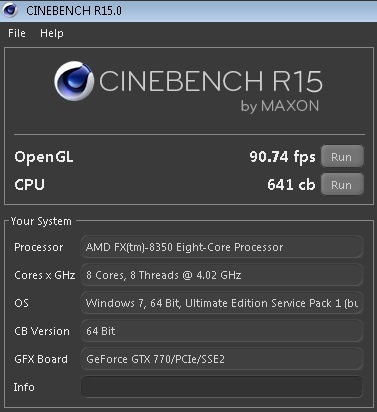 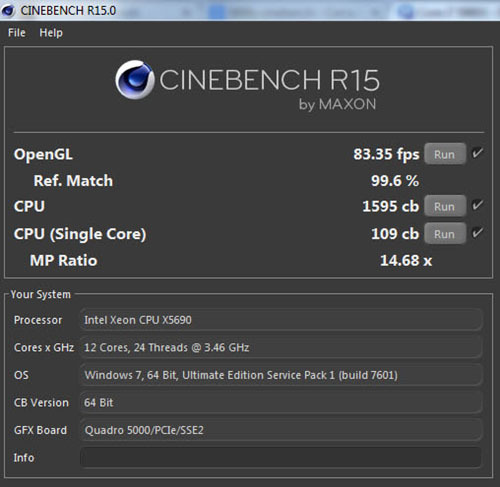 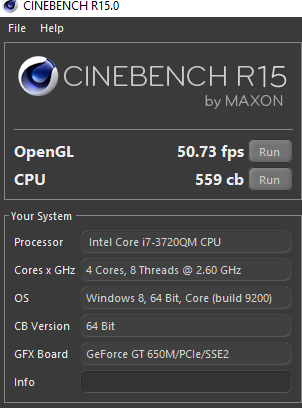 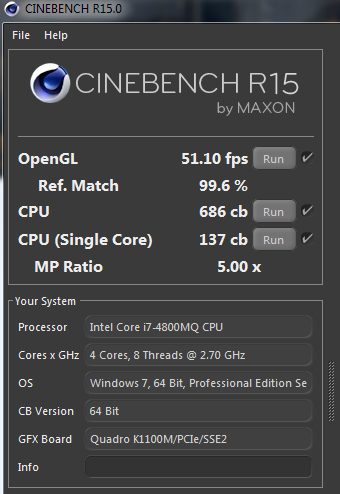 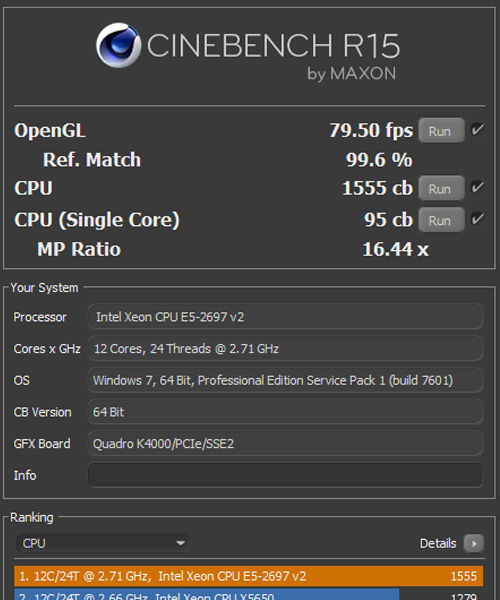 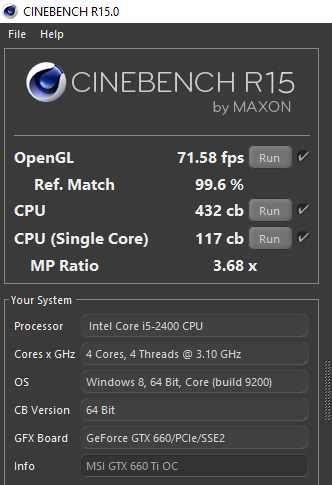 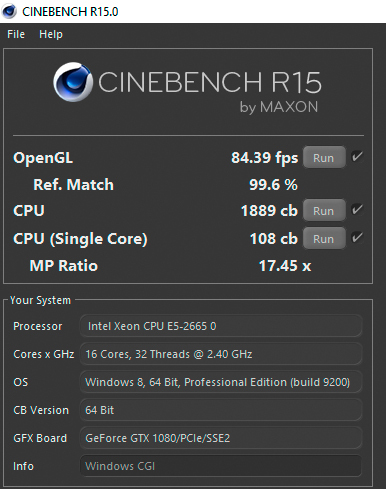 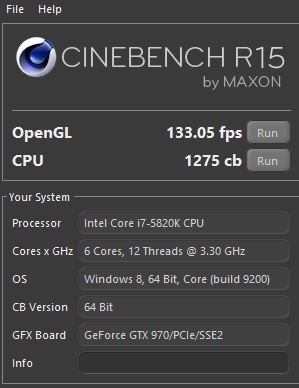 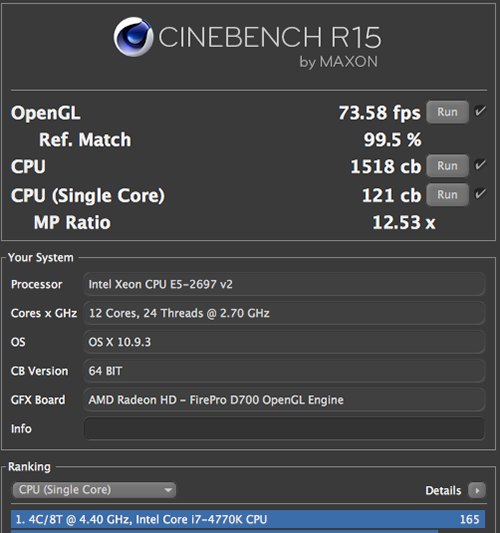 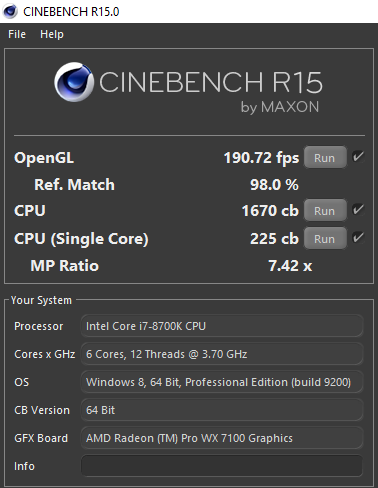 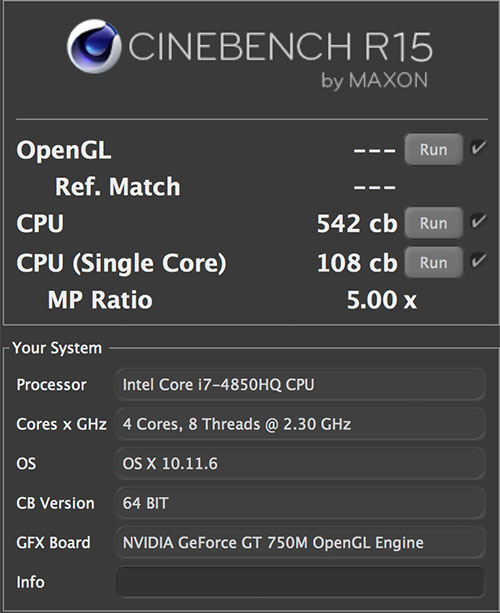 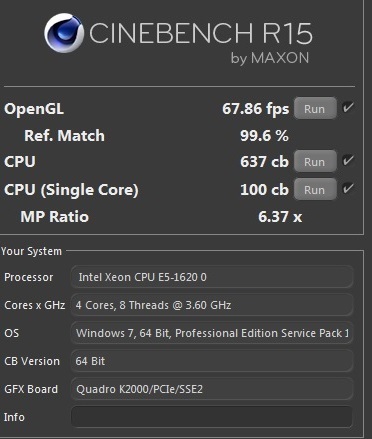 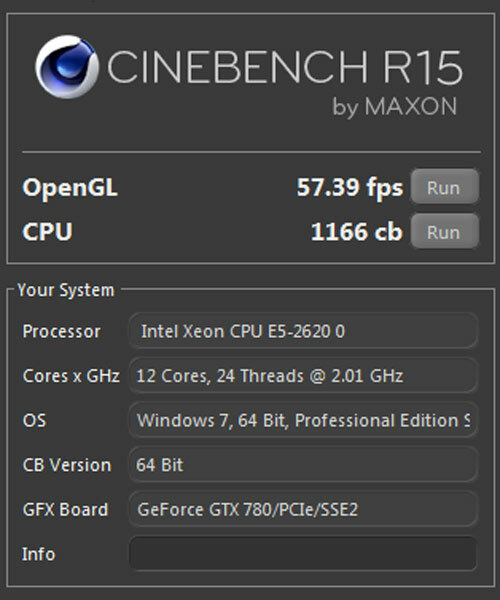 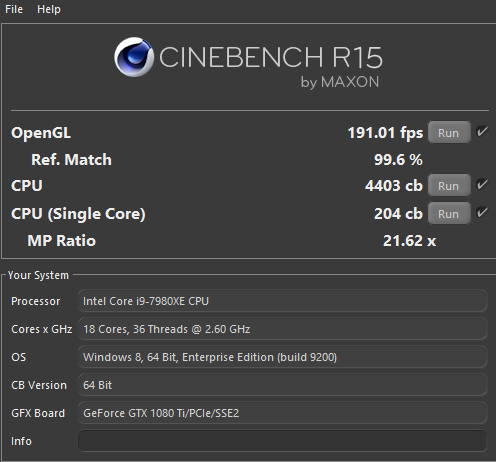 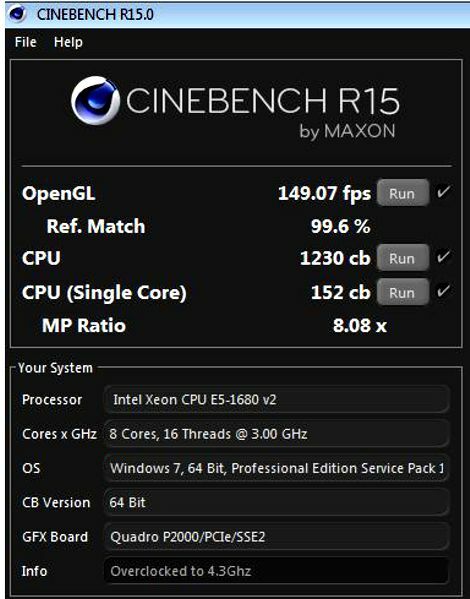 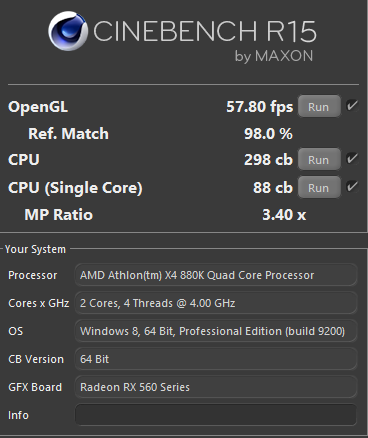 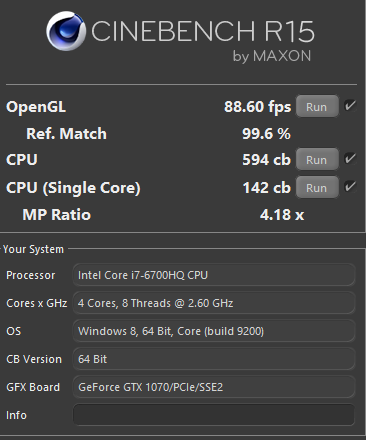 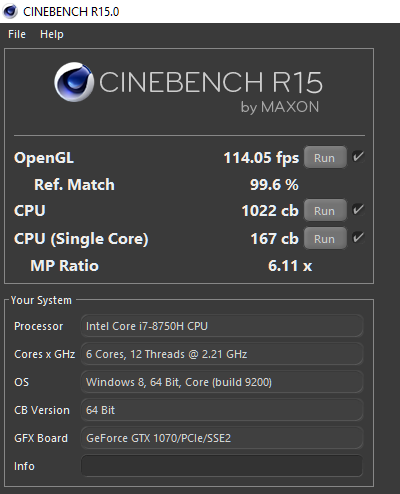 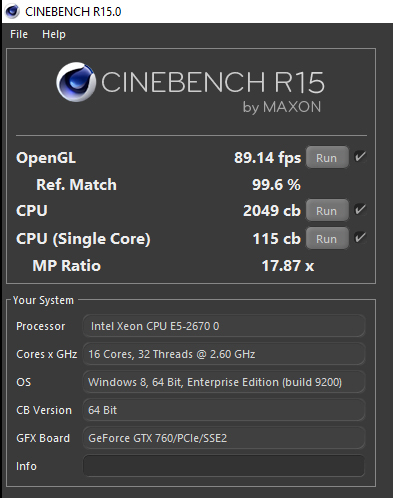 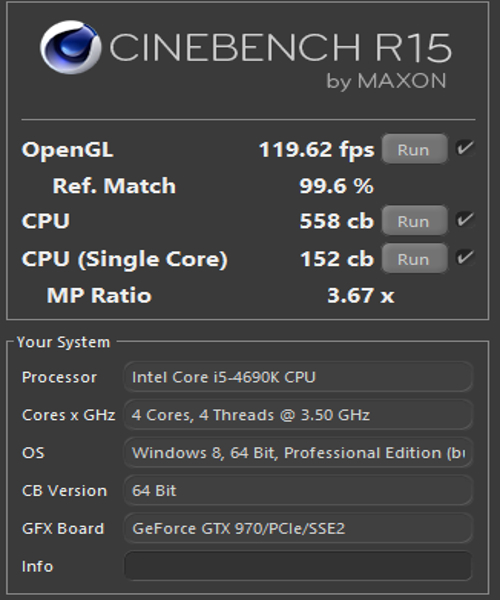 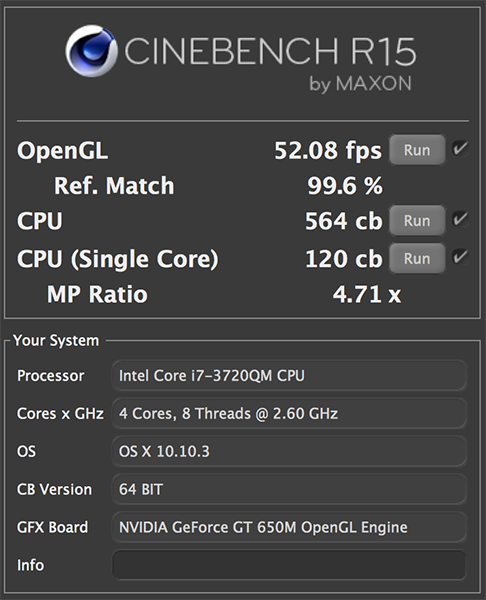 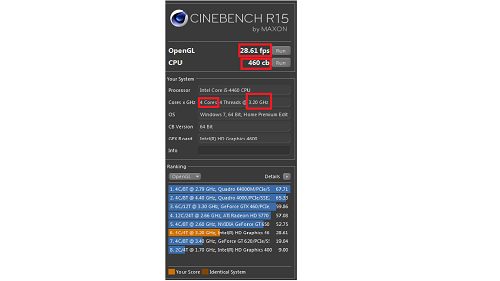 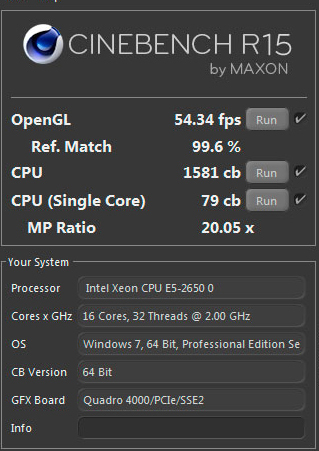 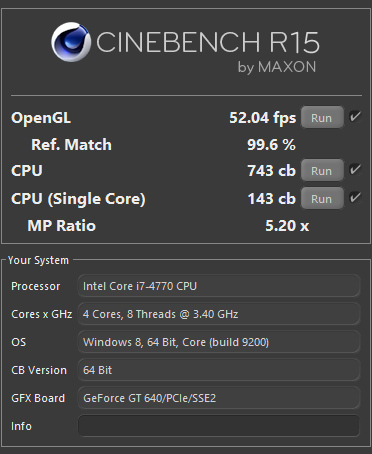 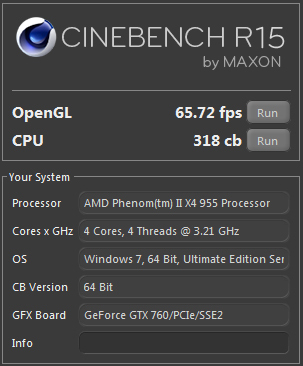 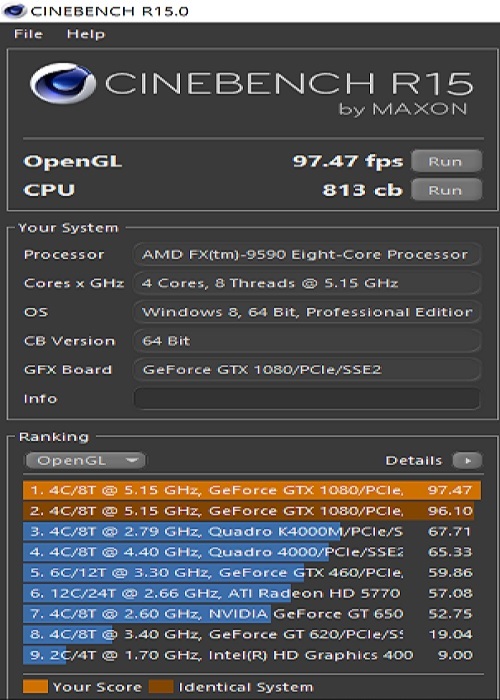 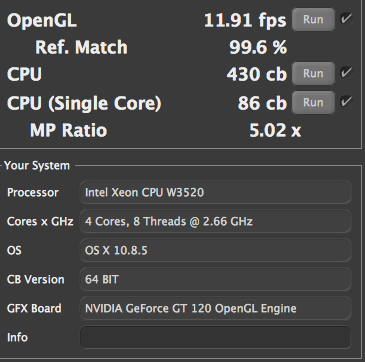 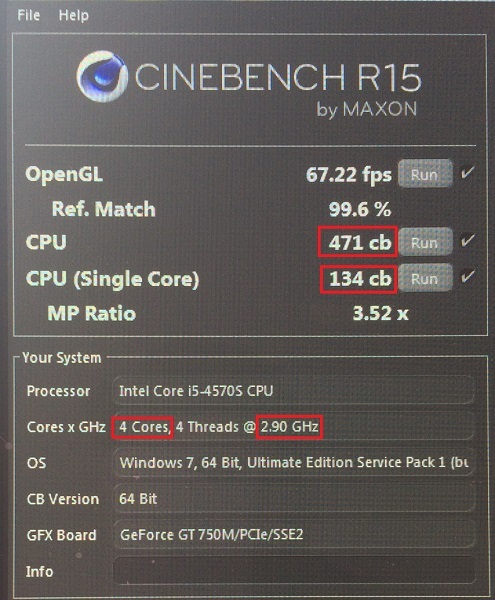 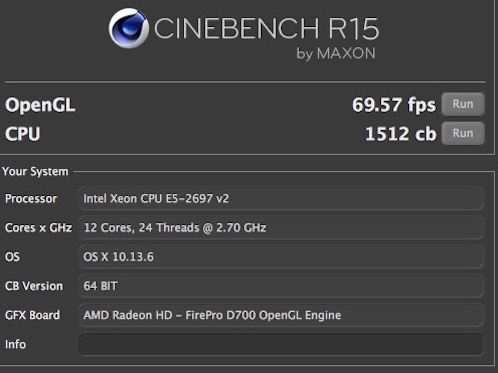 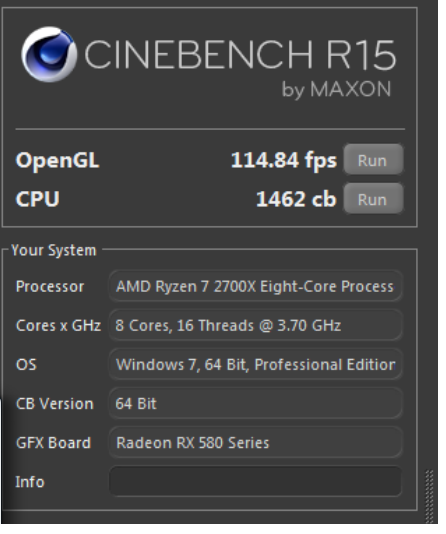 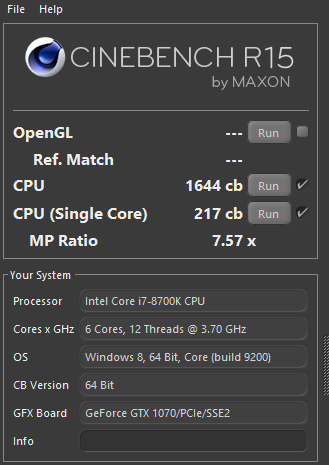 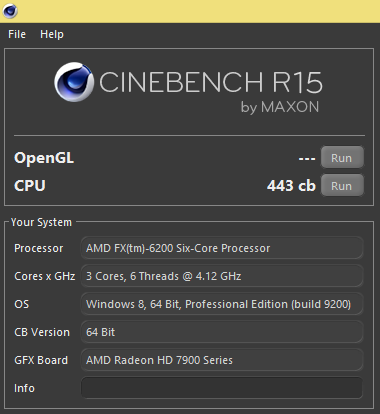 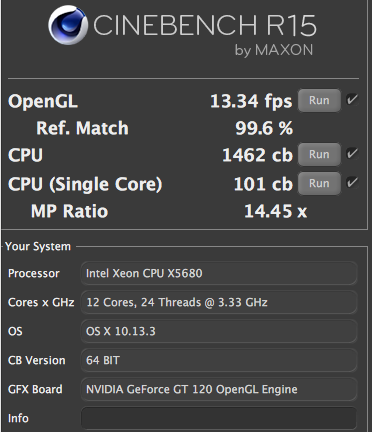 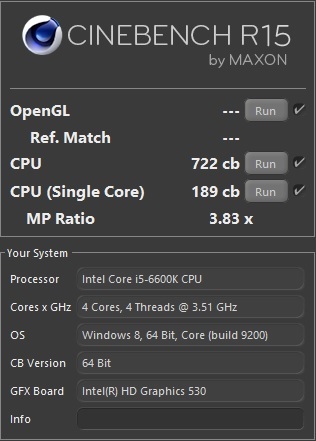 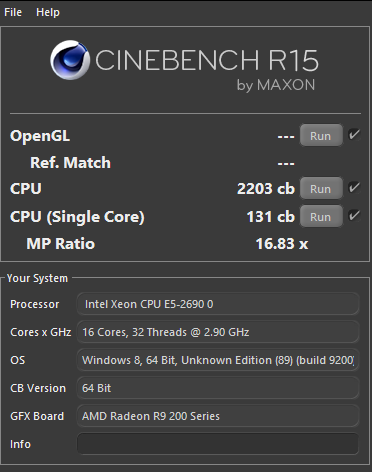 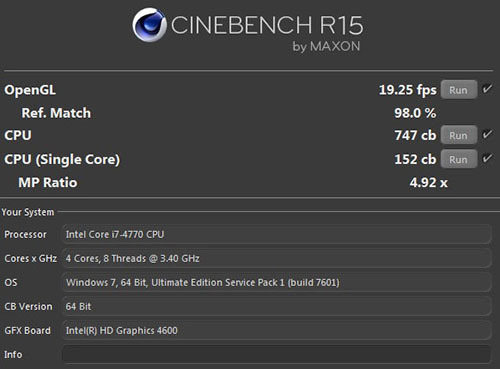 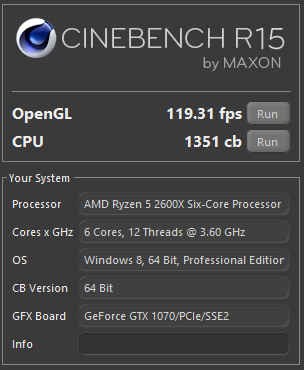 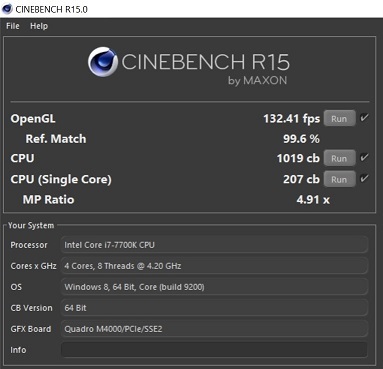 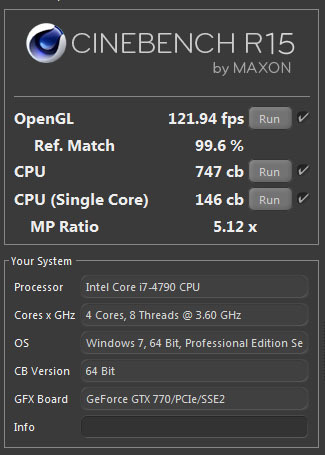 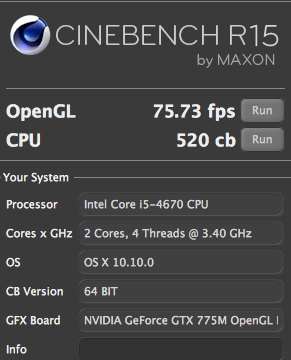 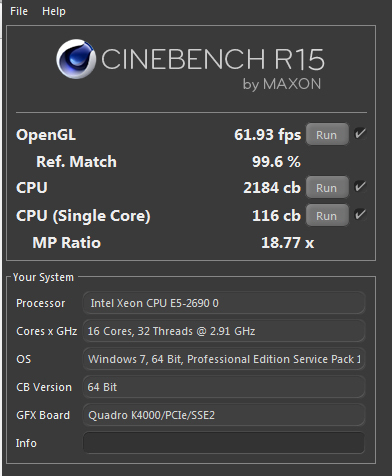 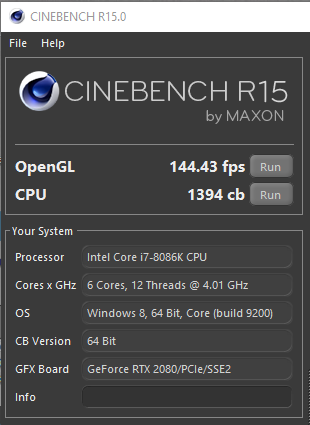 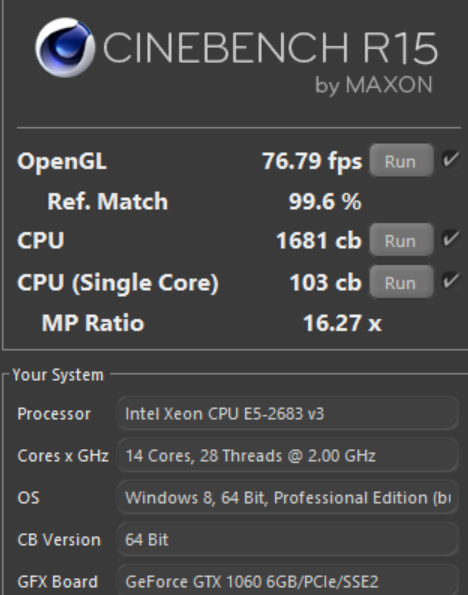 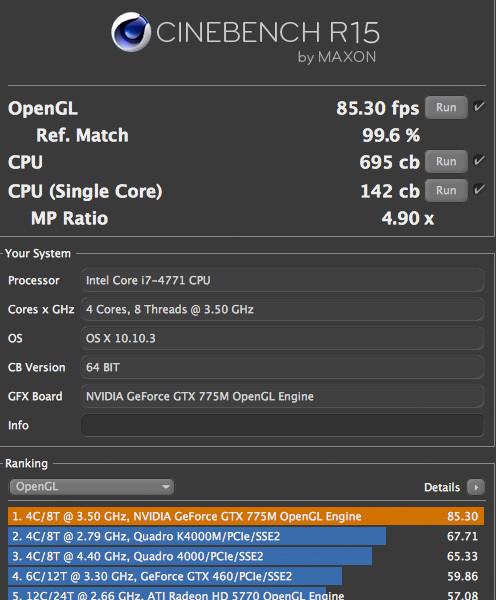 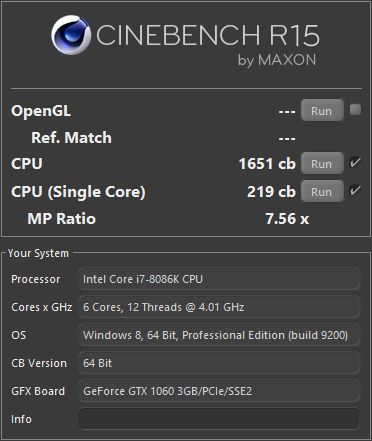 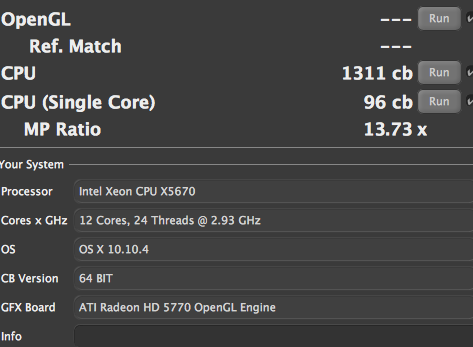 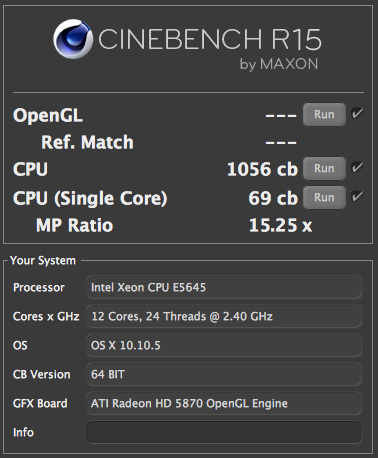 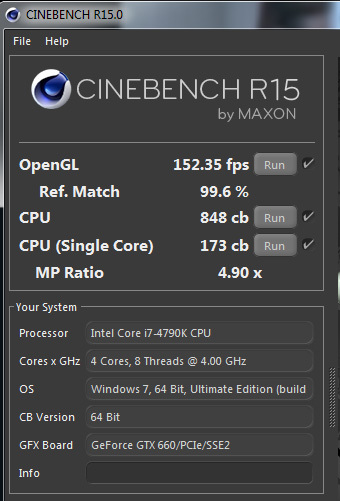 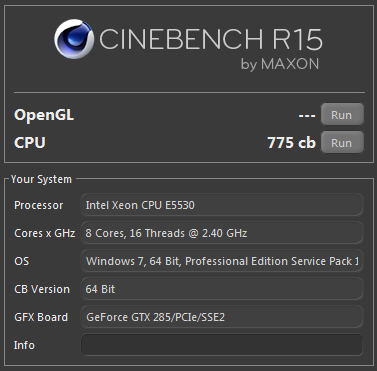 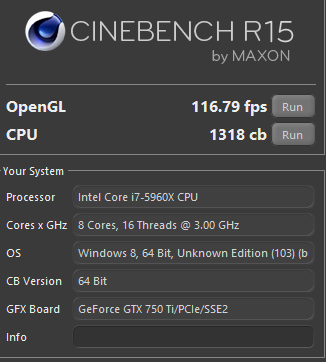 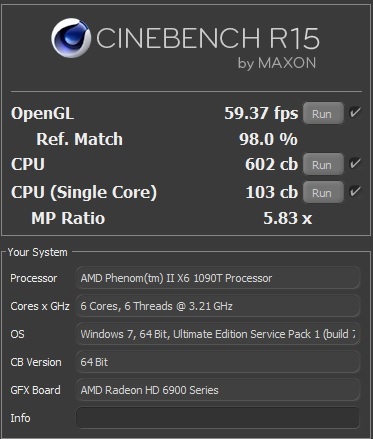 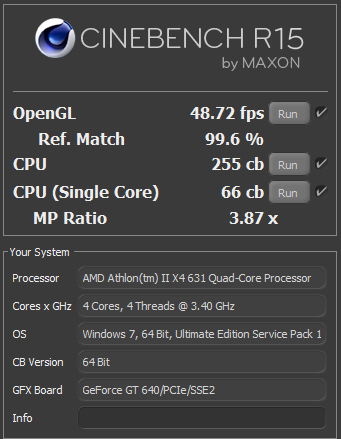 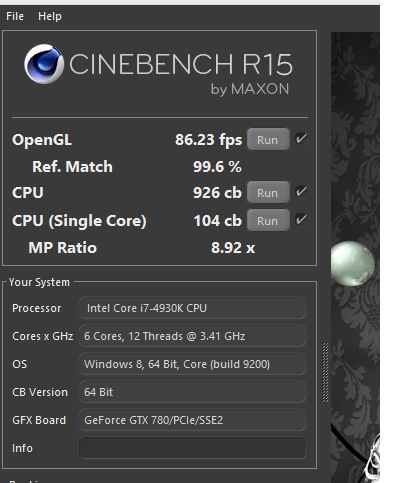 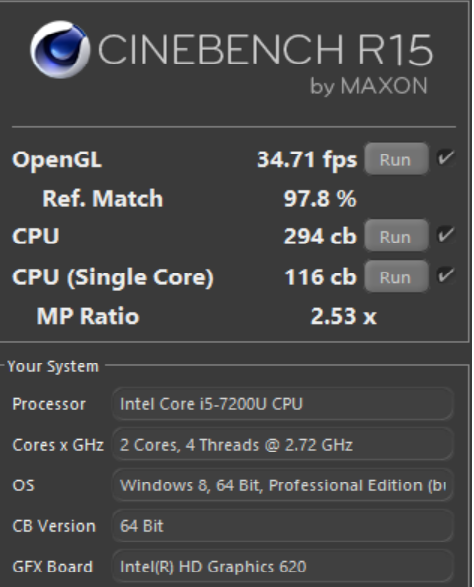 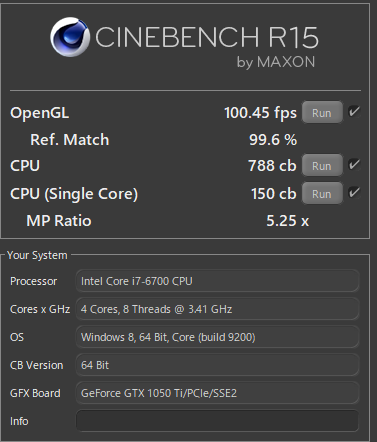 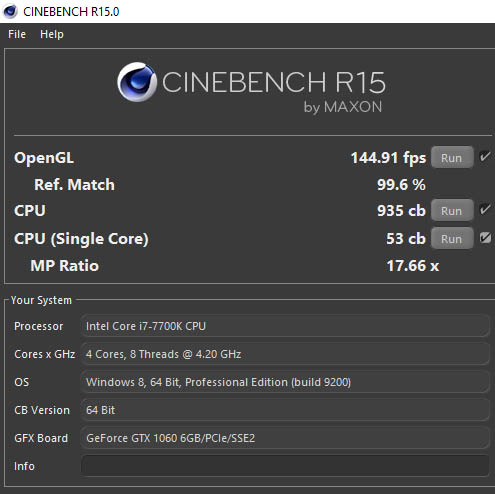 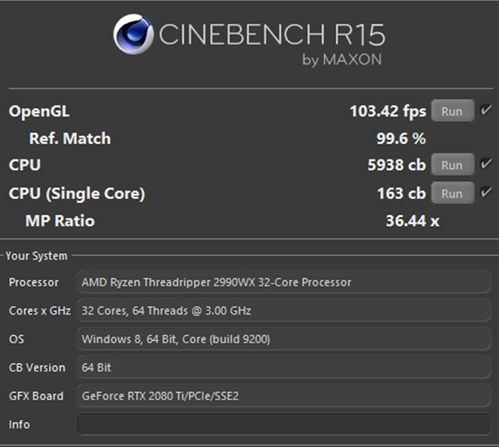 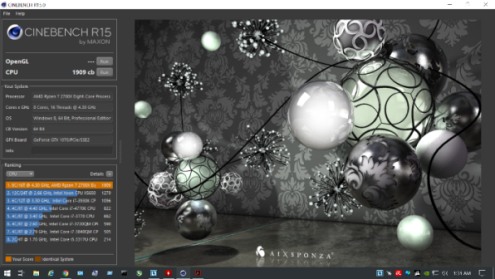 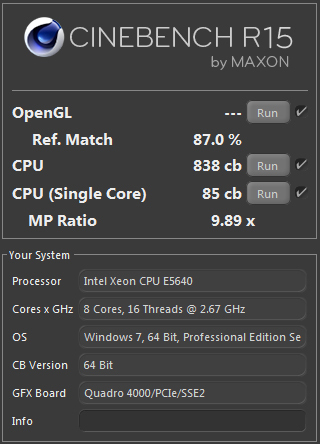 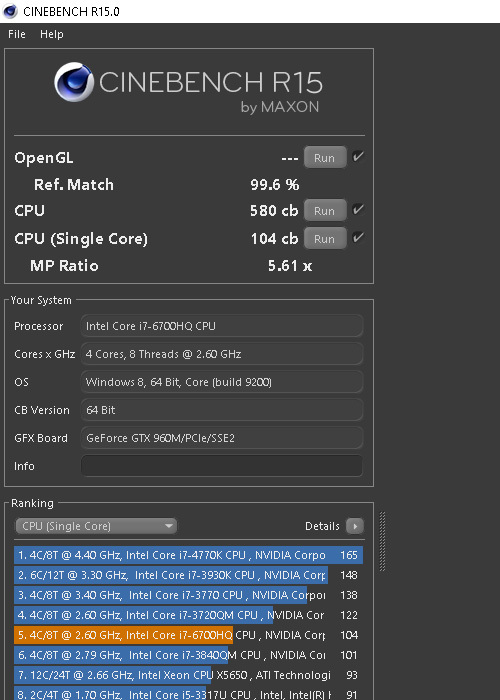 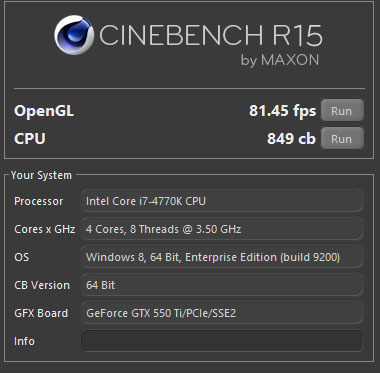 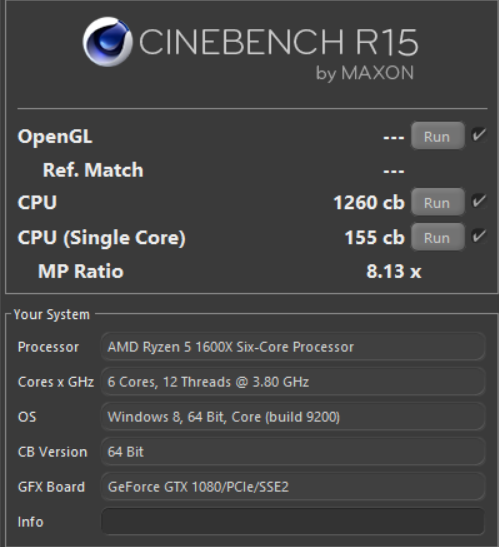 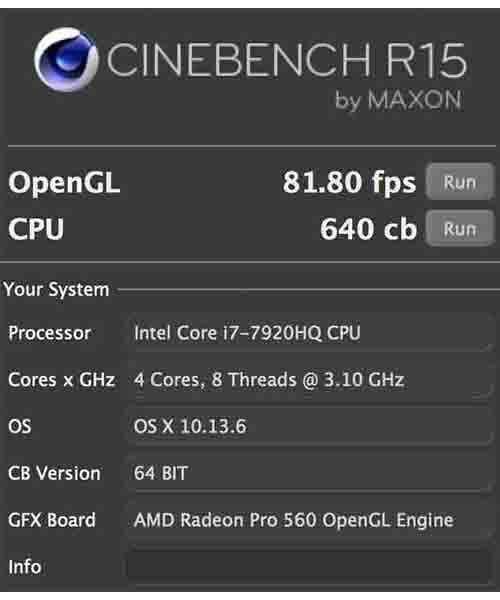 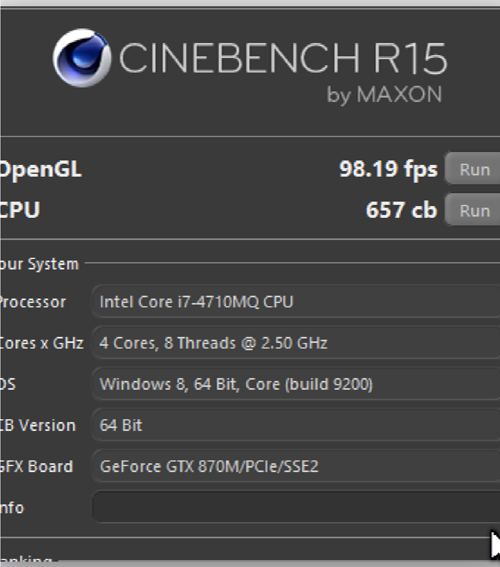 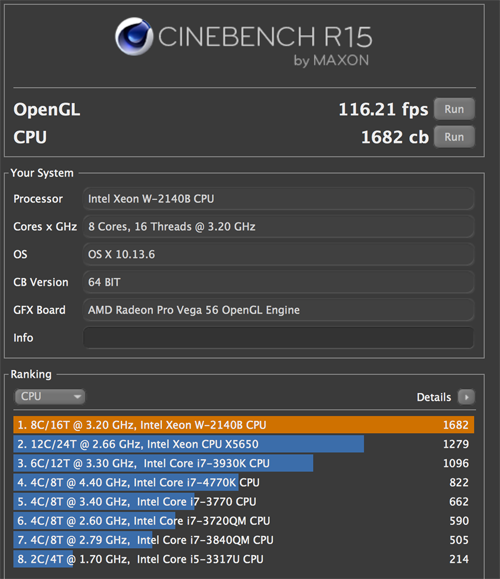 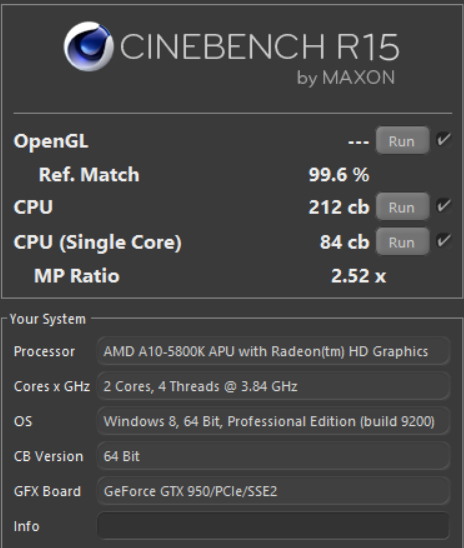 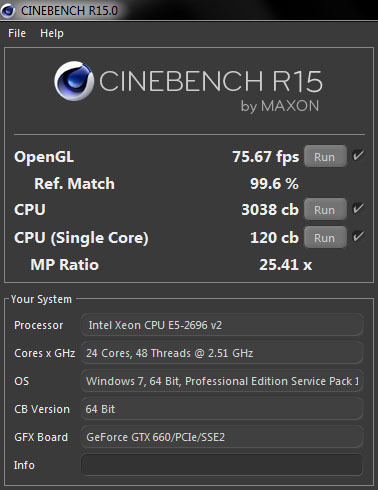 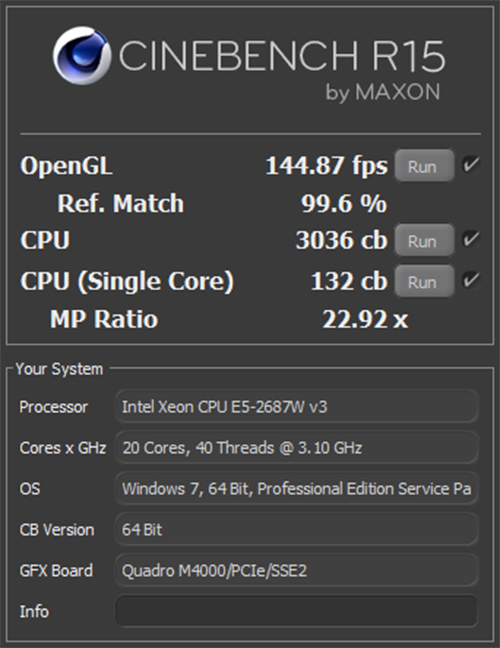 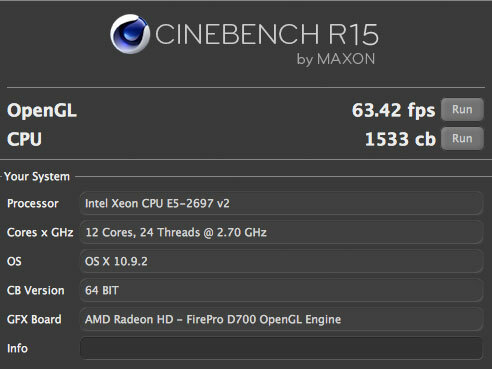 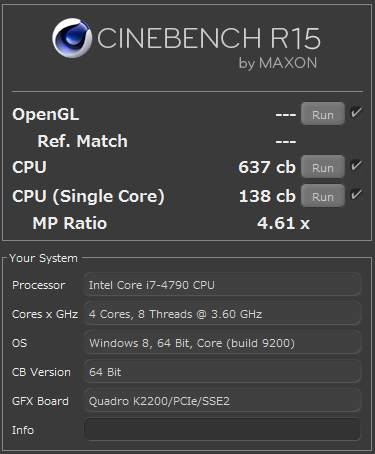 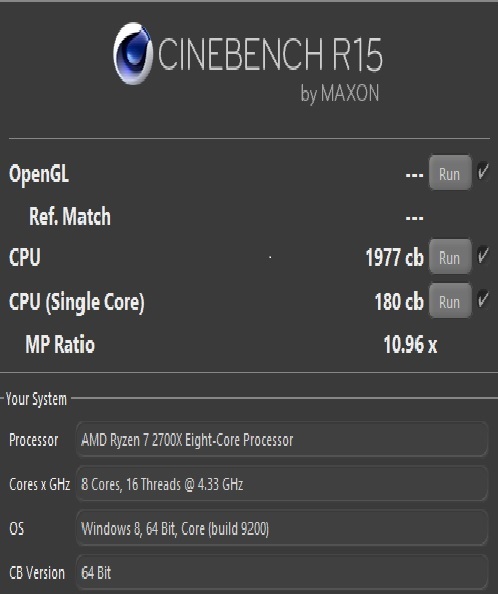 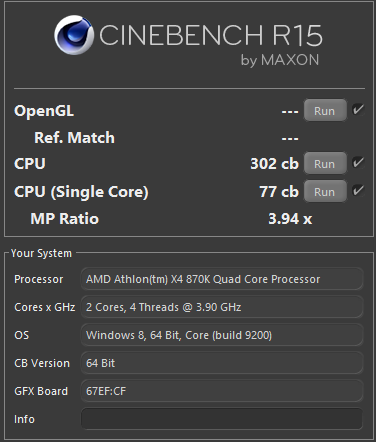 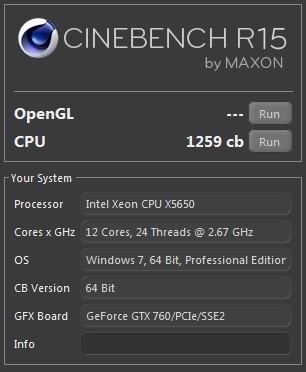 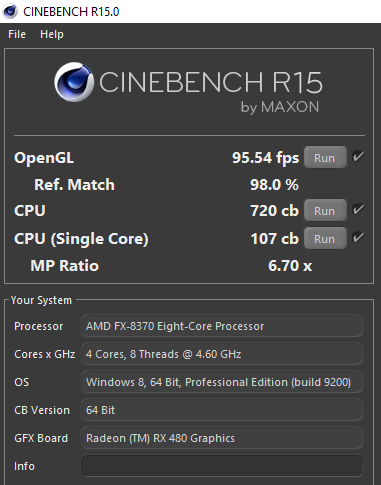 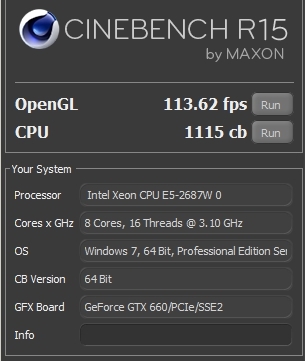 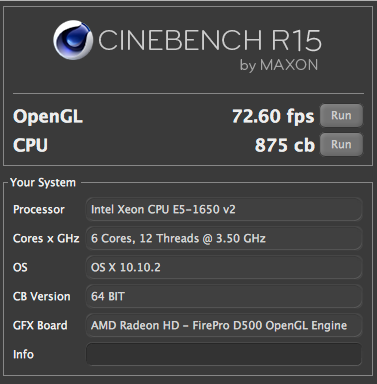 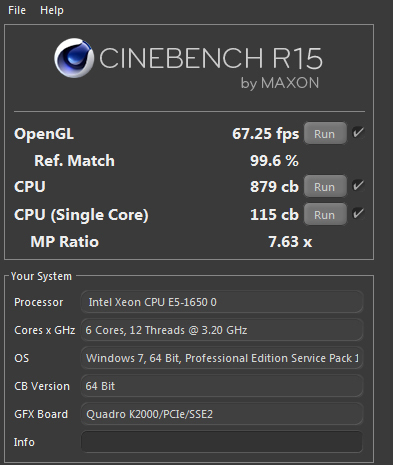 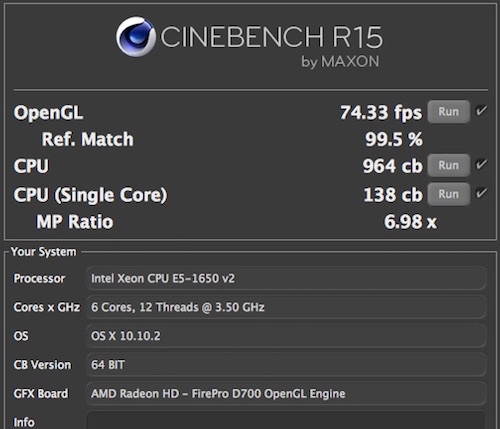 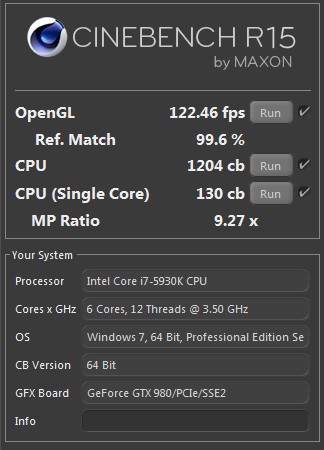 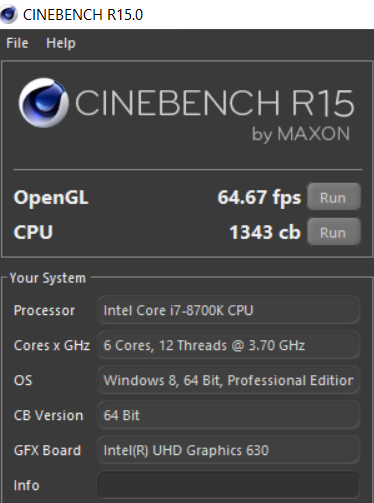 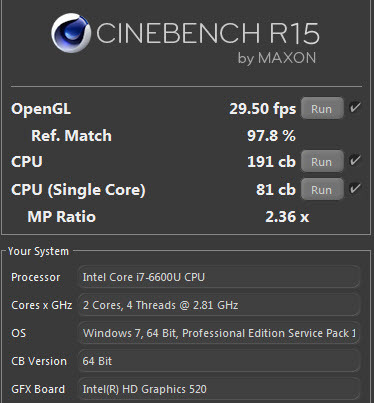 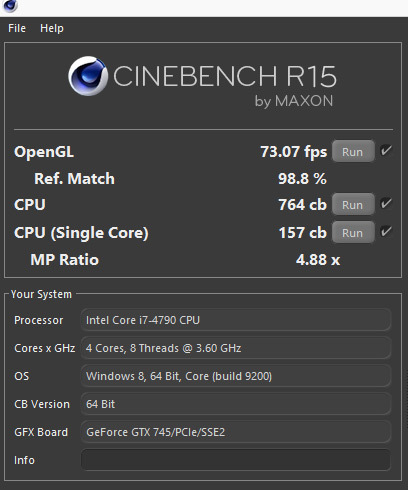 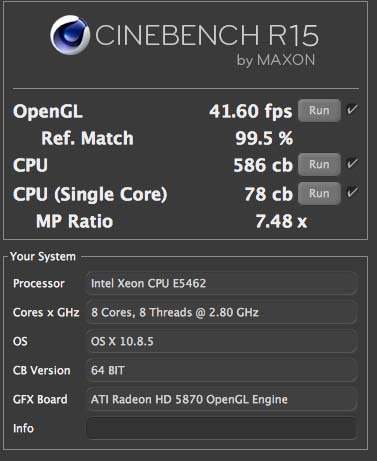 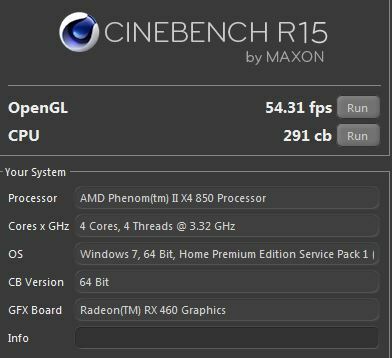 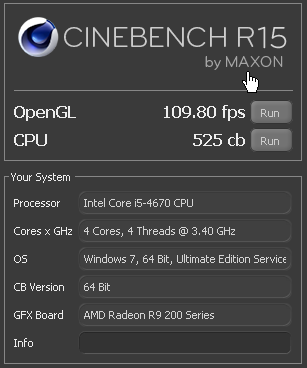 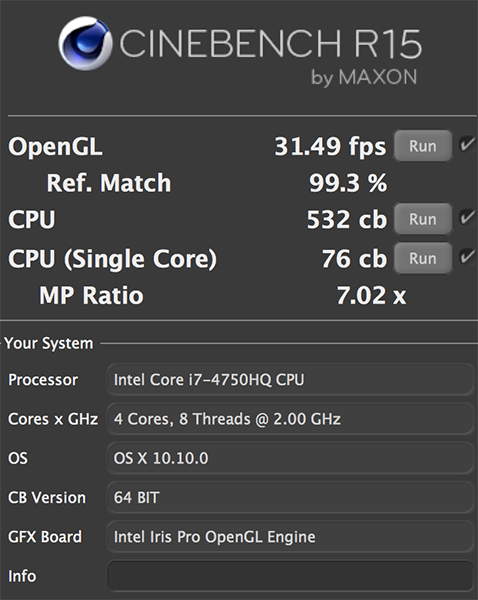 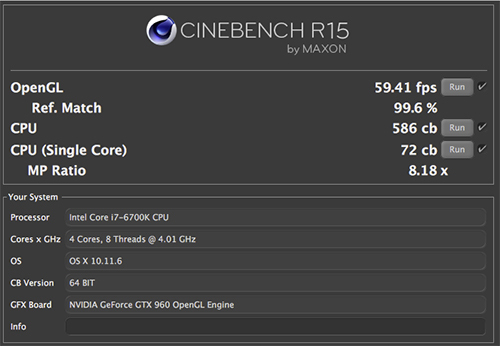 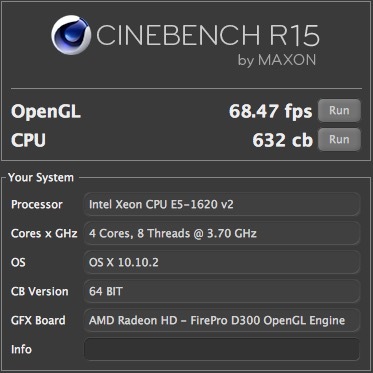 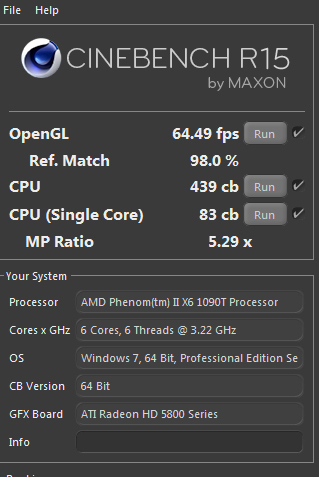 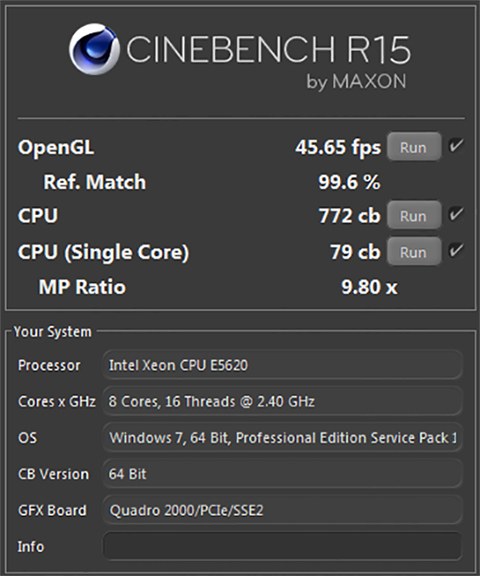 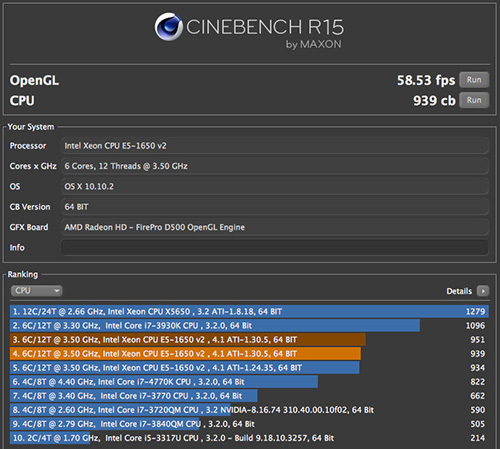 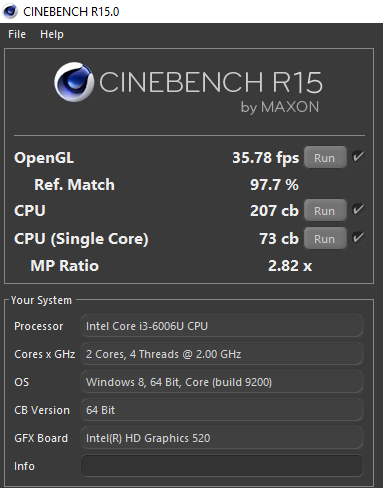 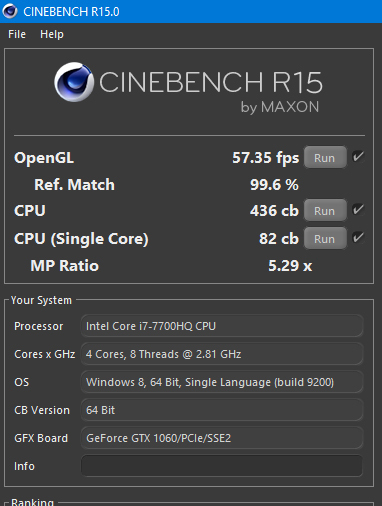 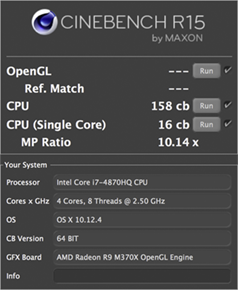 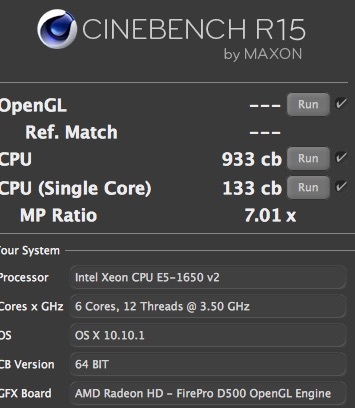 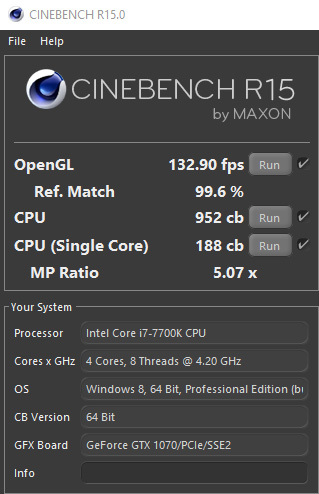 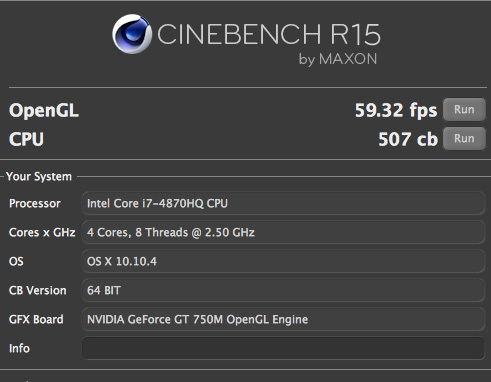 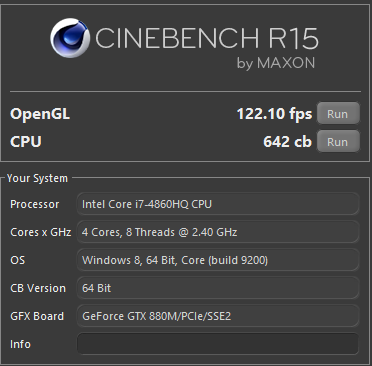 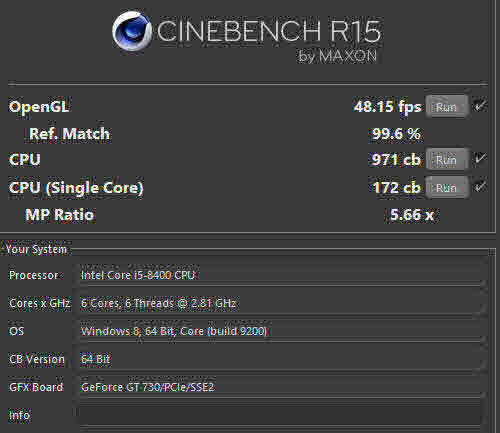 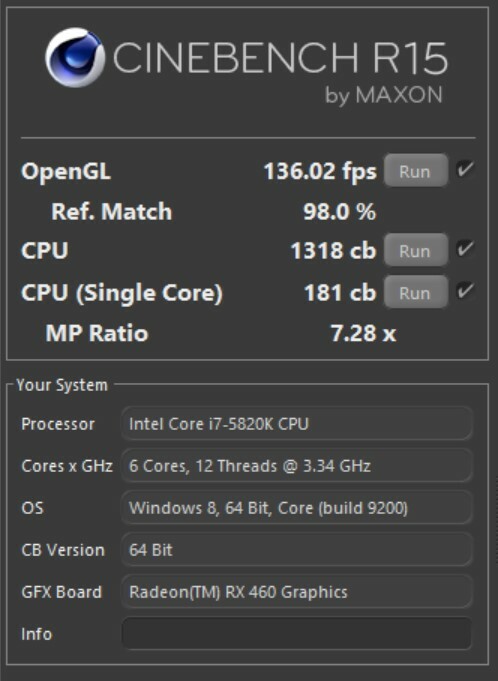 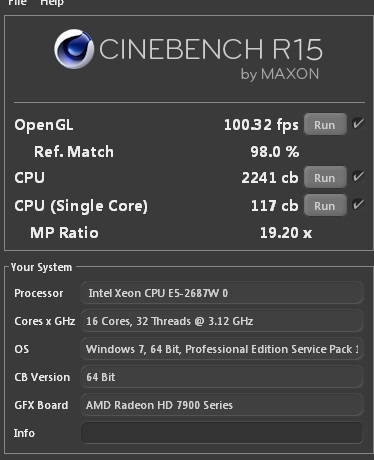 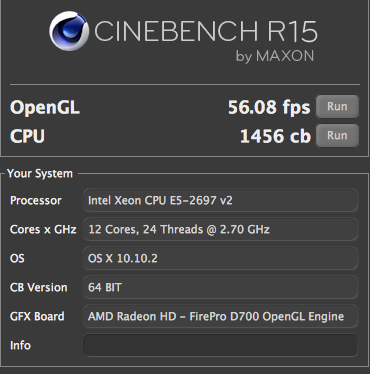 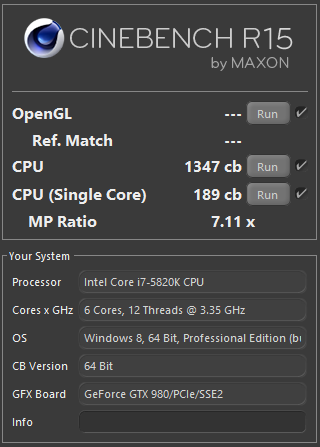 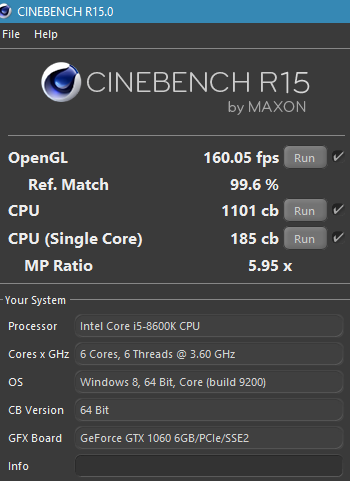 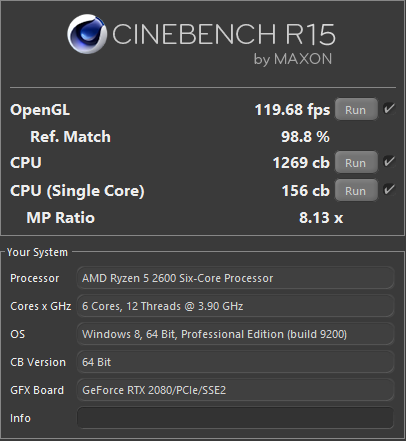 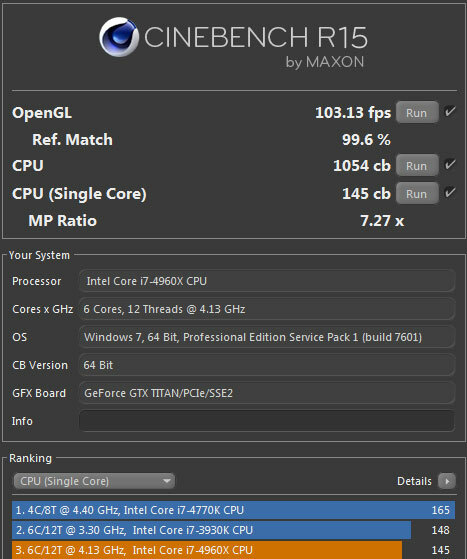 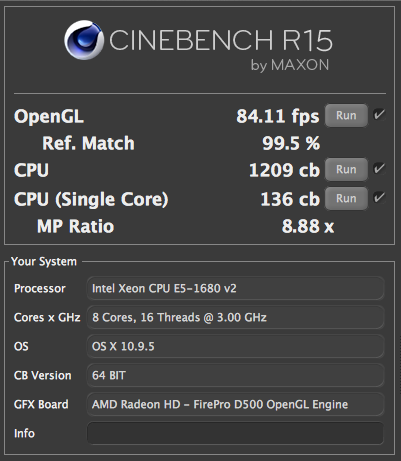 That’s why we have drawn your attention to the hugely useful service provided by MAXON CINEBENCH R15. 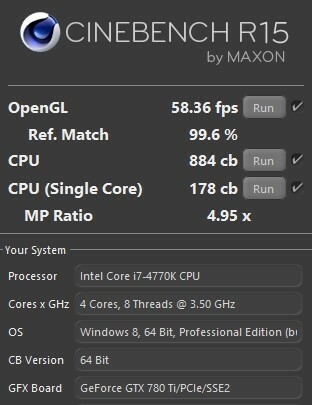 Please download the app and help us to continue to be the most efficient cloud render service we can be.